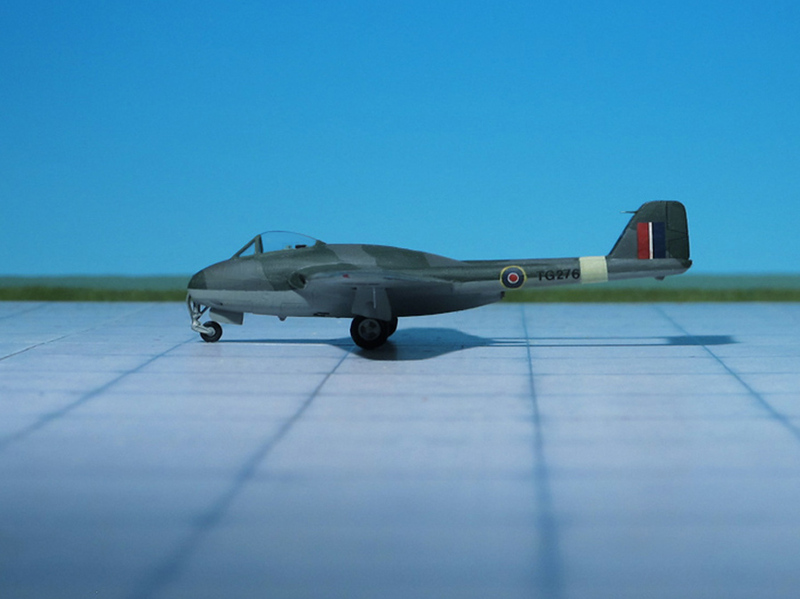 COMMENT: The Tempest II was developed in parallel with the Tempest I and Tempest V, and owed much to experience gained with the Centaurus-powered Tornado prototype. 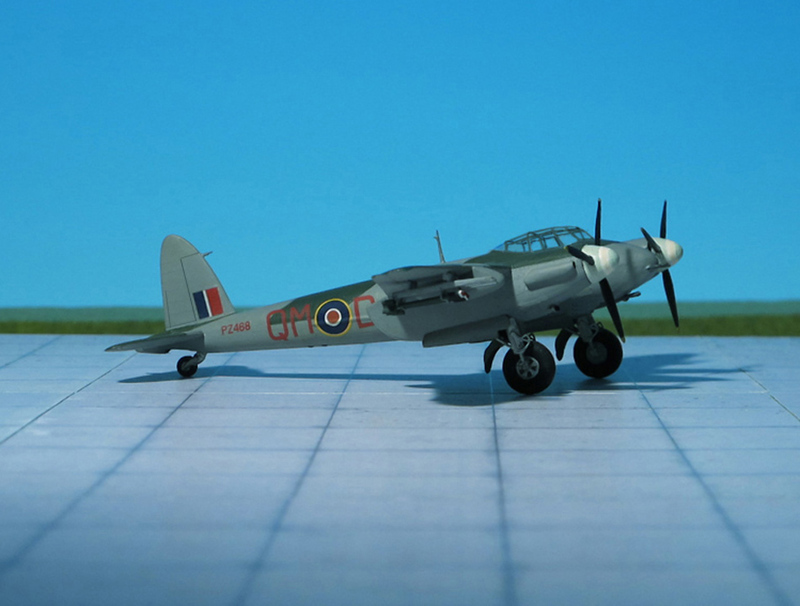 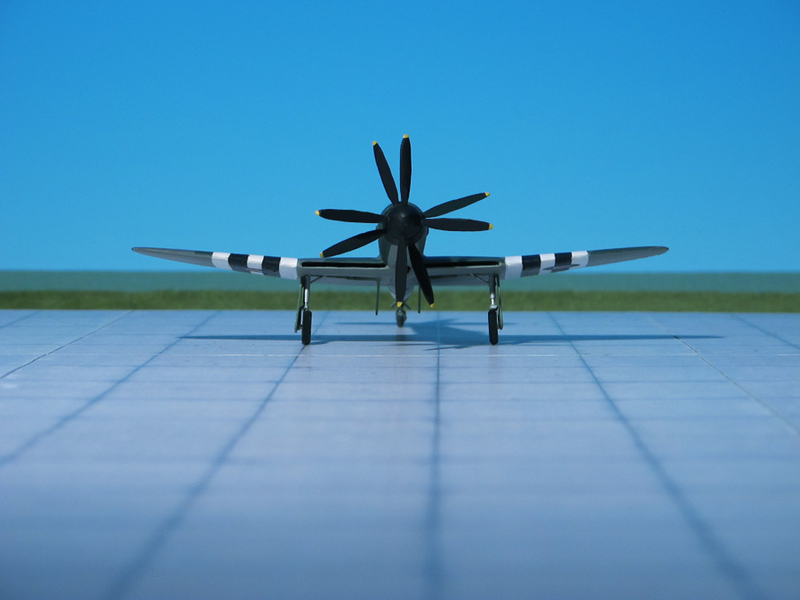 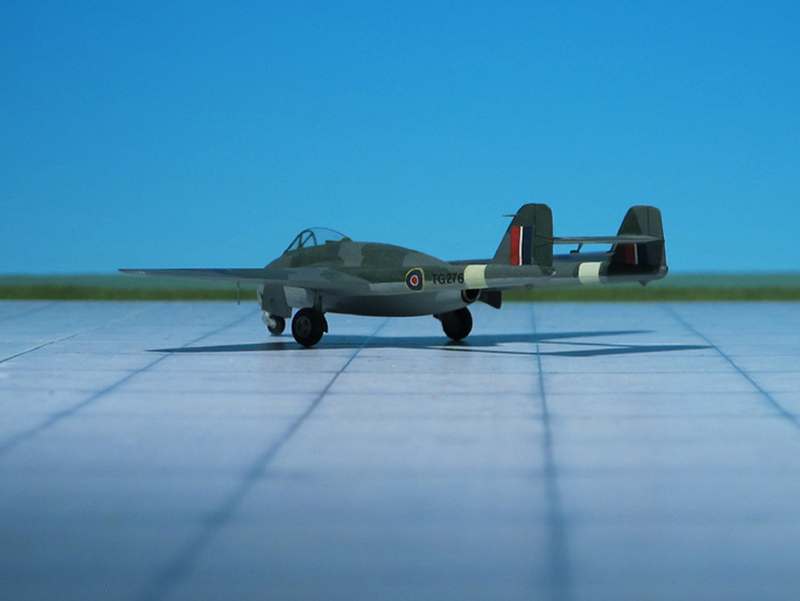 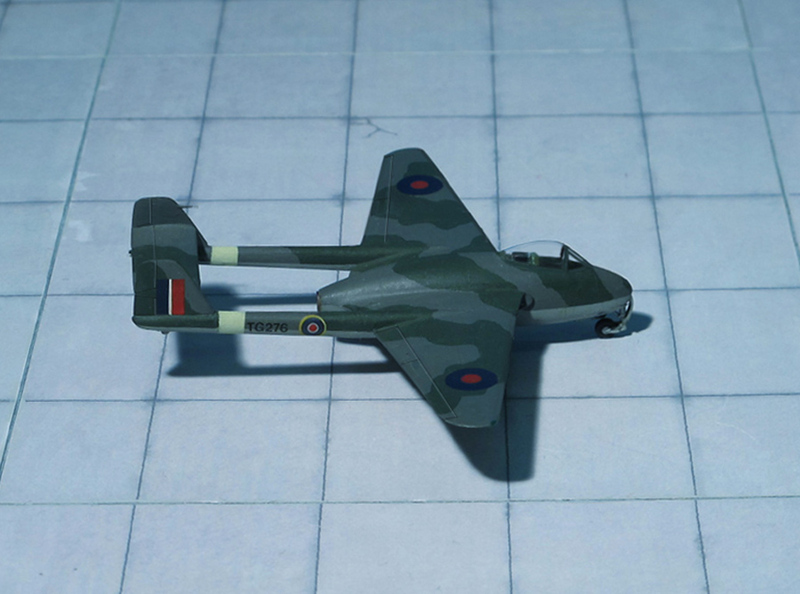 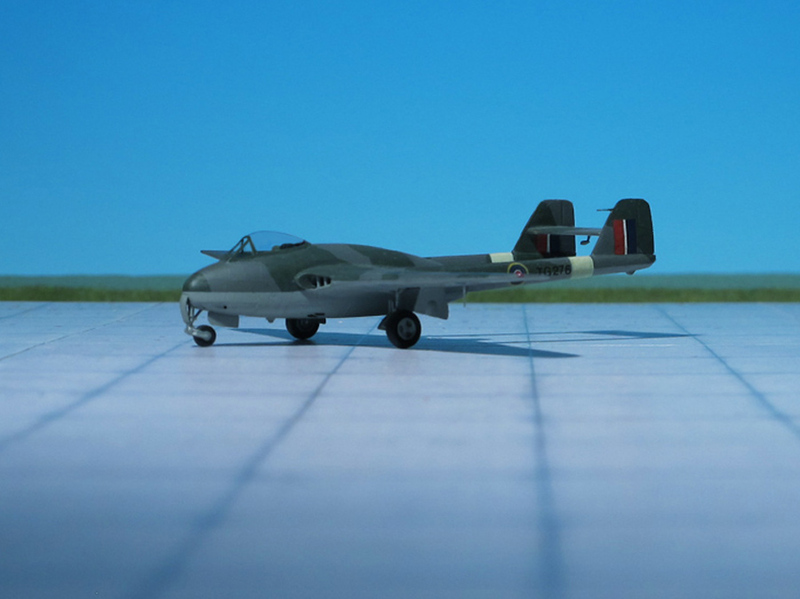 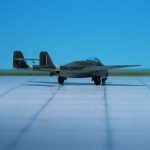 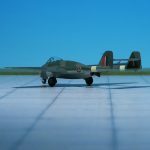 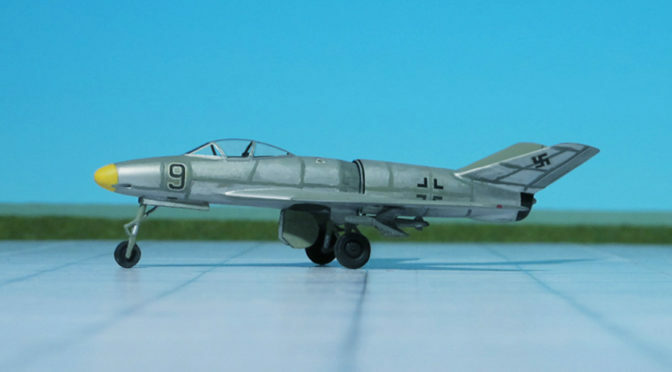 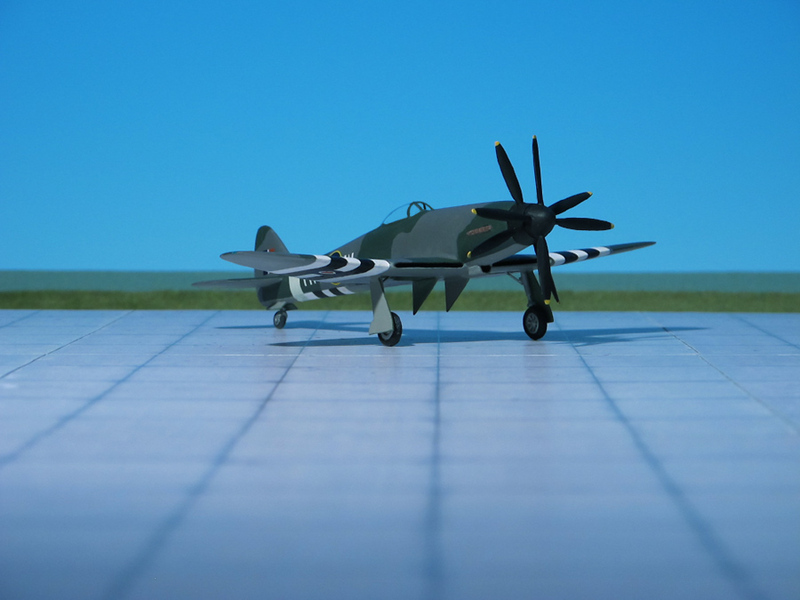 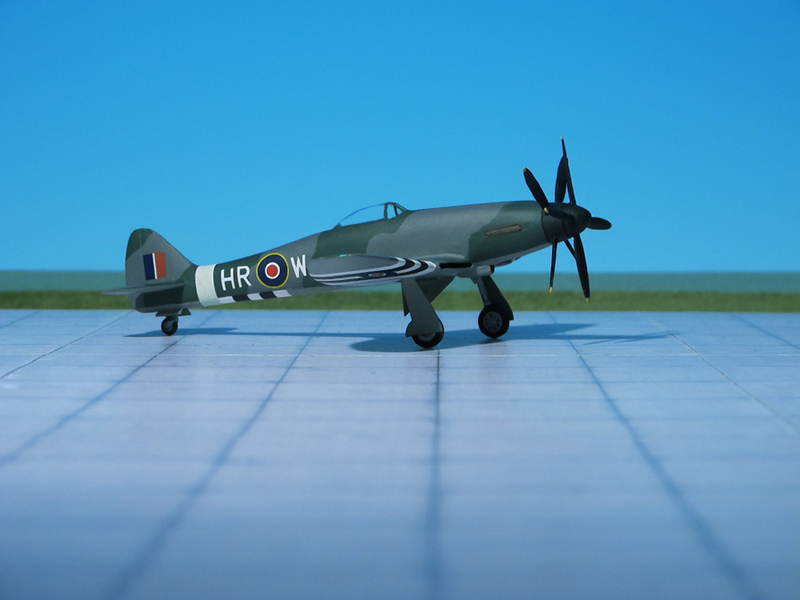 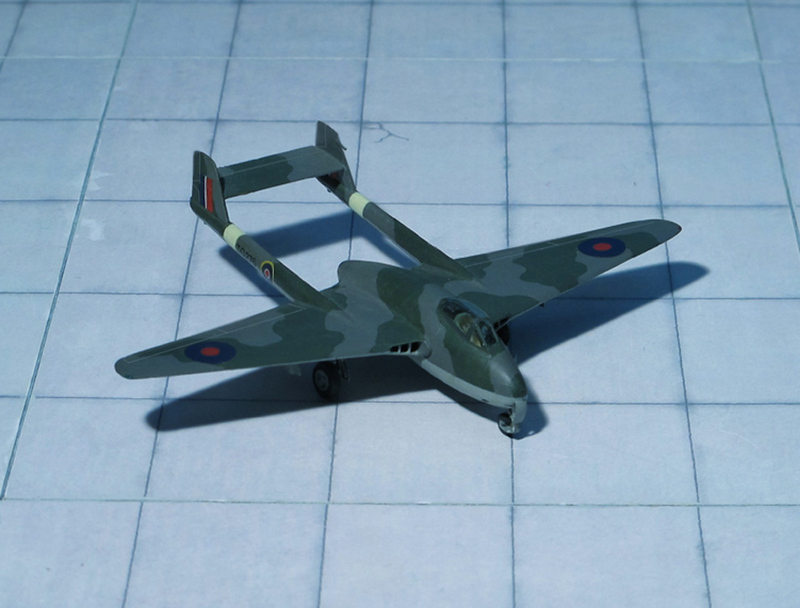 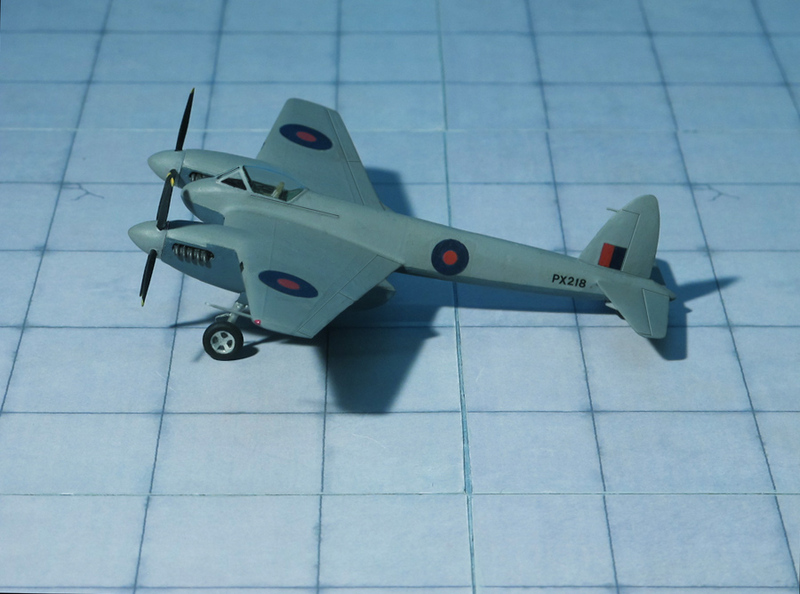 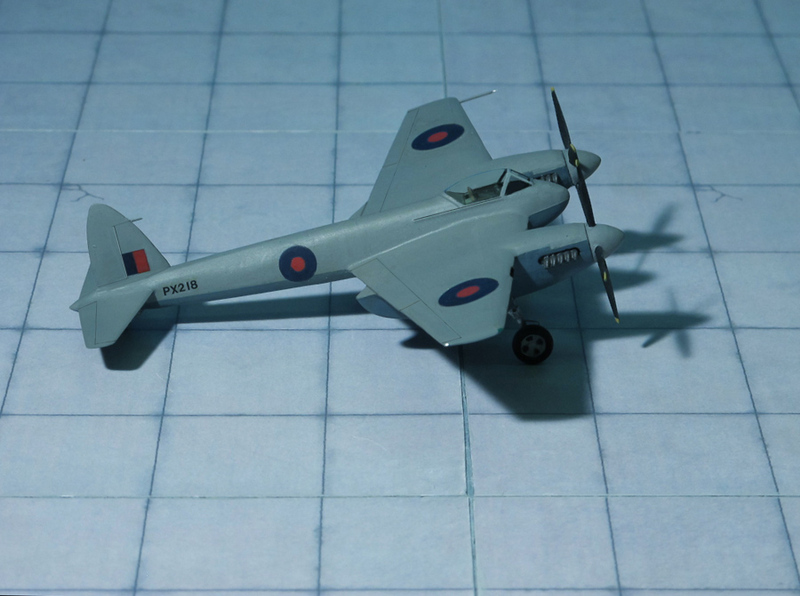 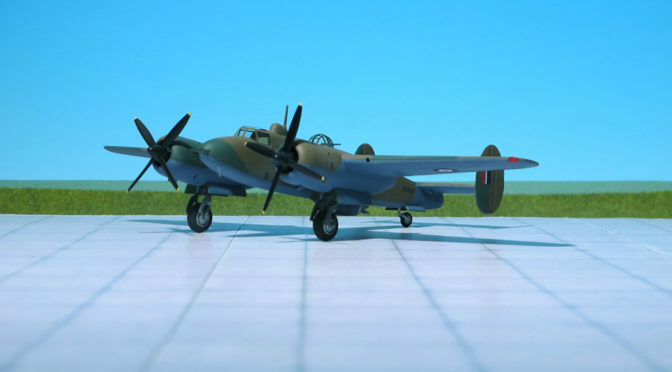 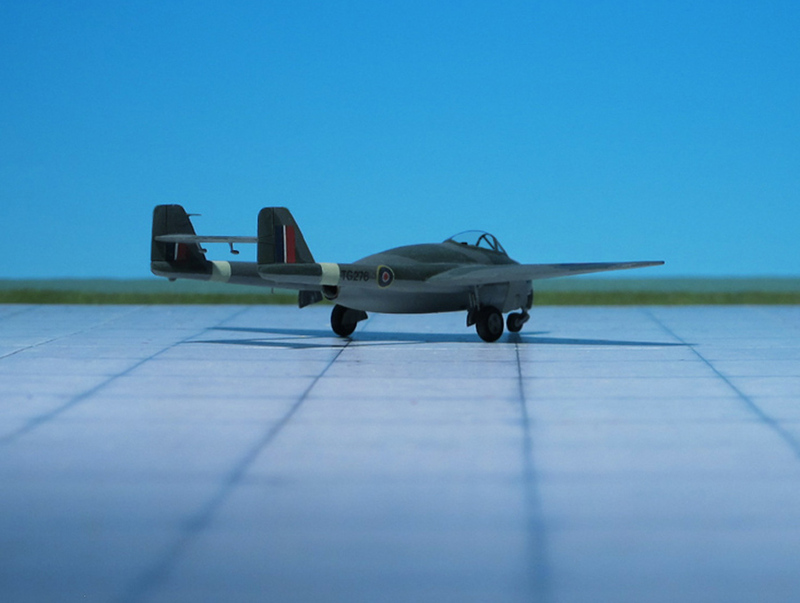 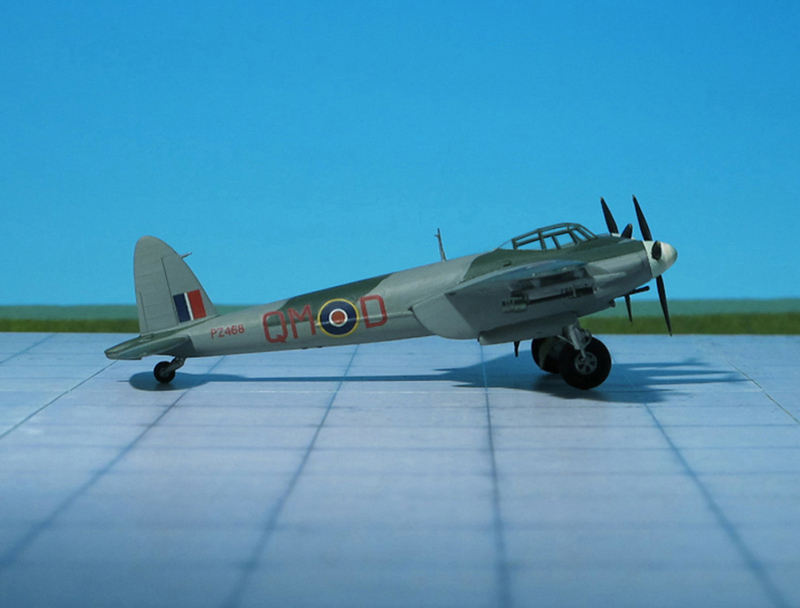 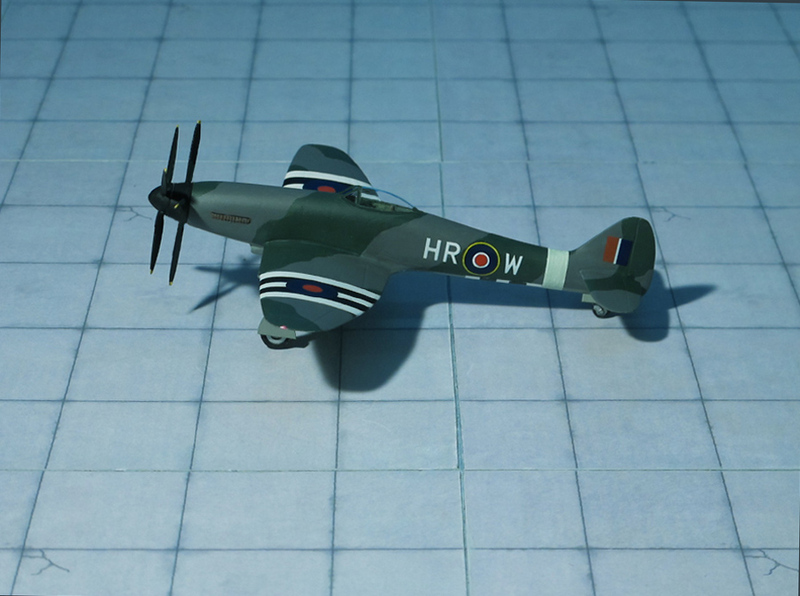 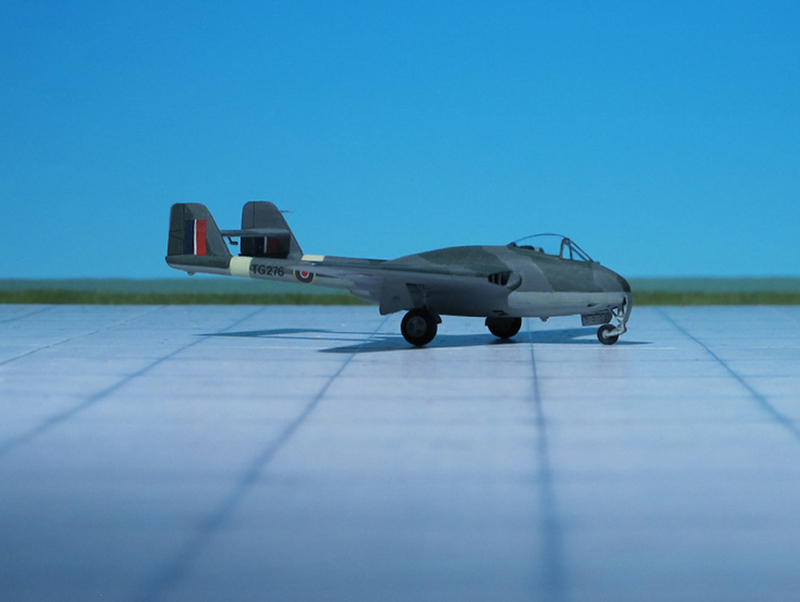 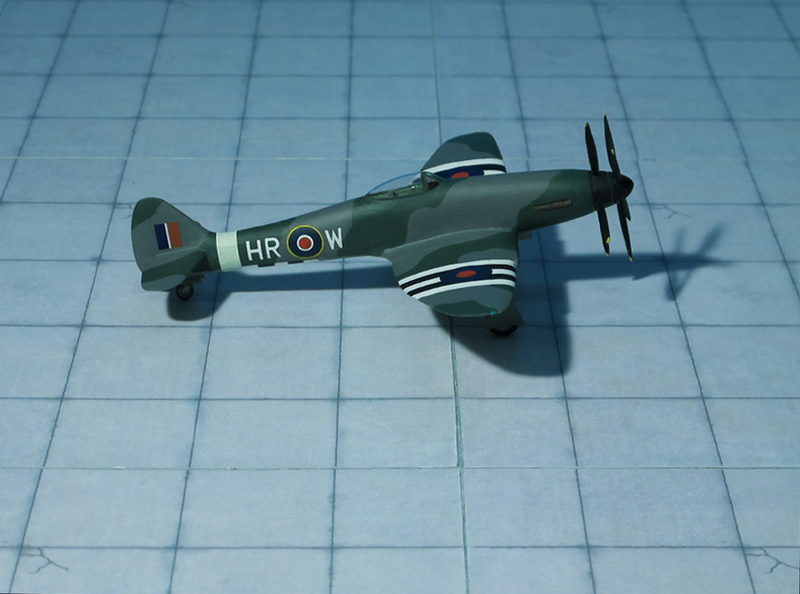 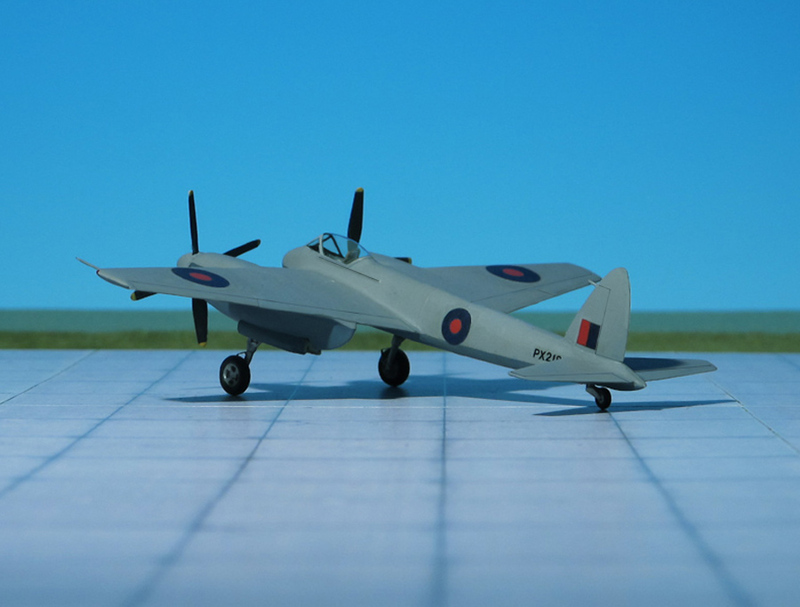 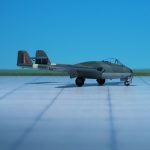 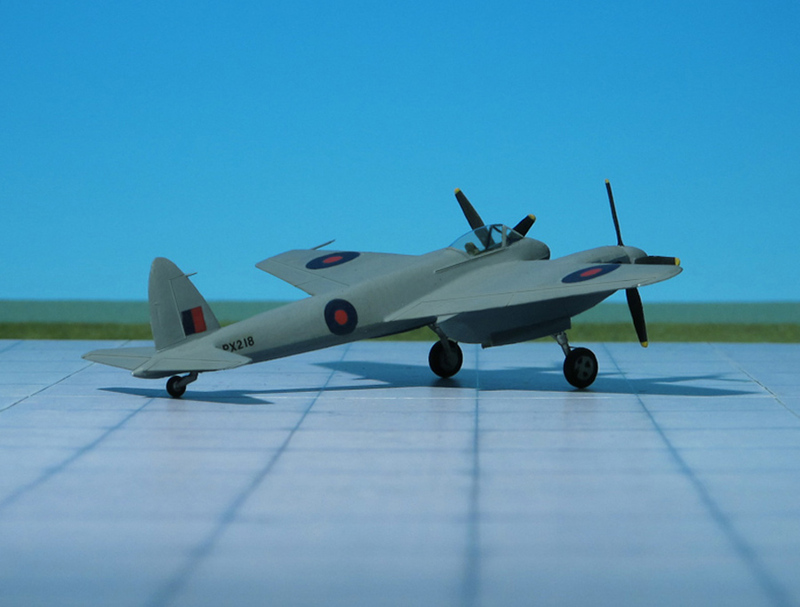 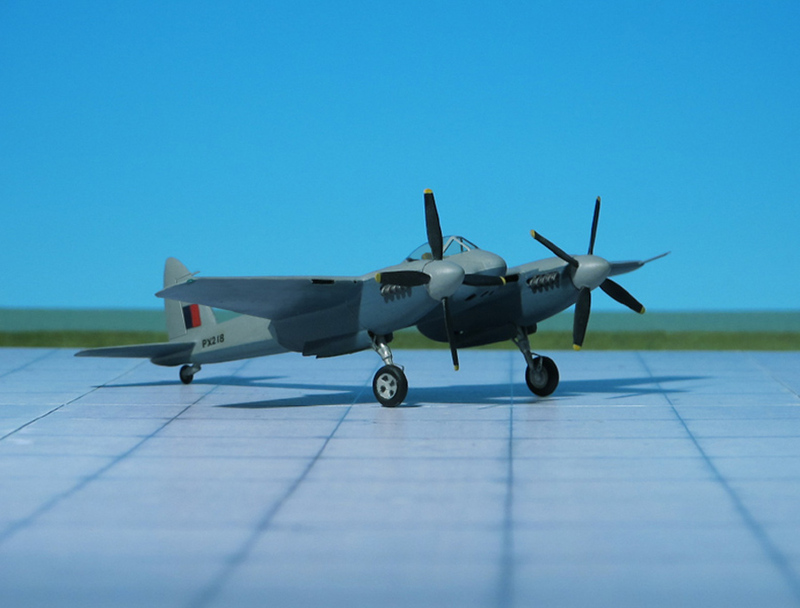 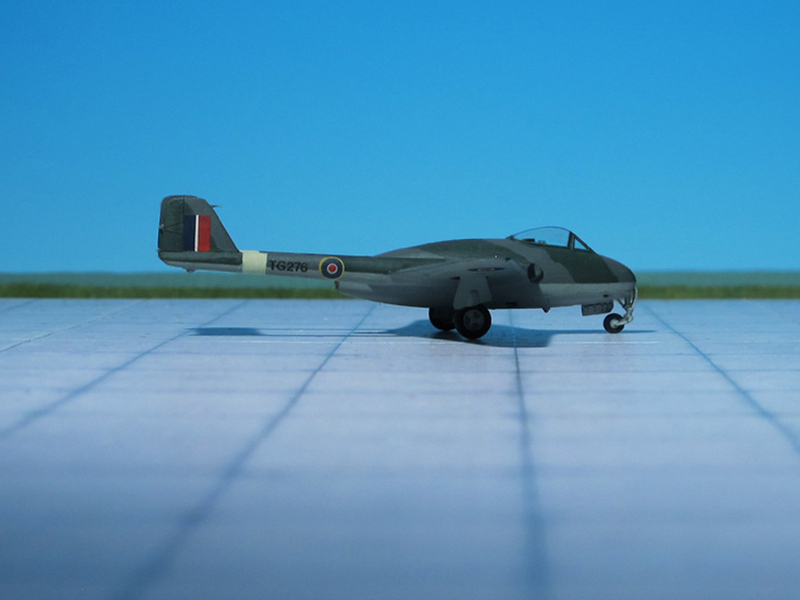 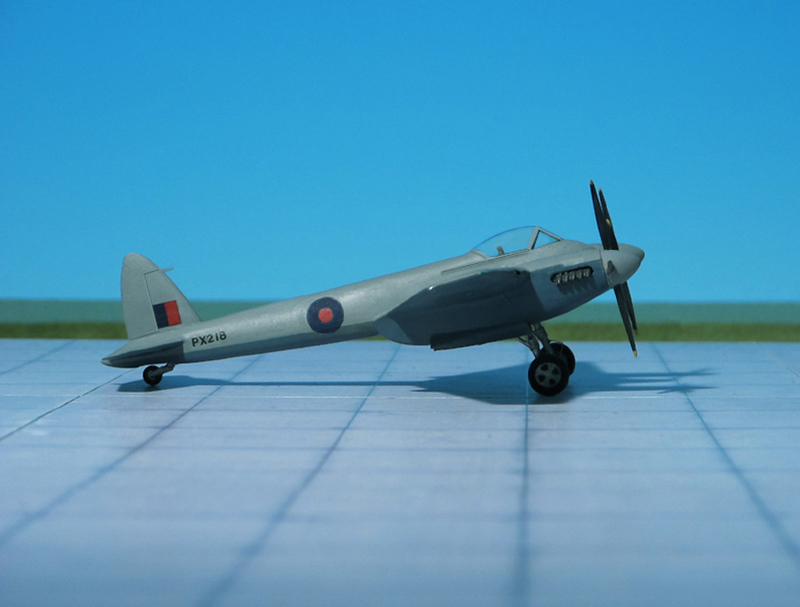 The first Tempest II prototype flew initially on June 1943, being followed on September 1943 by the second prototype, but production priority was given to the Tempest V, and deliveries of the Tempest II did not commence until October 1944. 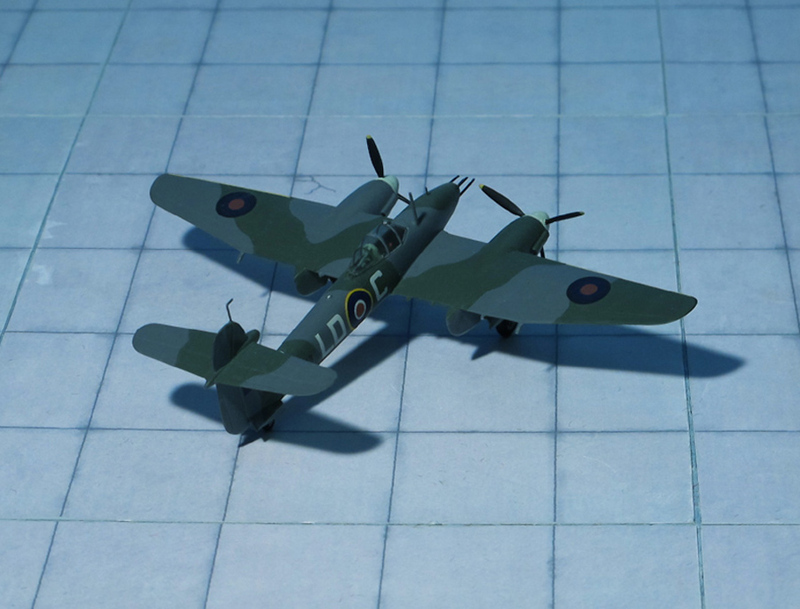 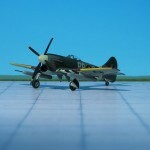 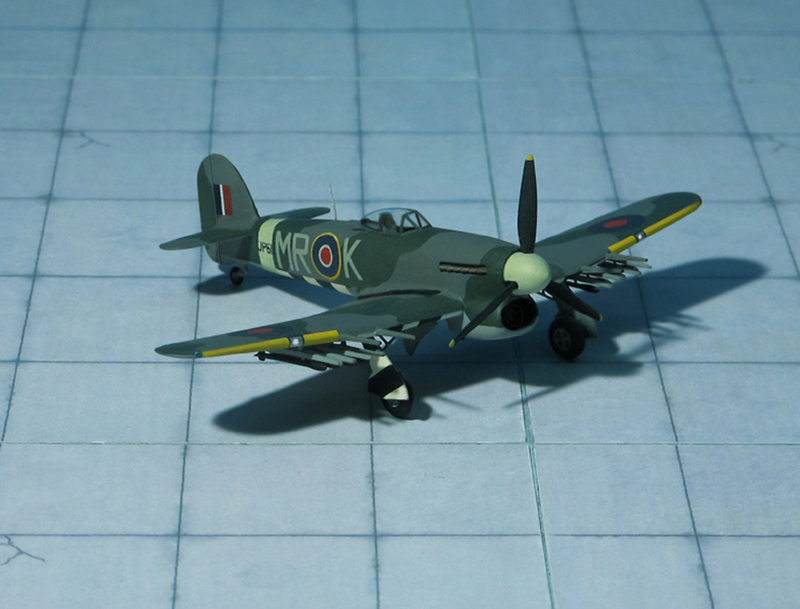 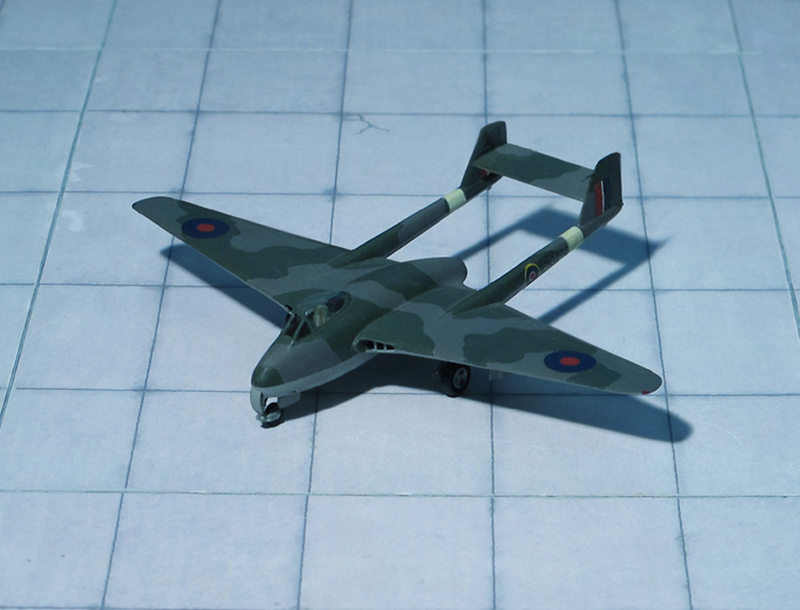 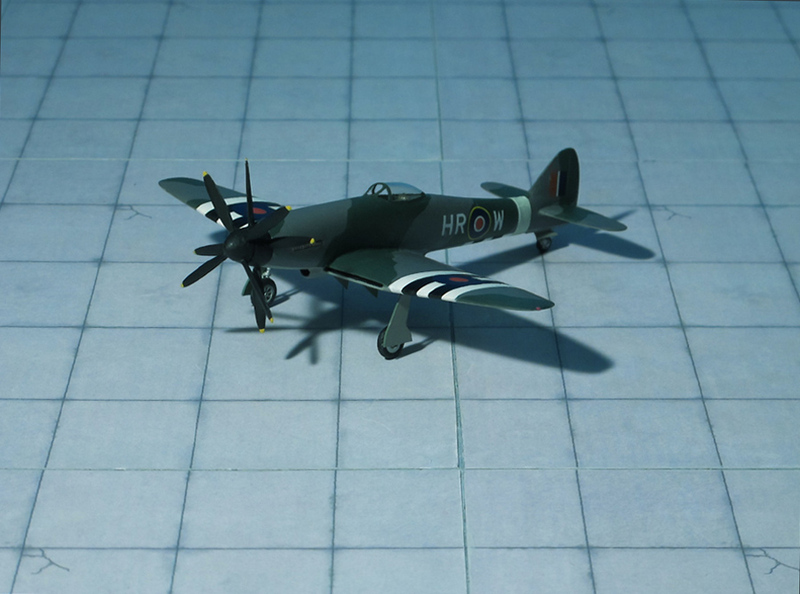 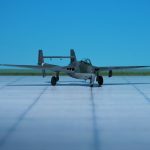 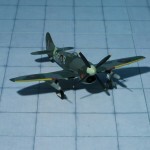 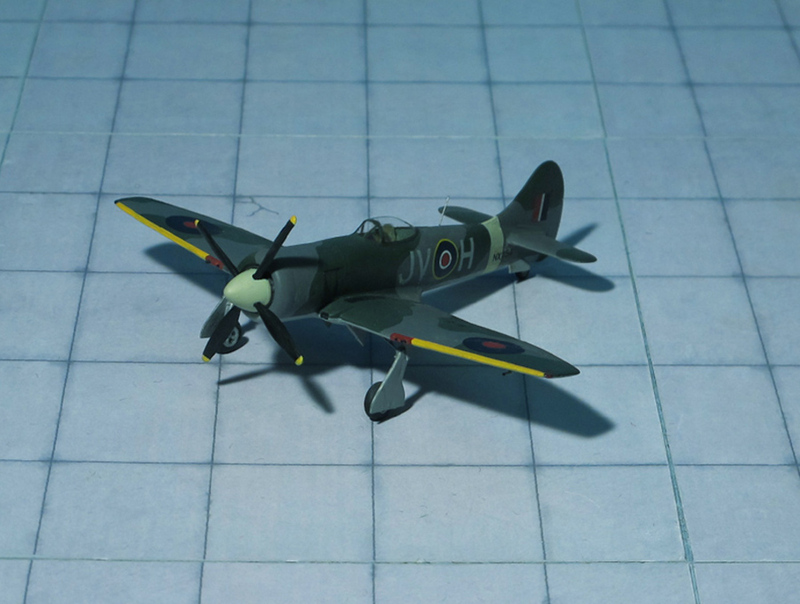 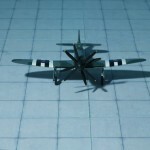 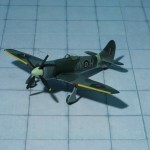 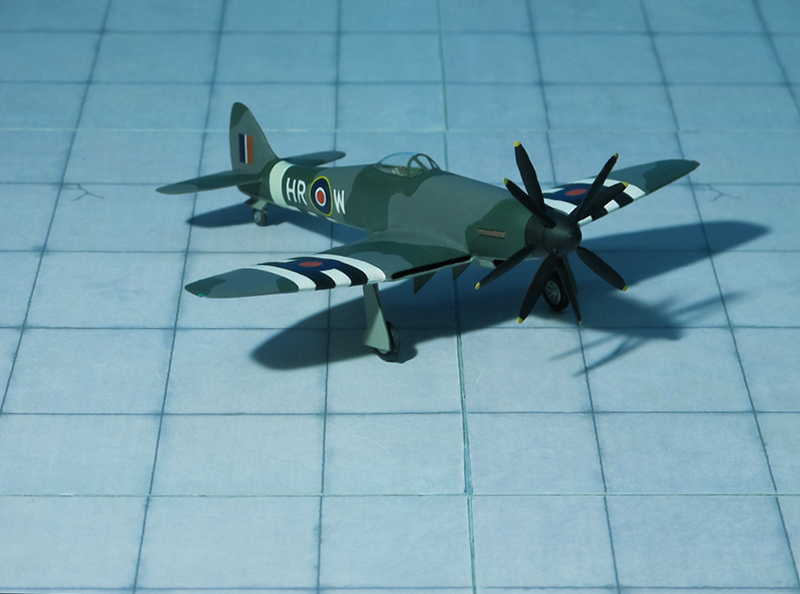 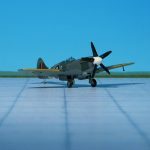 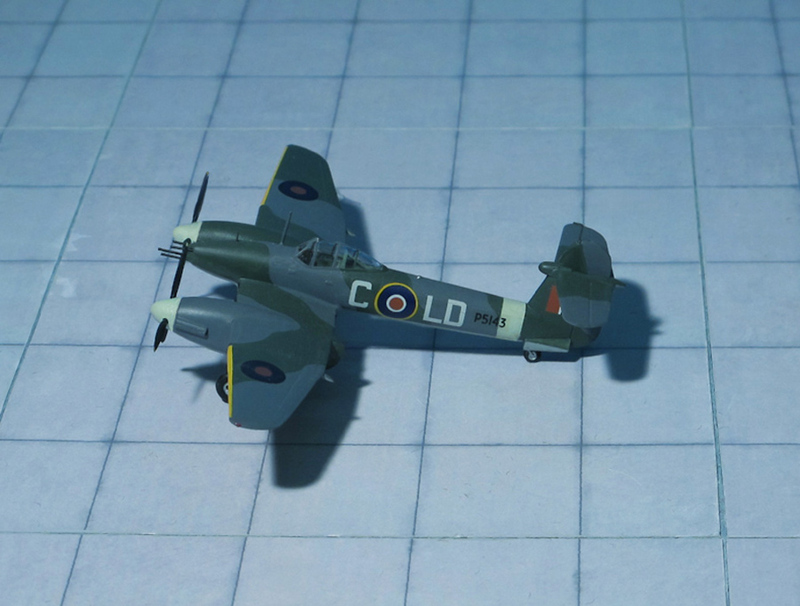 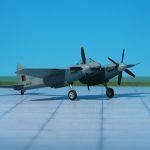 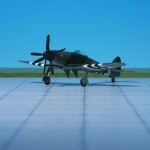 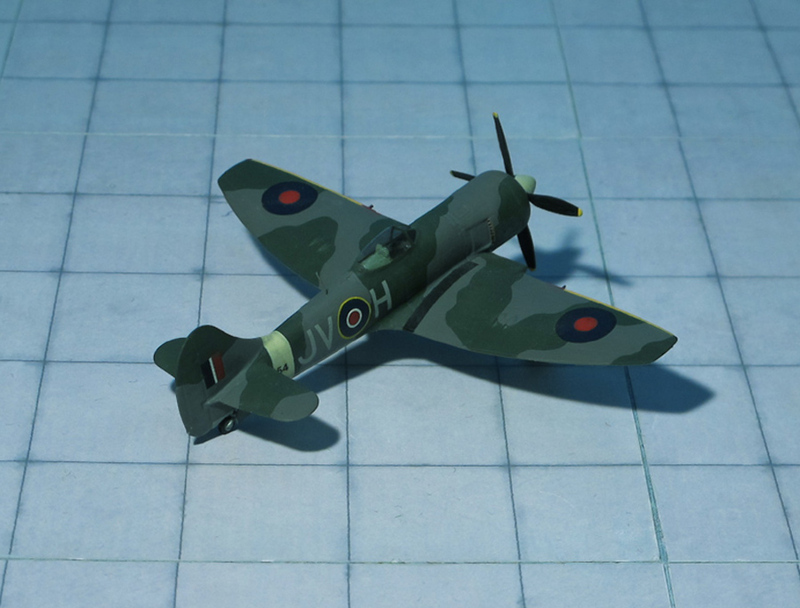 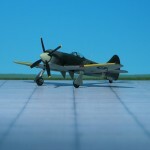 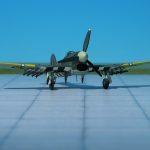 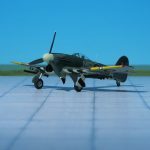 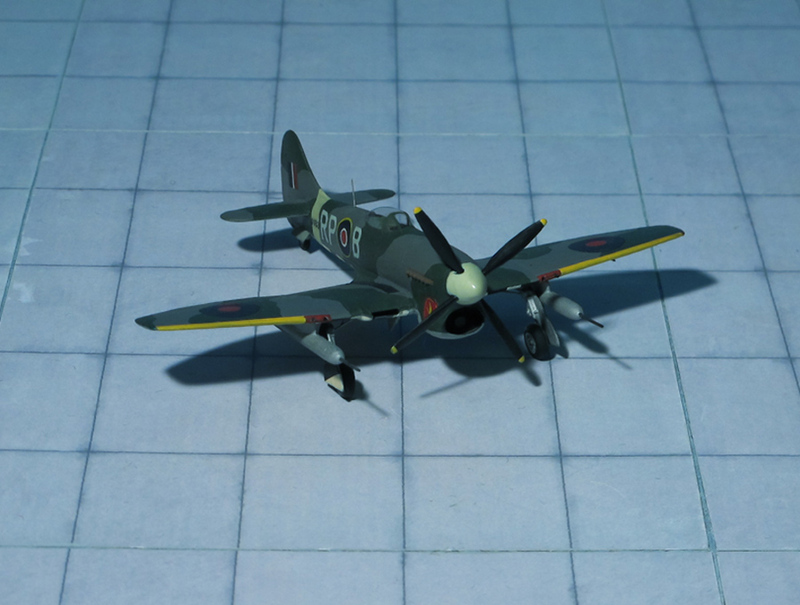 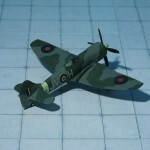 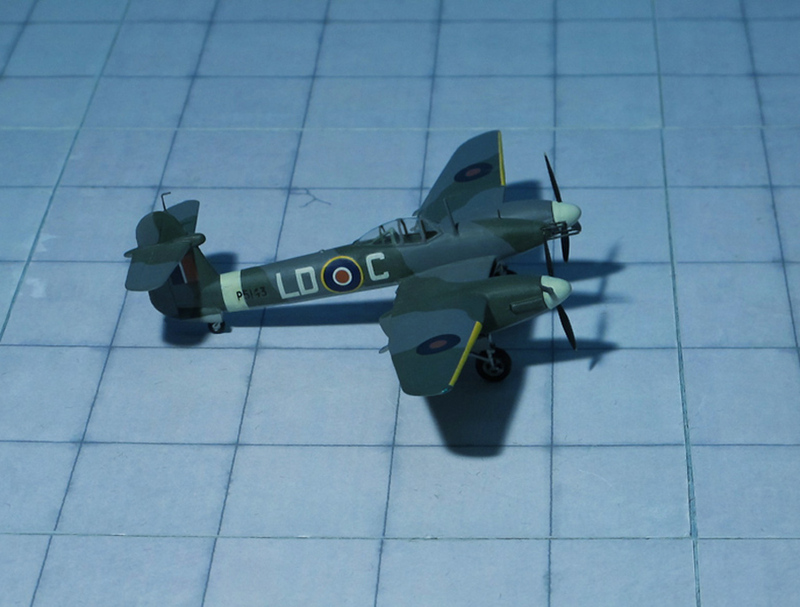 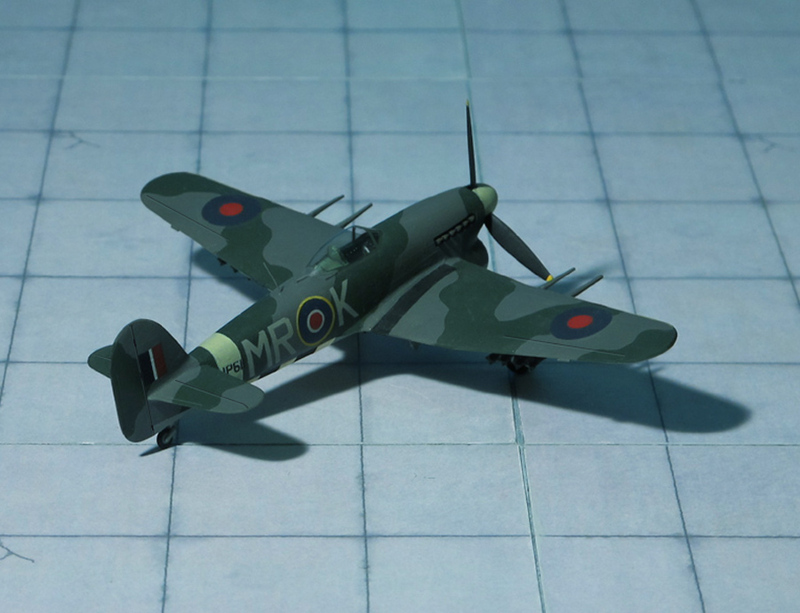 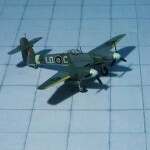 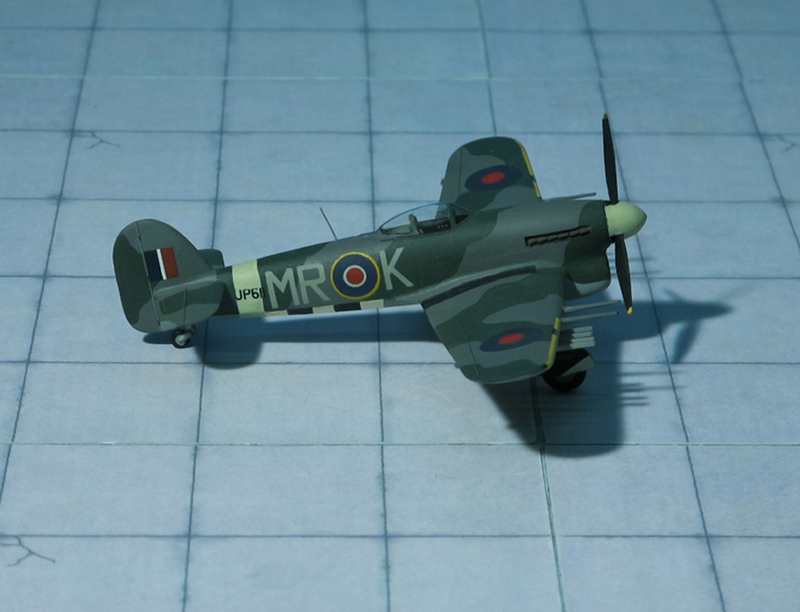 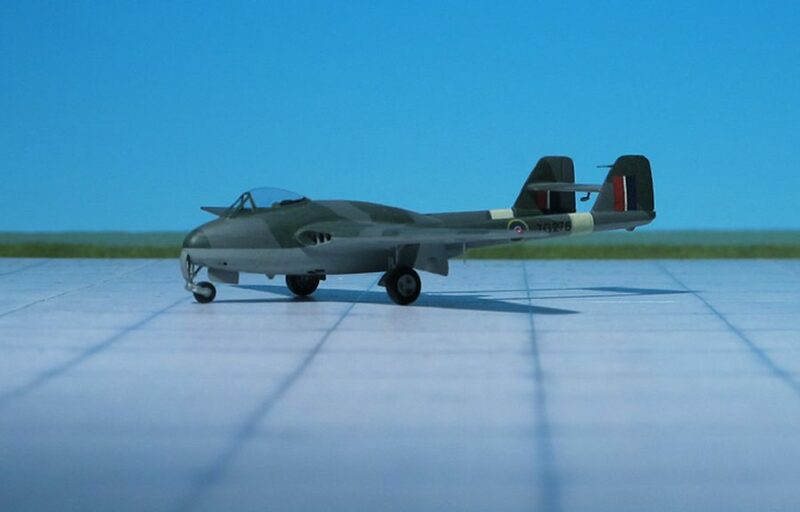 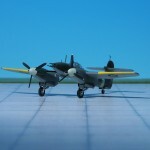 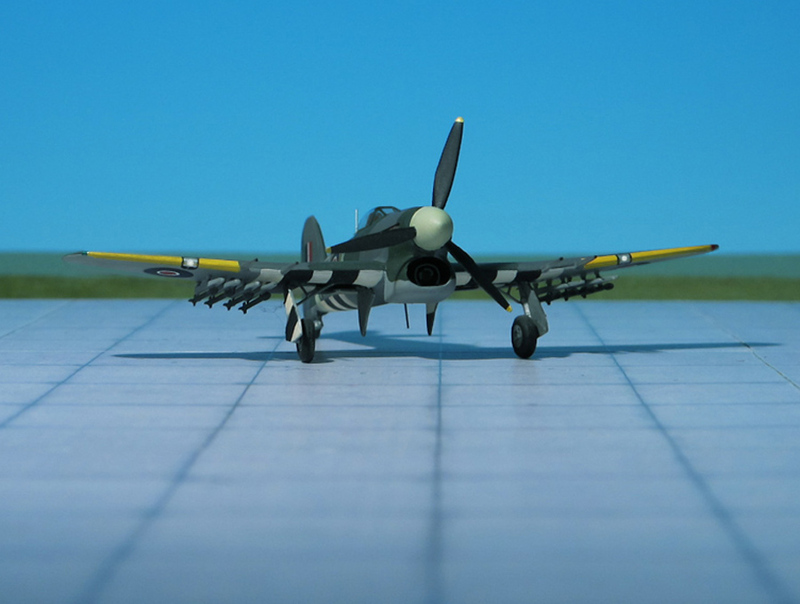 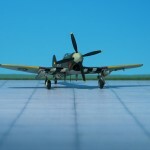 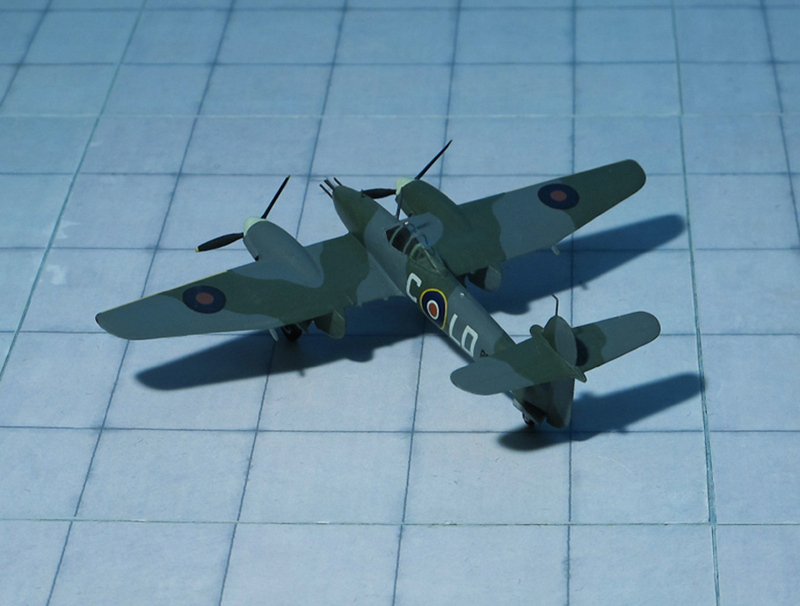 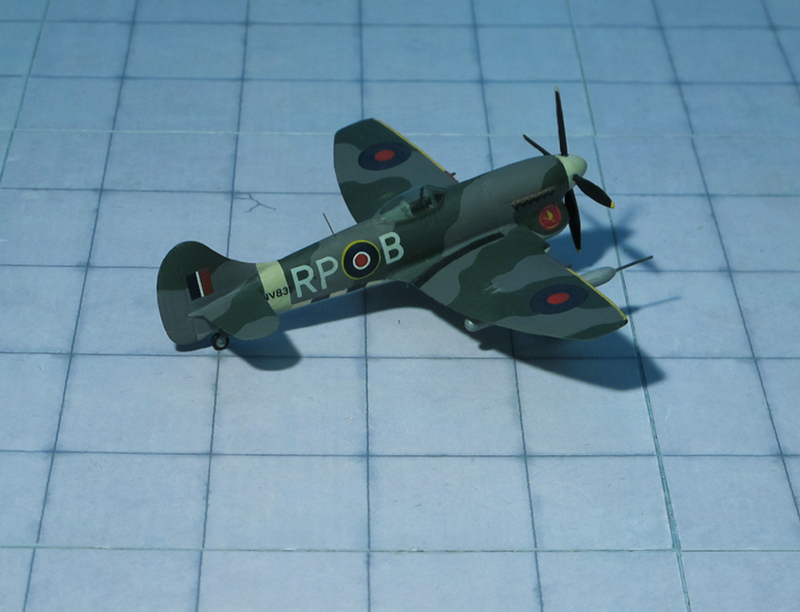 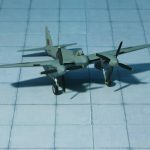 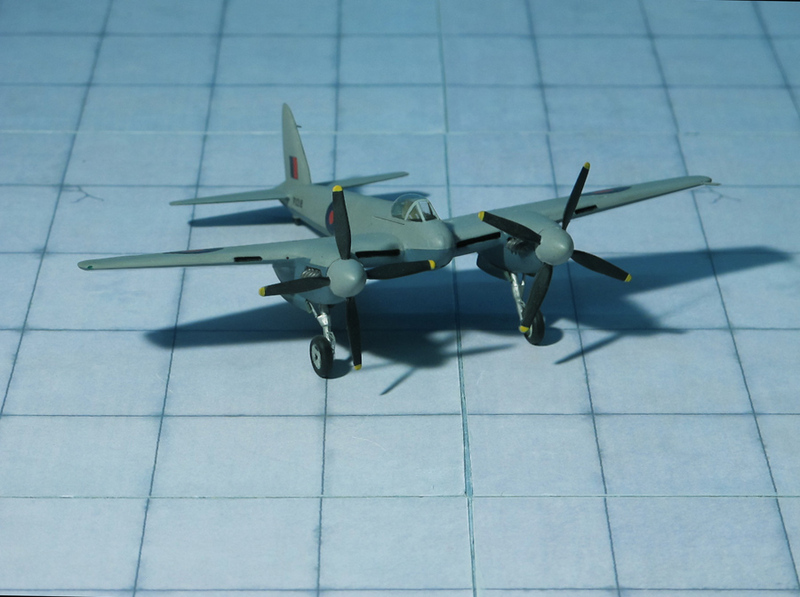 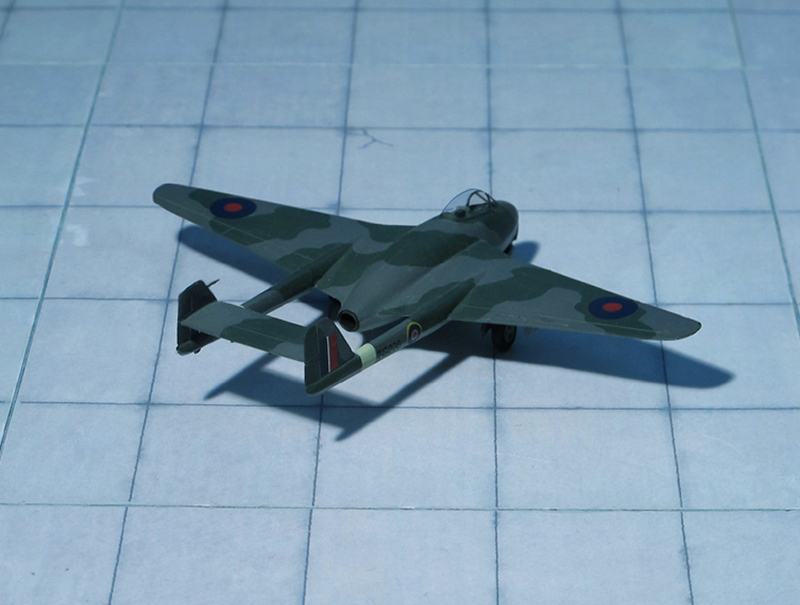 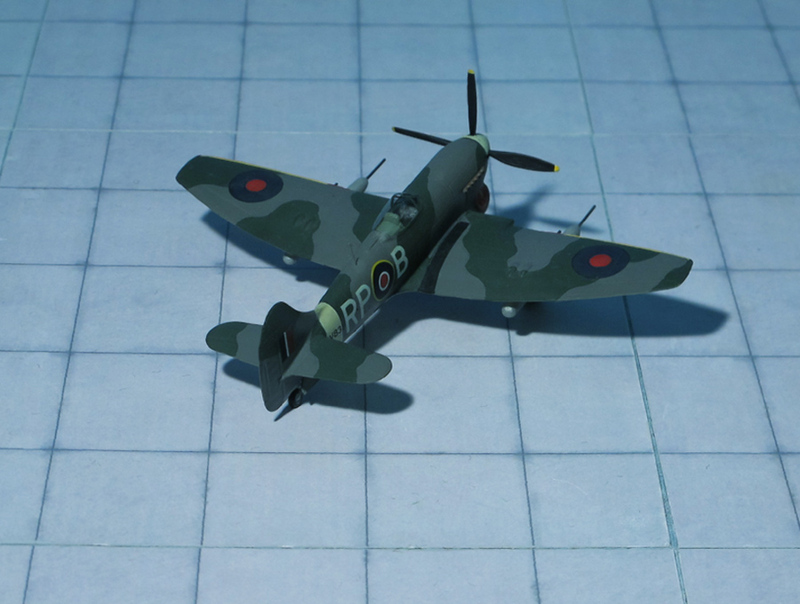 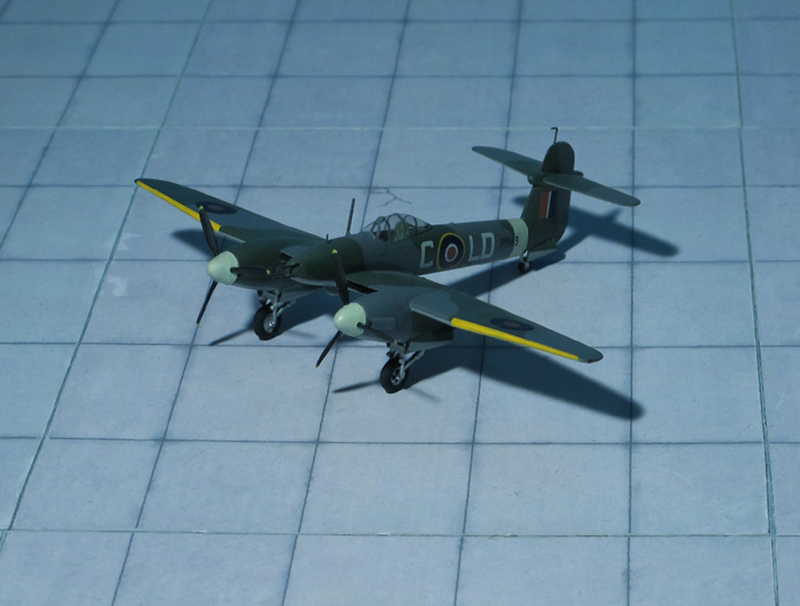 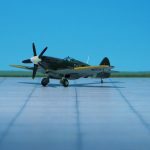 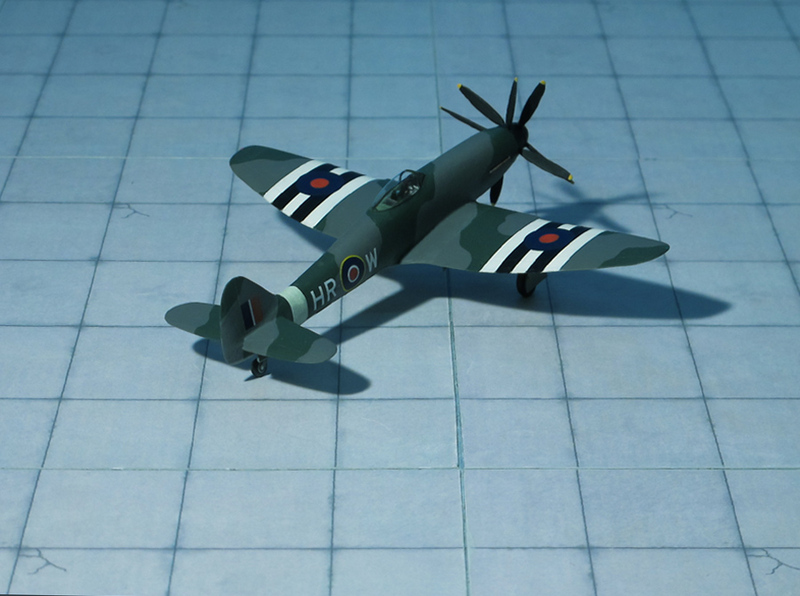 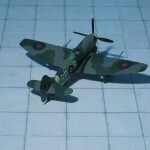 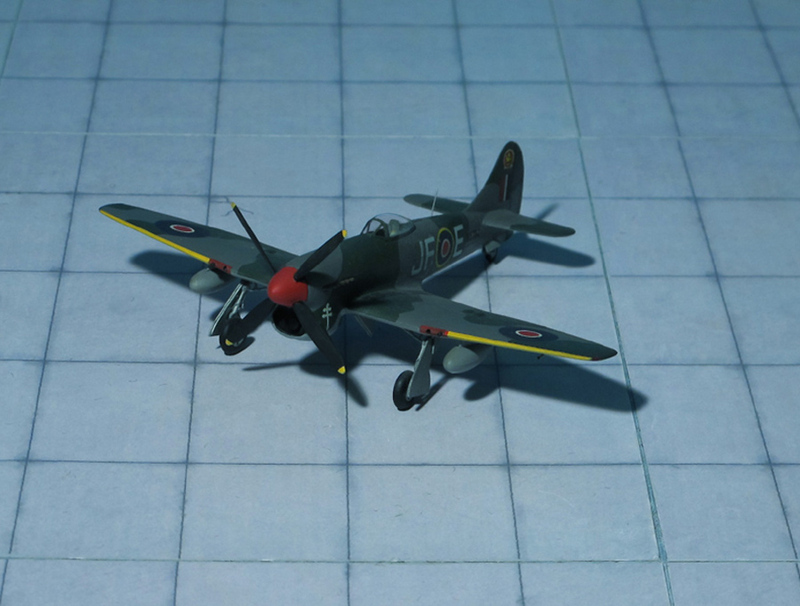 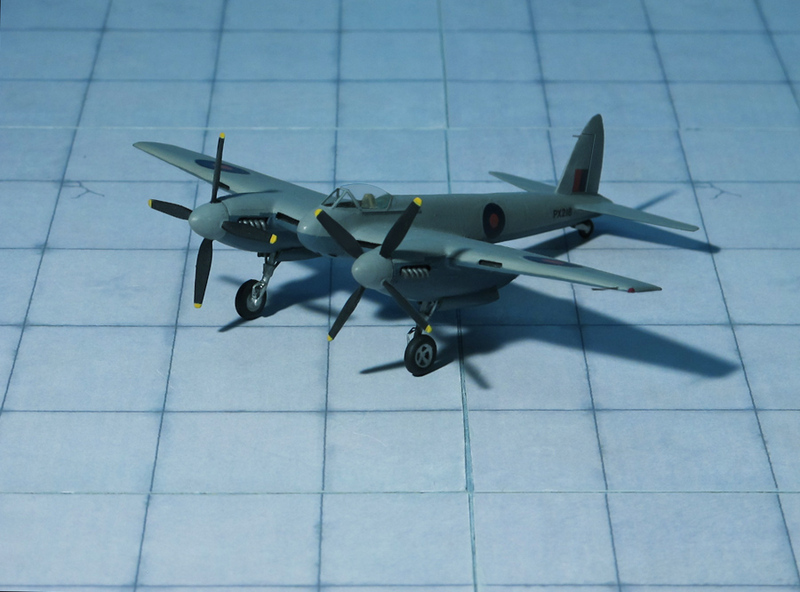 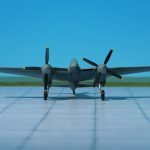 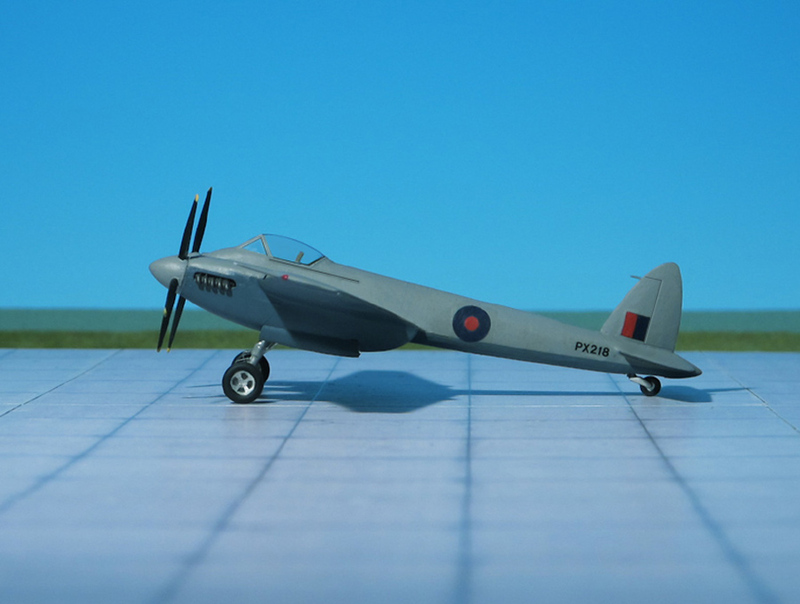 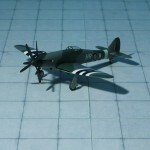 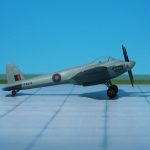 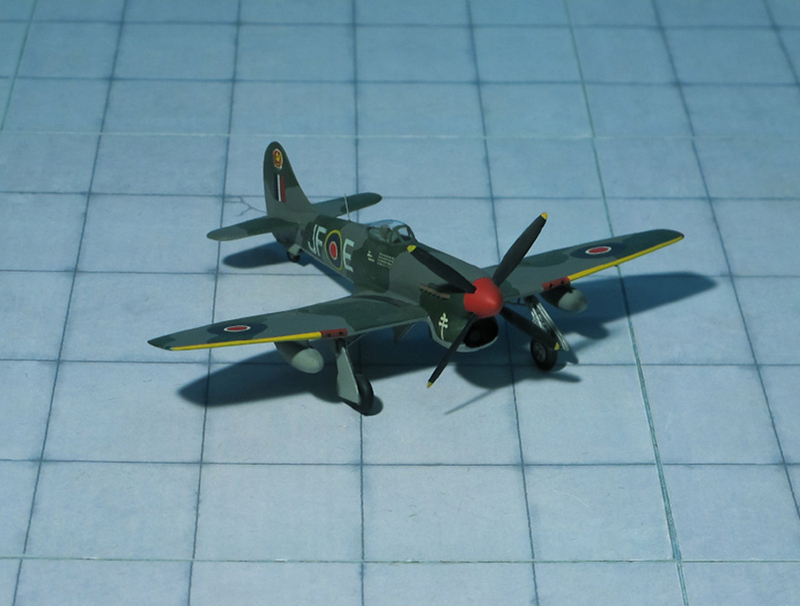 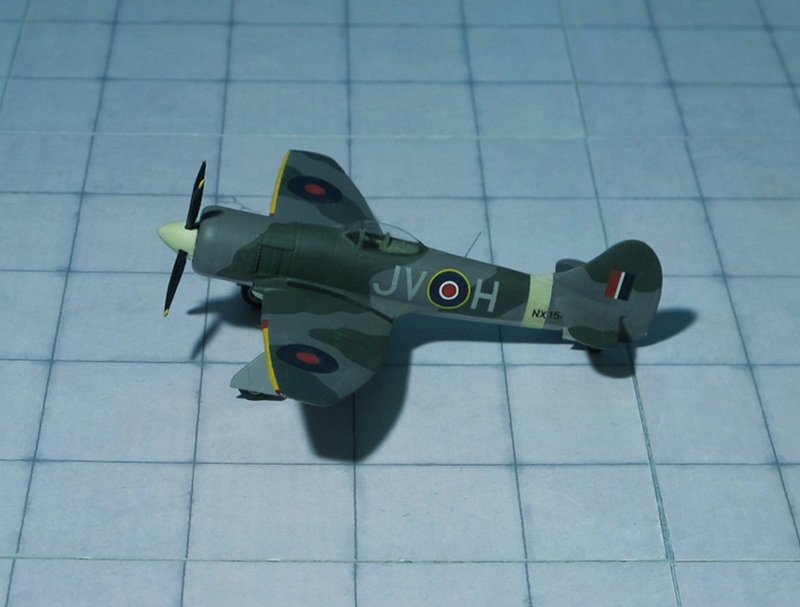 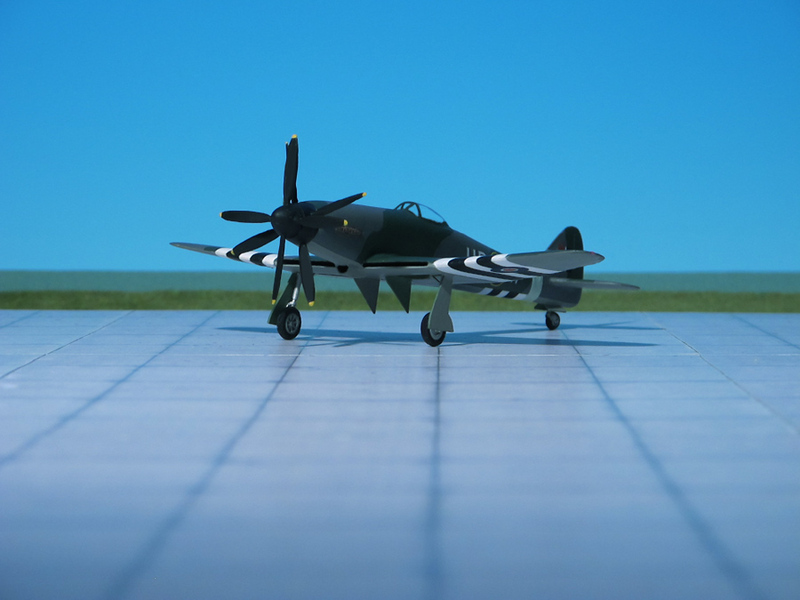 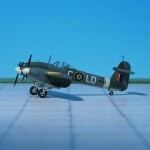 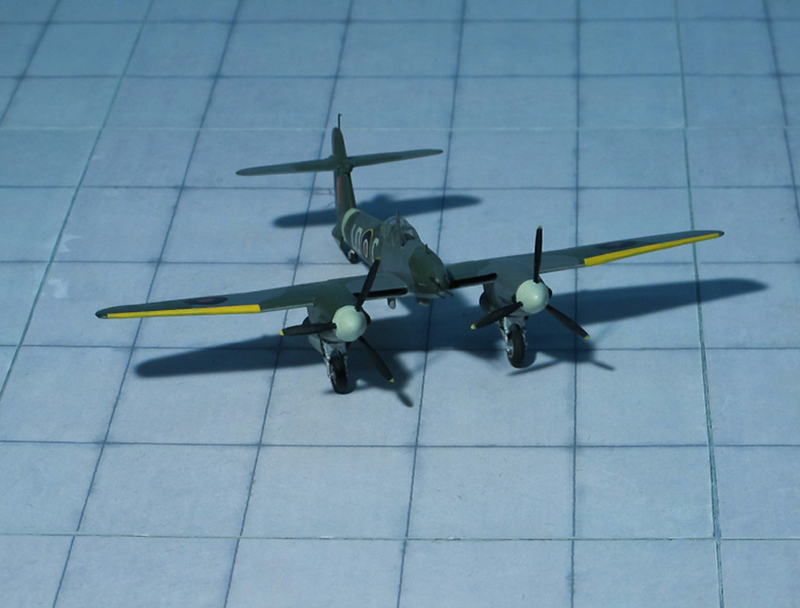 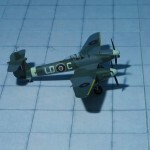 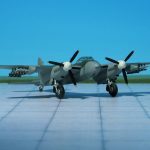 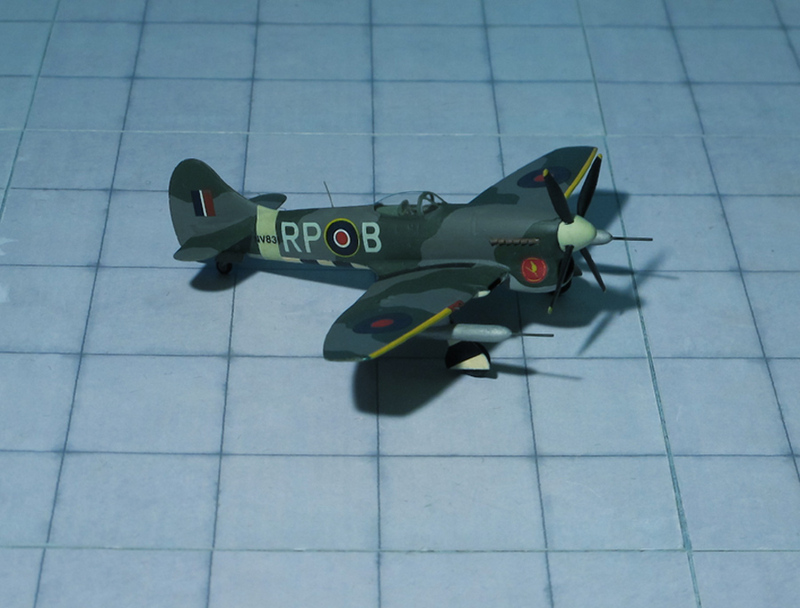 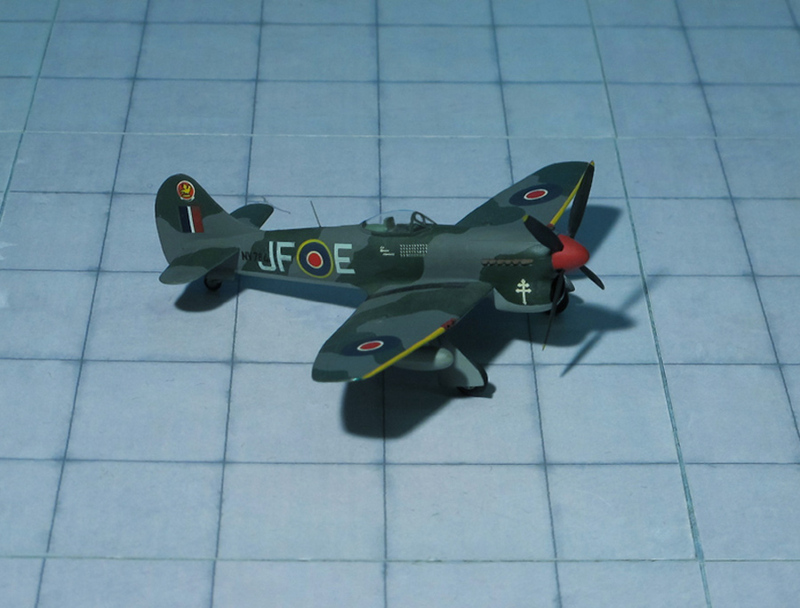 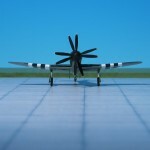 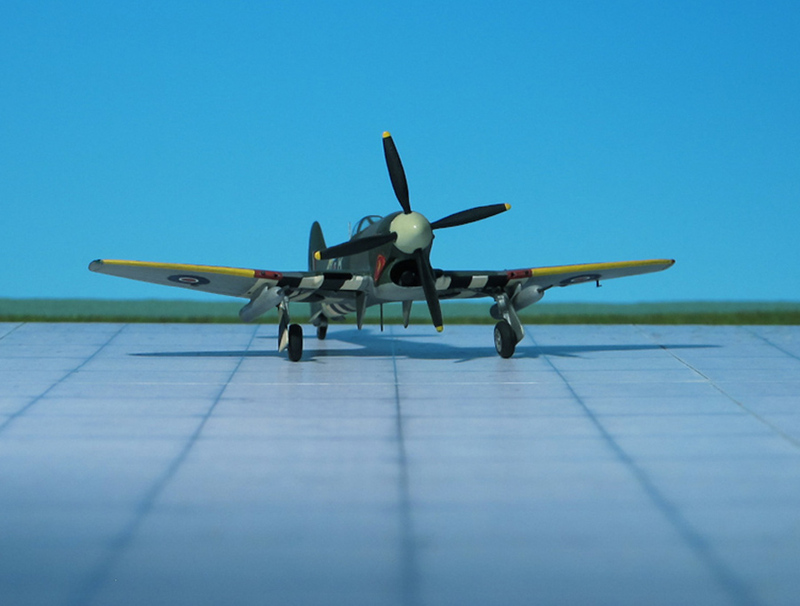 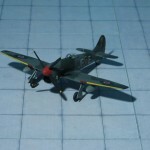 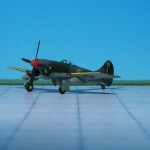 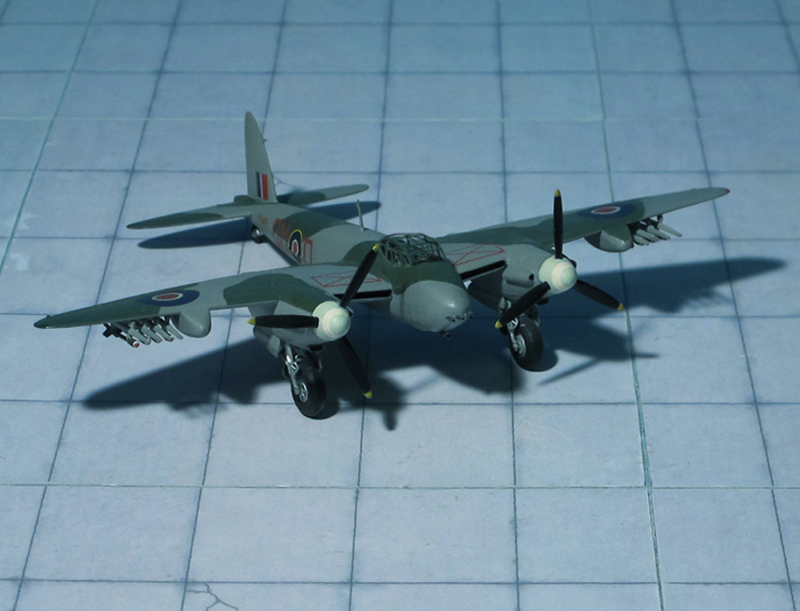 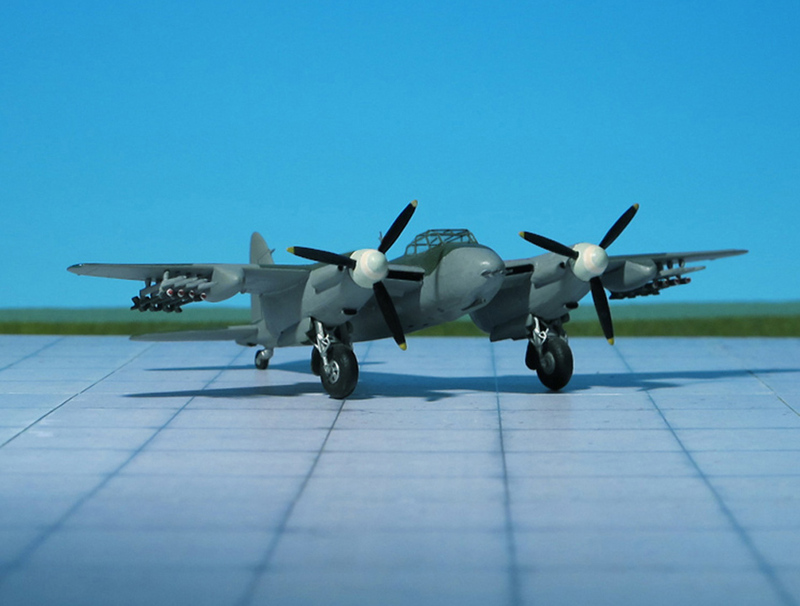 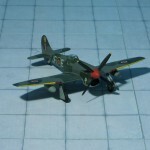 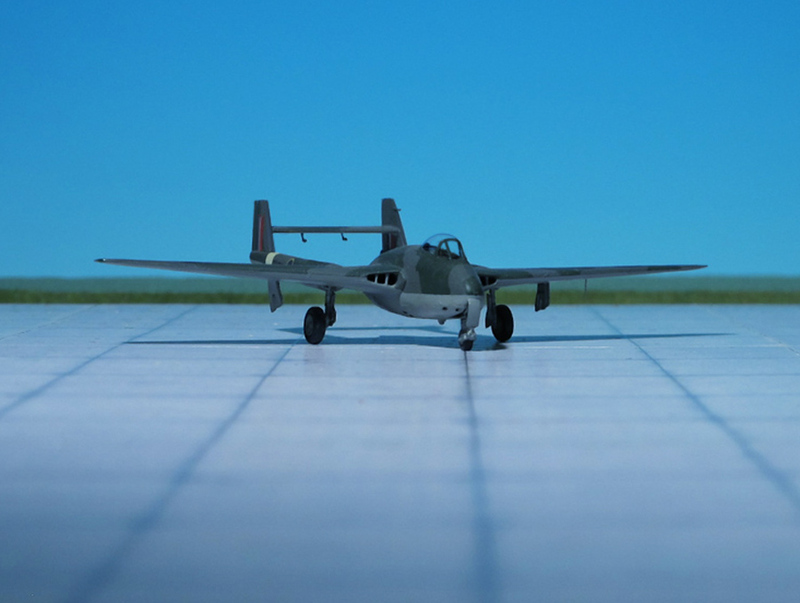 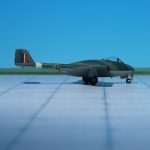 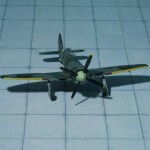 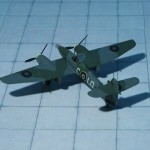 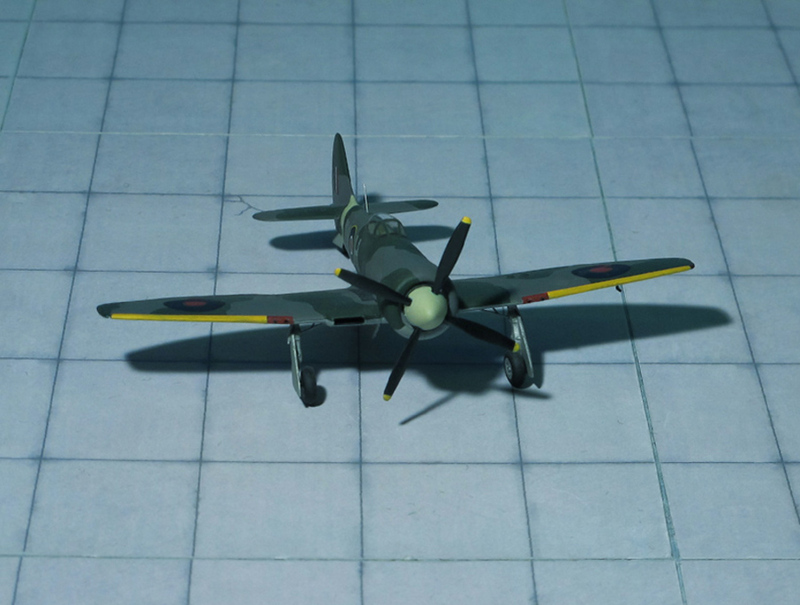 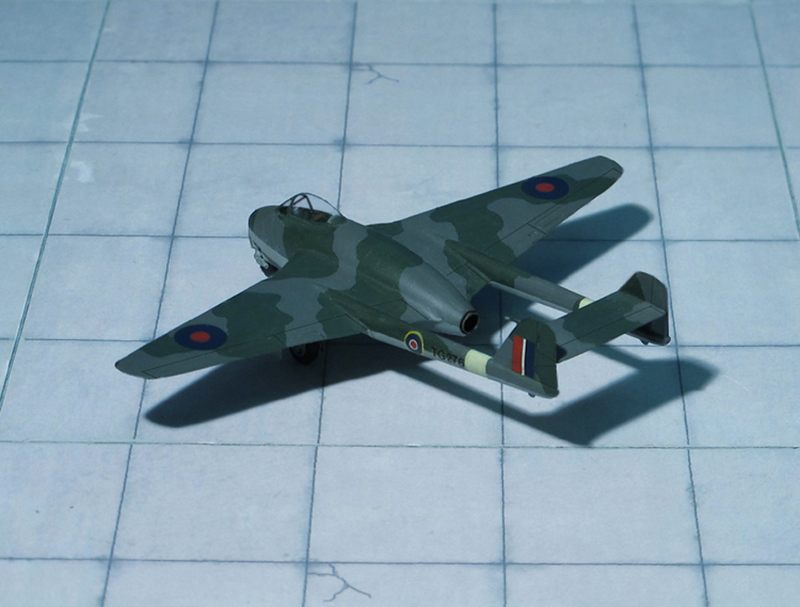 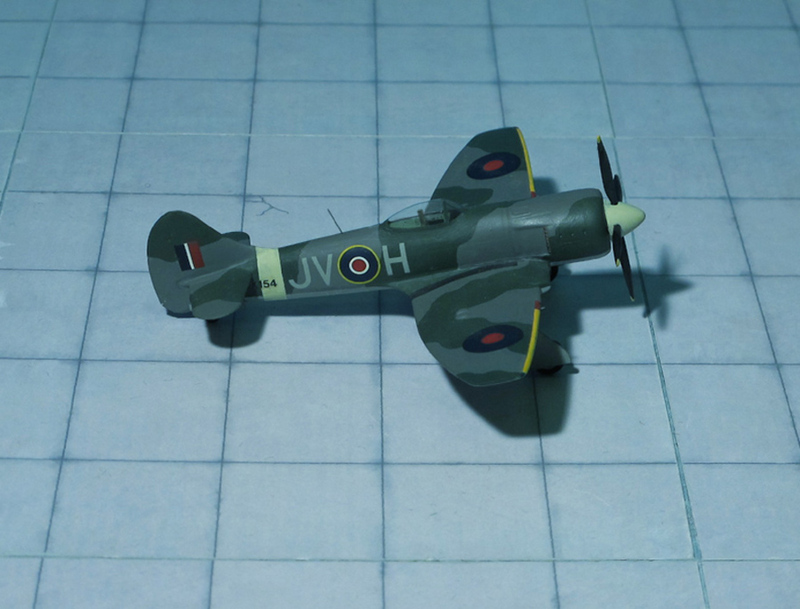 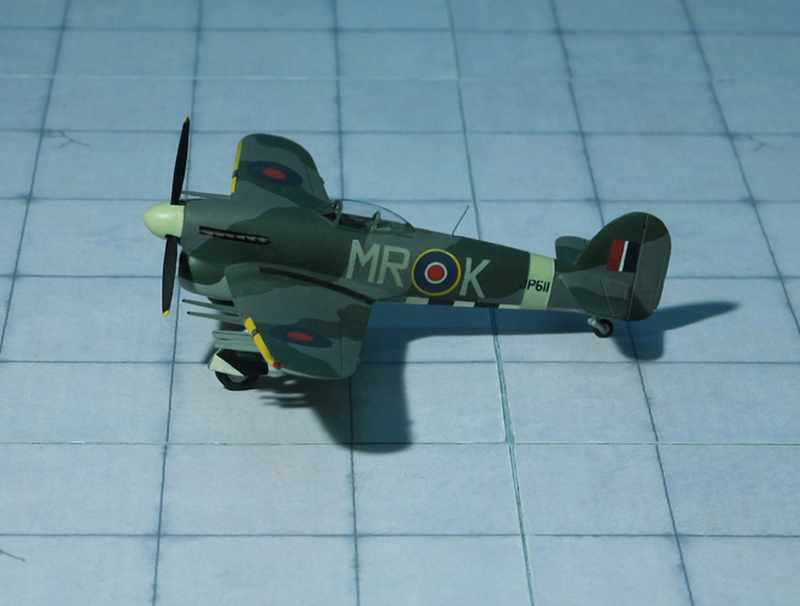 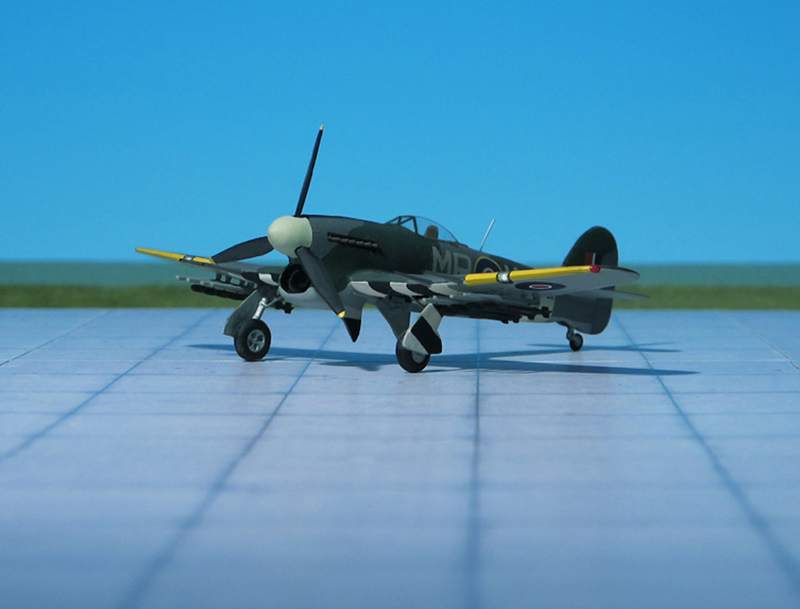 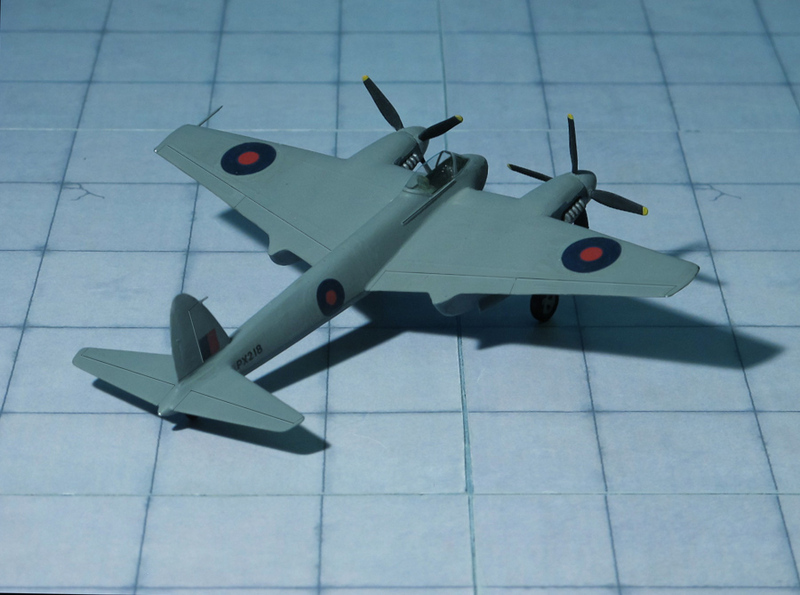 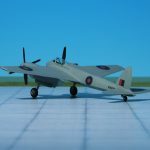 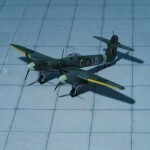 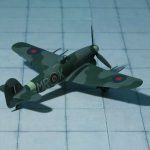 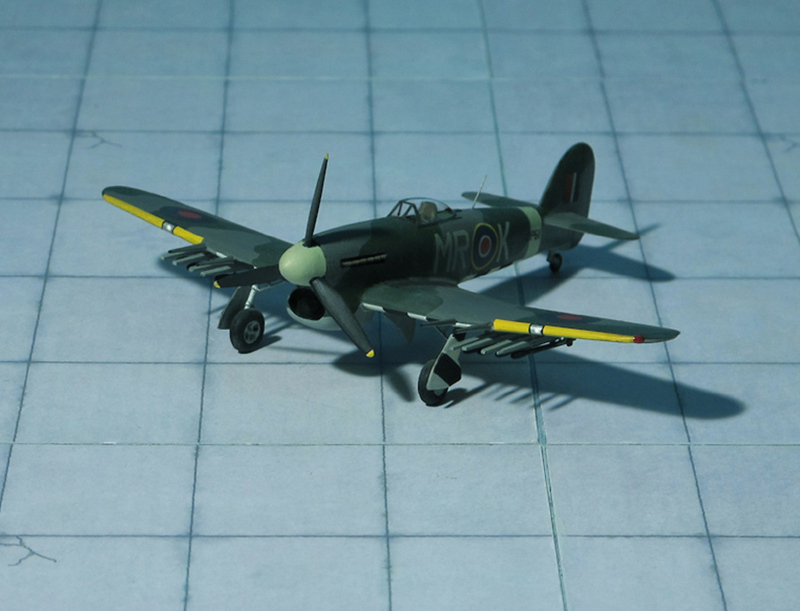 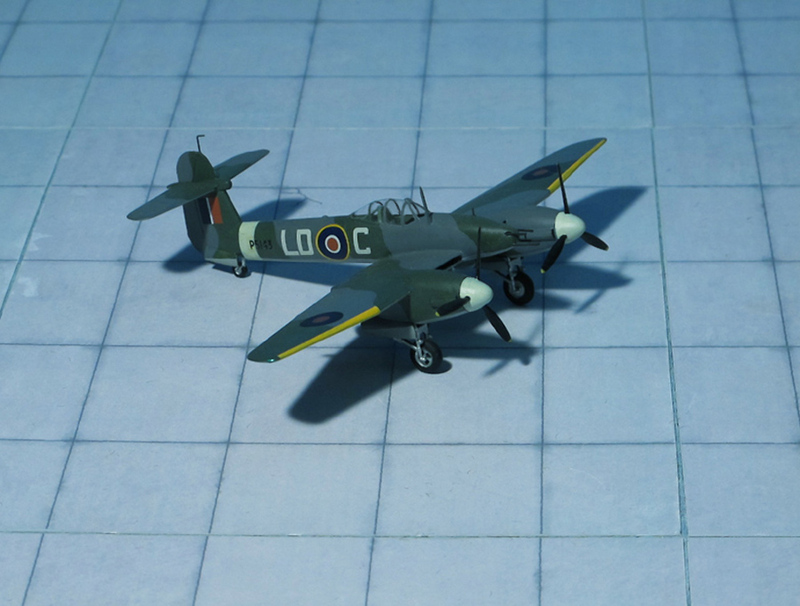 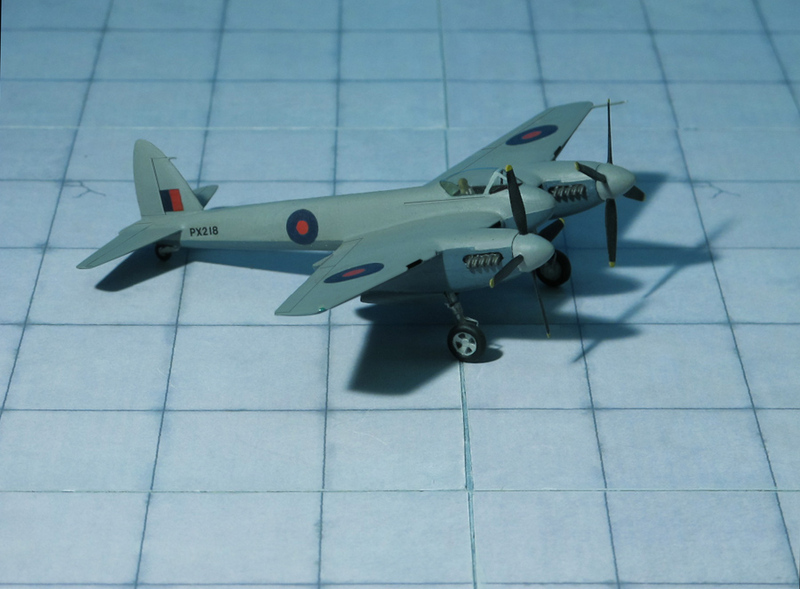 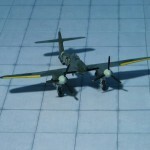 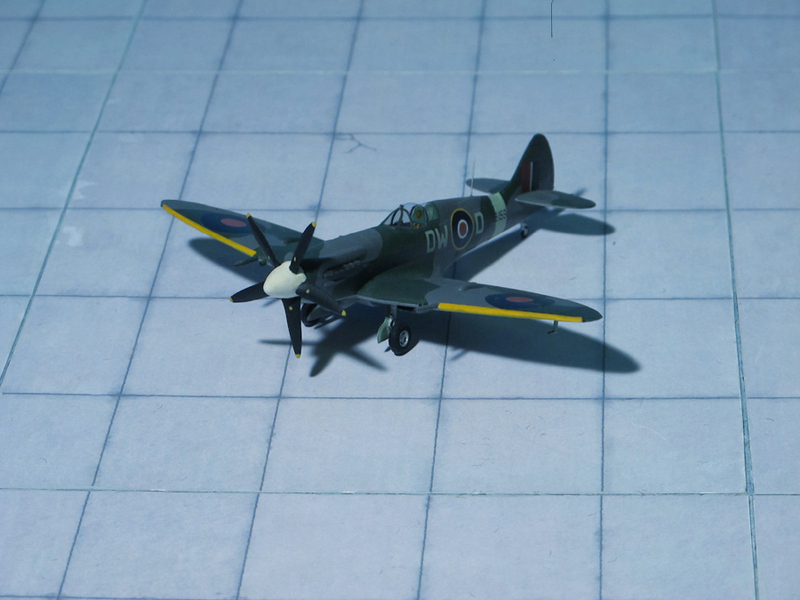 The Tempest II was the most powerful fighter powered by a single piston engine to see service with the R.A.F. 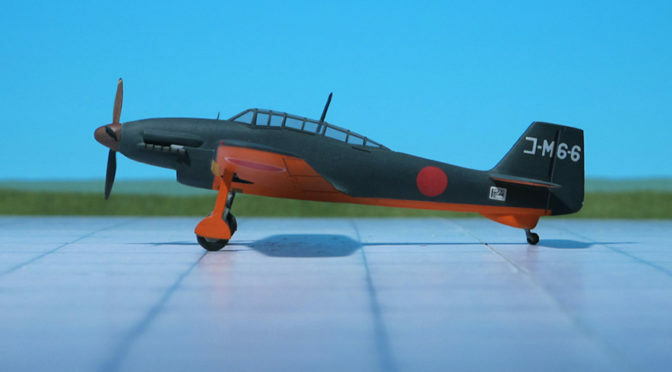 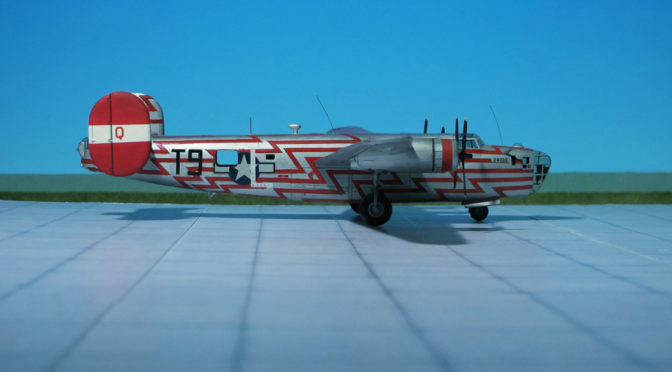 and was intended primarily for operations against the Japanese in Far East where its excellent range would undoubtedly have proved most useful. 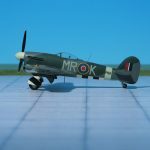 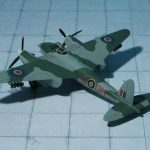 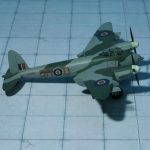 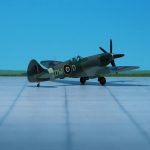 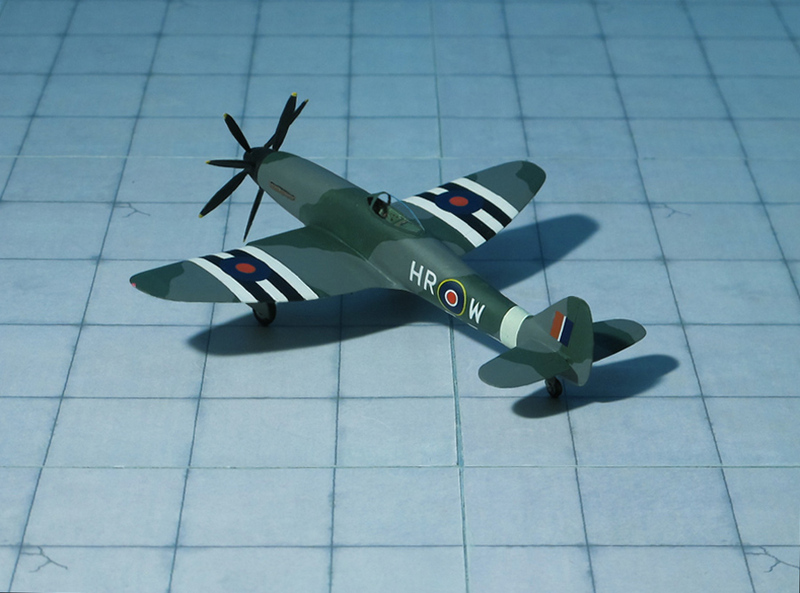 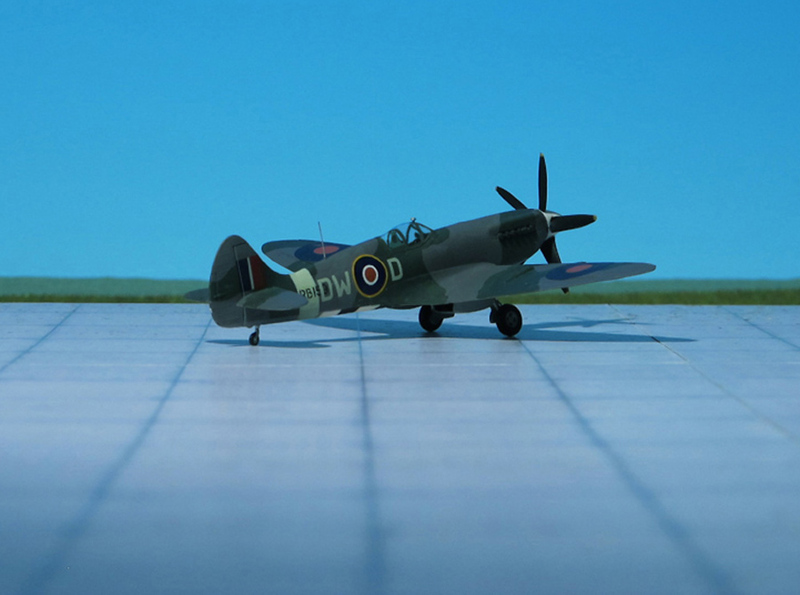 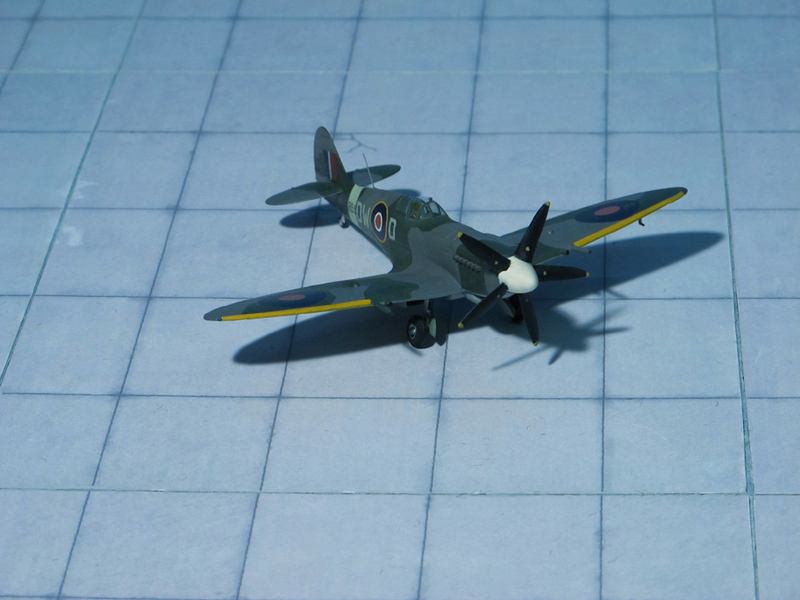 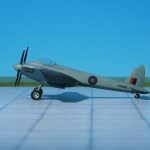 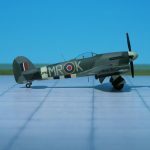 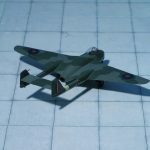 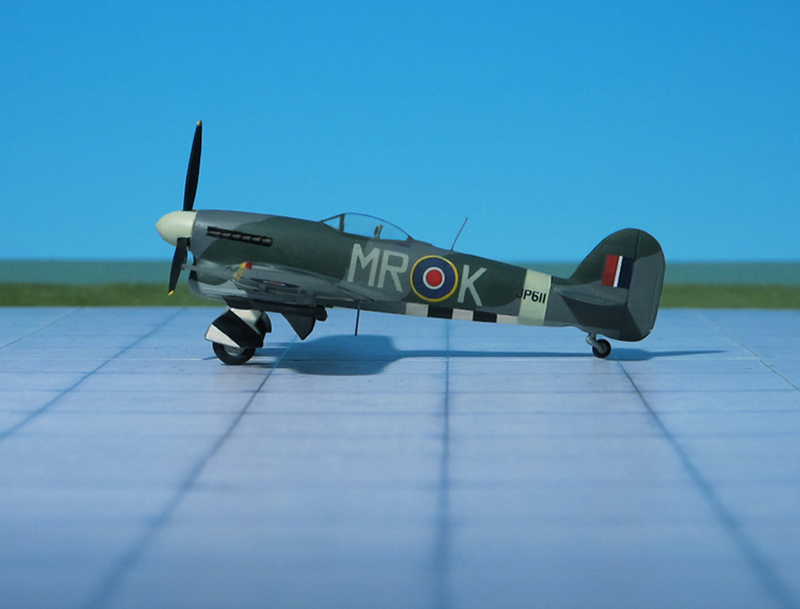 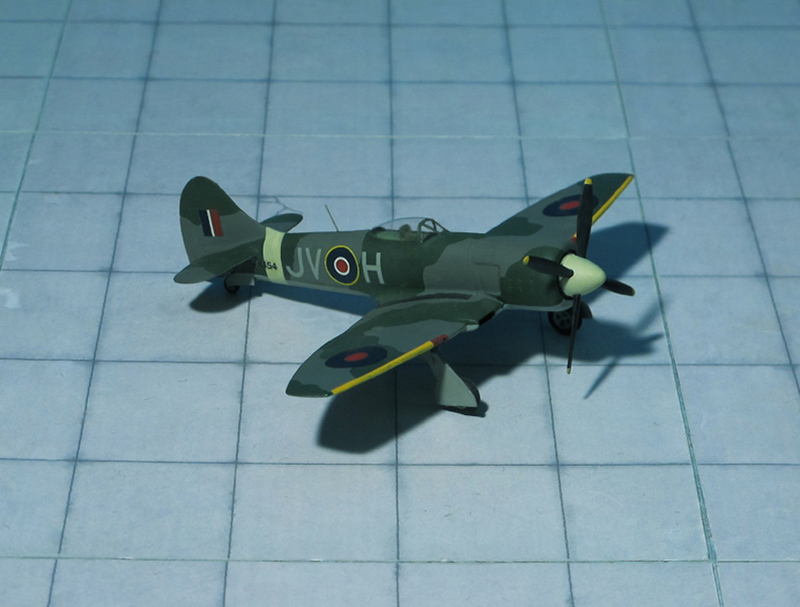 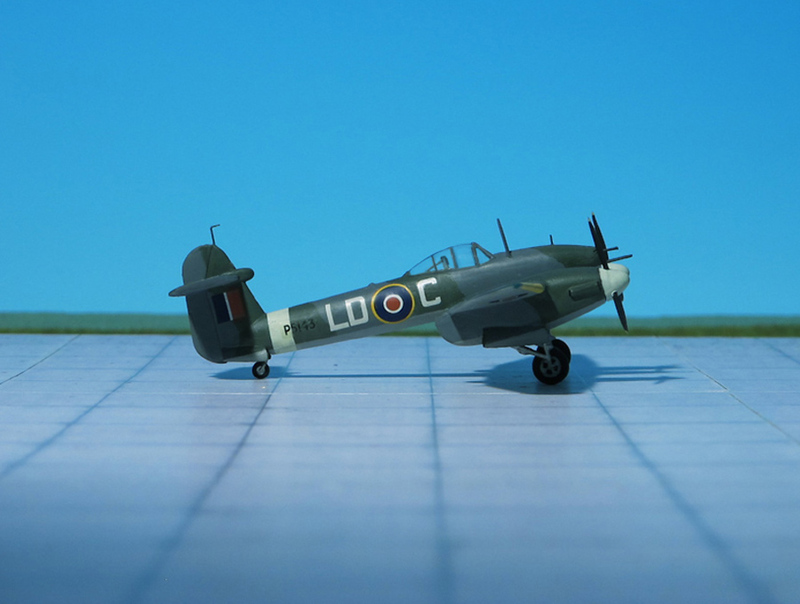 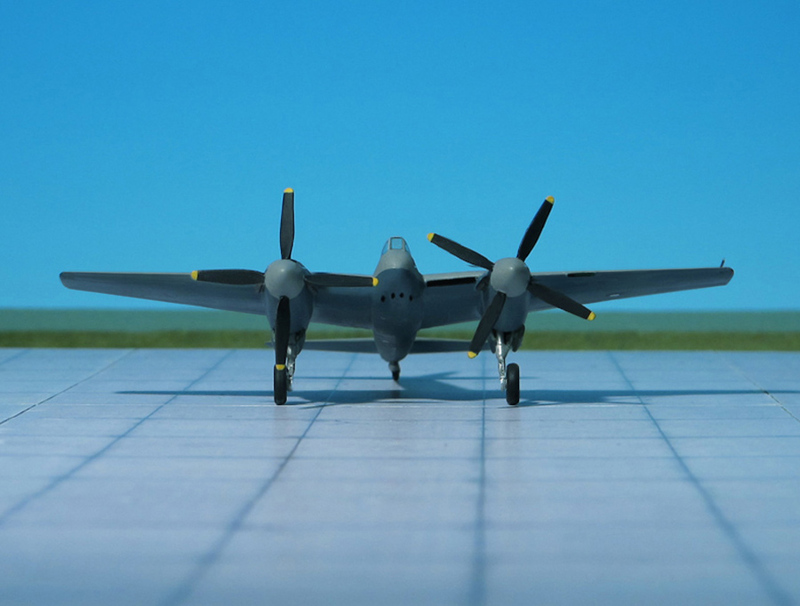 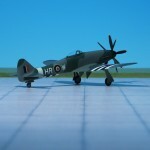 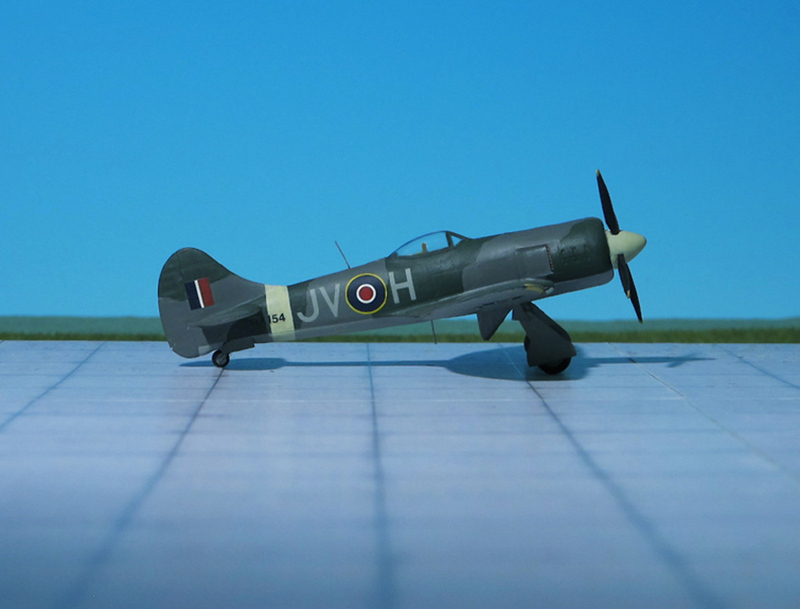 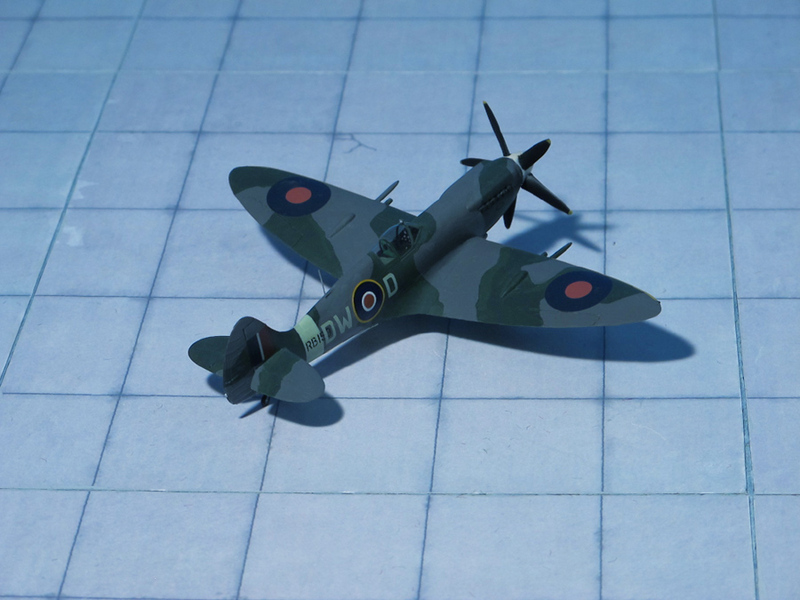 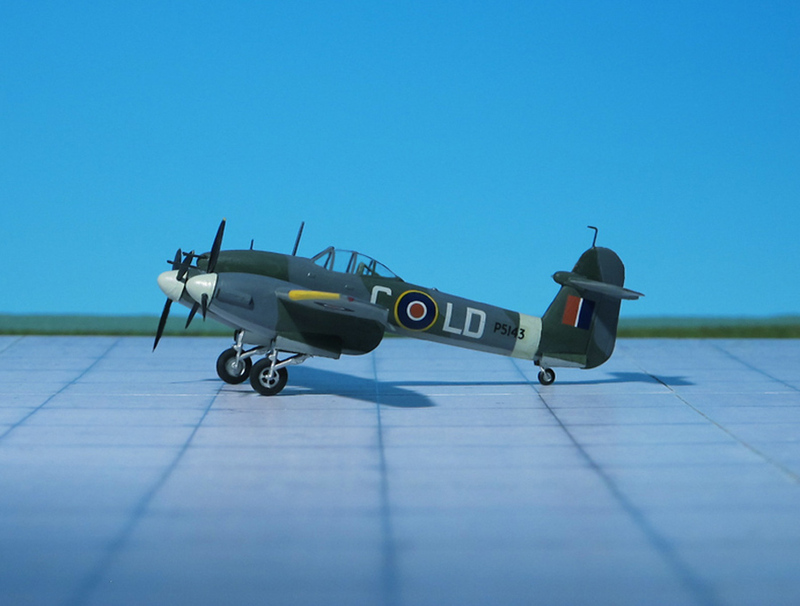 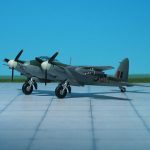 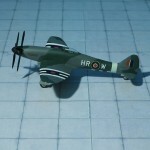 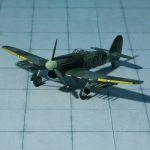 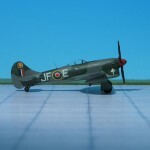 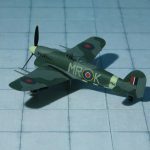 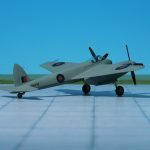 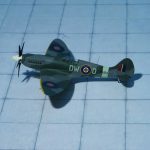 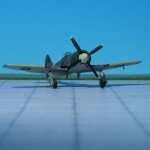 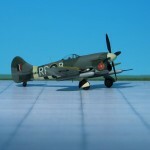 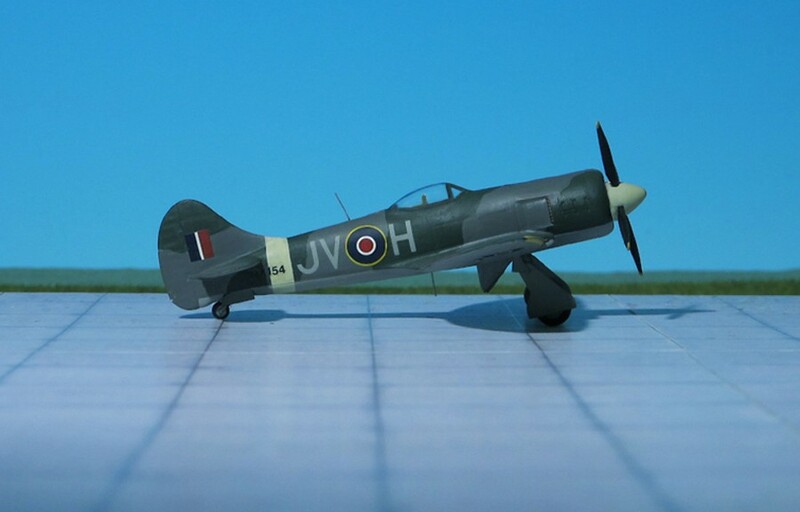 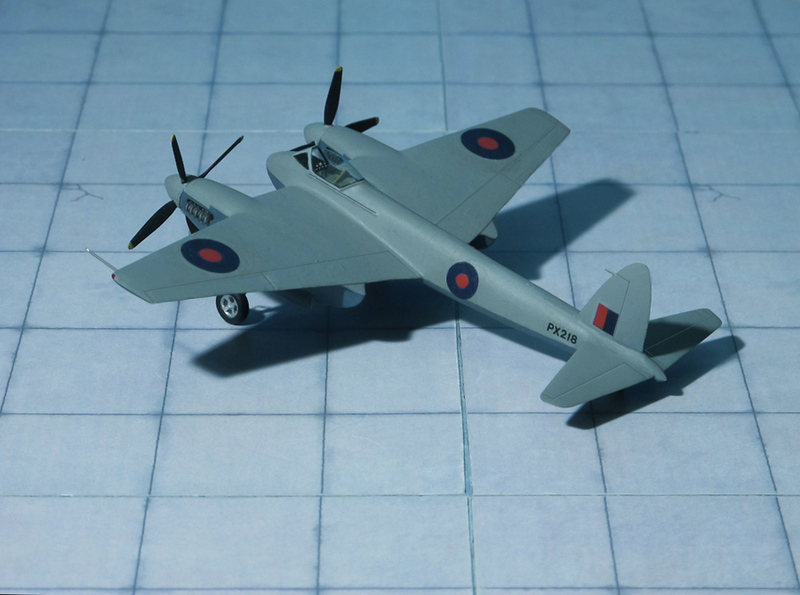 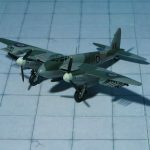 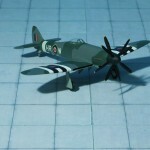 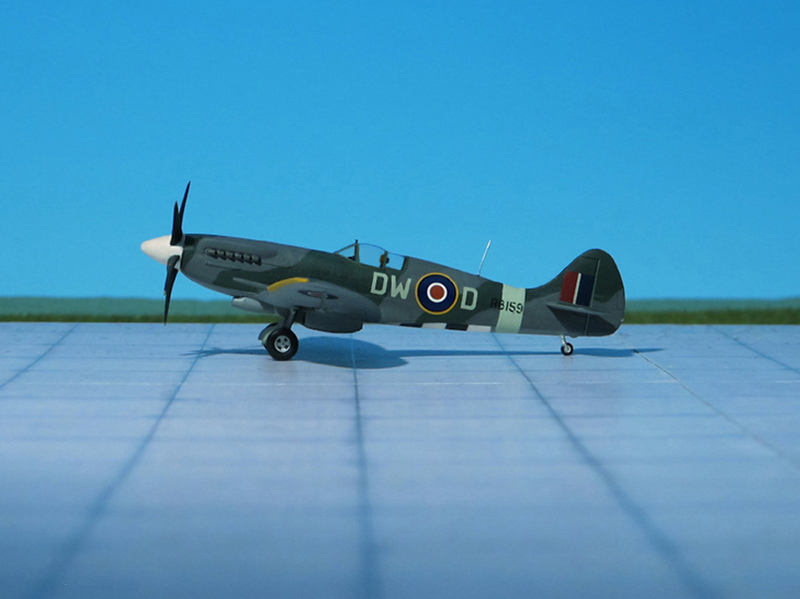 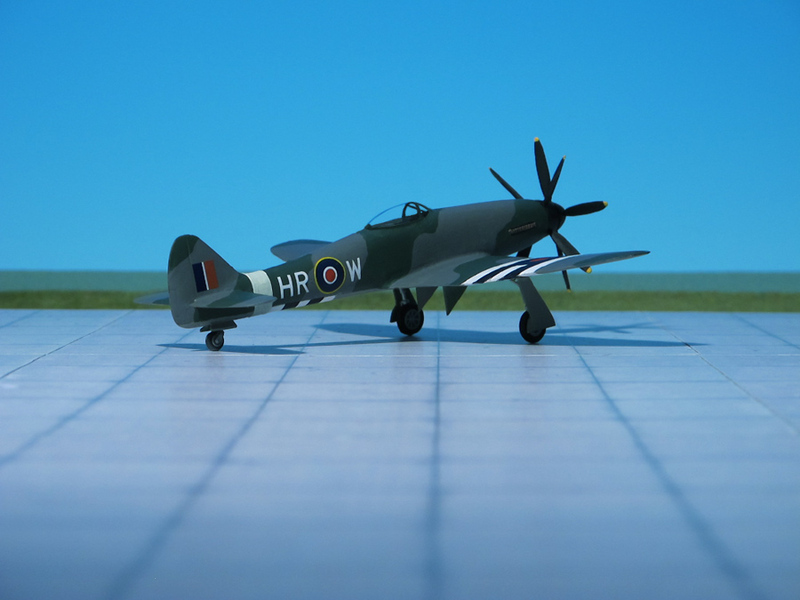 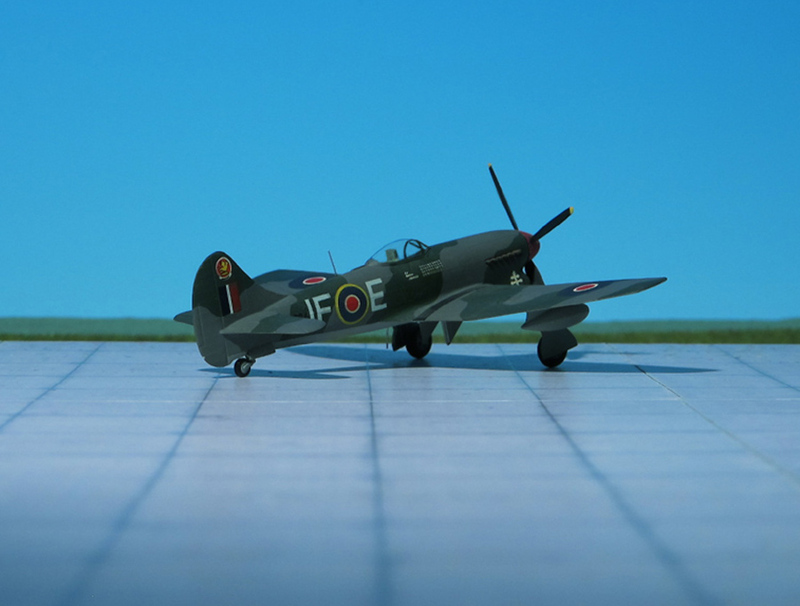 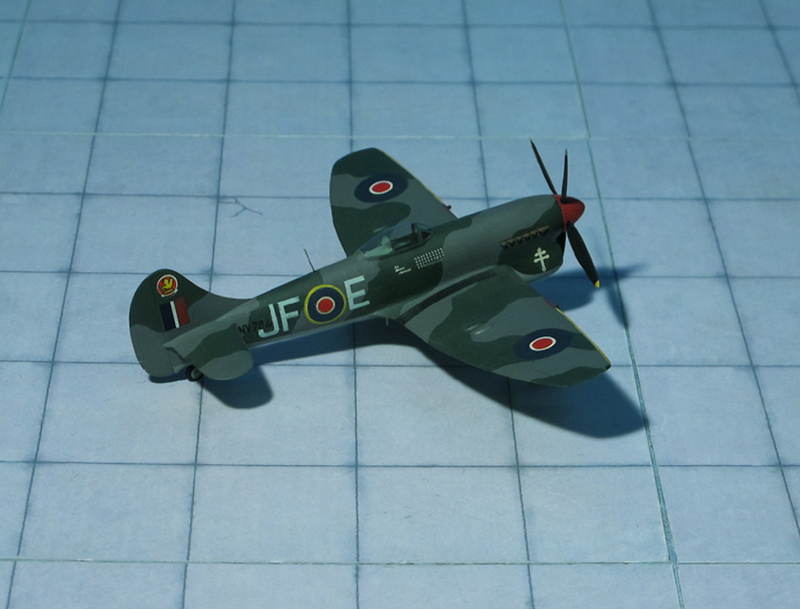 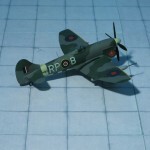 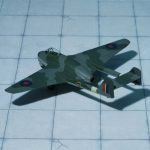 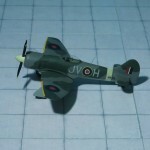 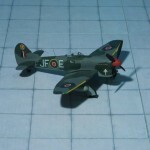 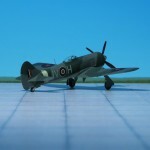 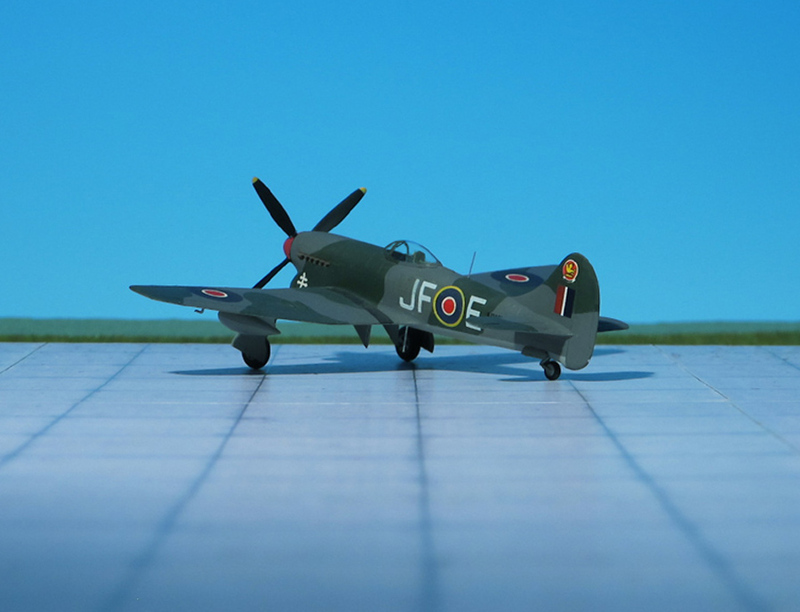 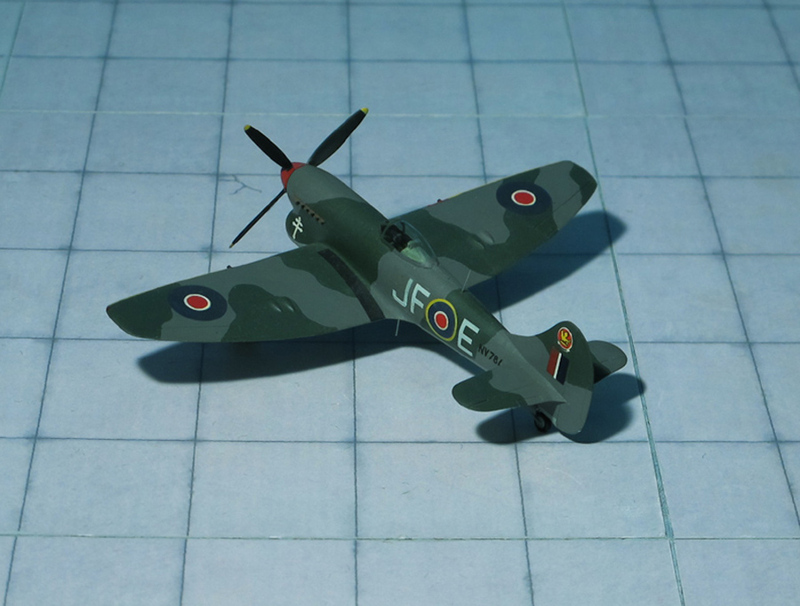 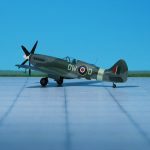 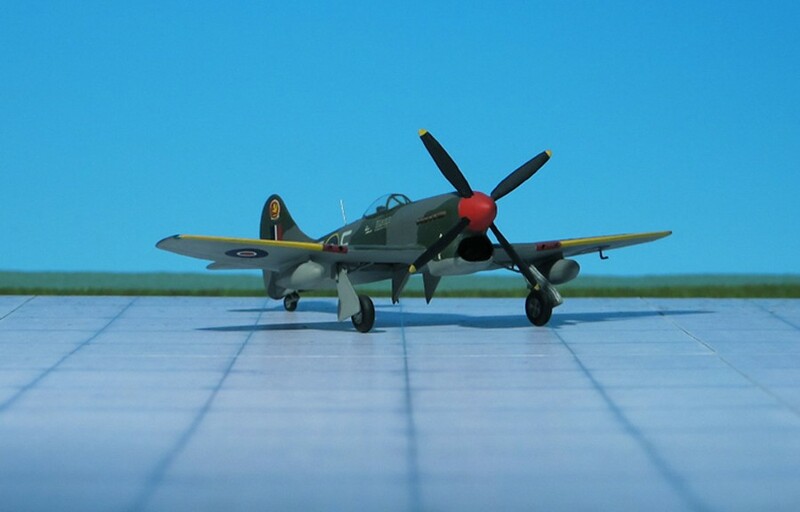 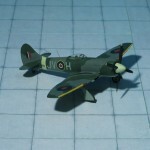 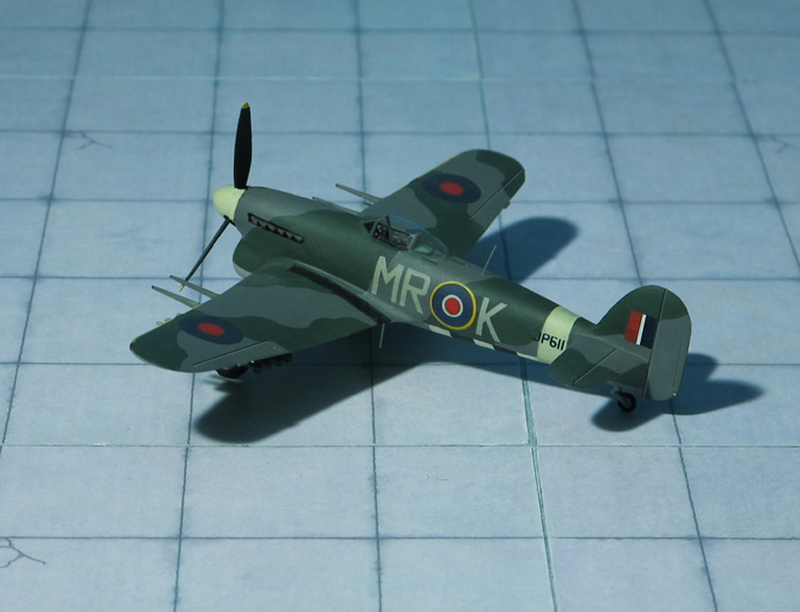 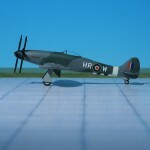 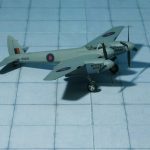 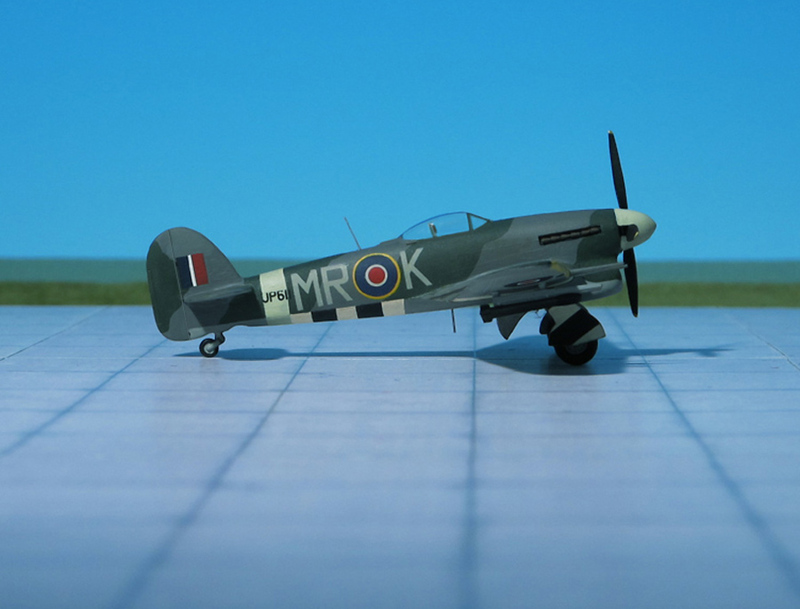 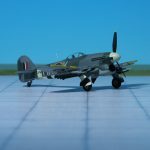 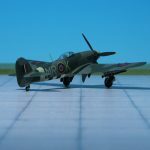 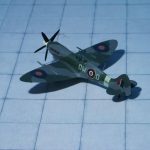 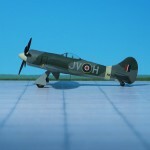 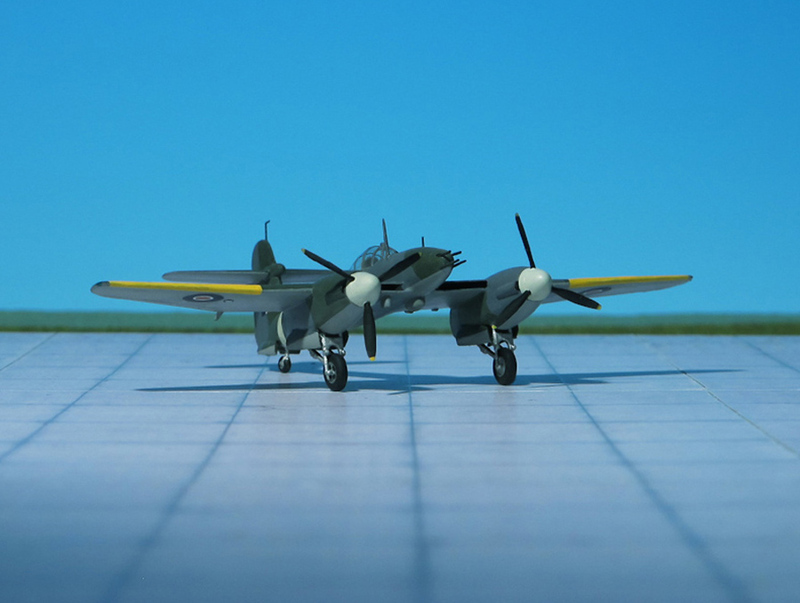 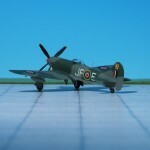 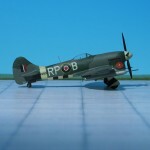 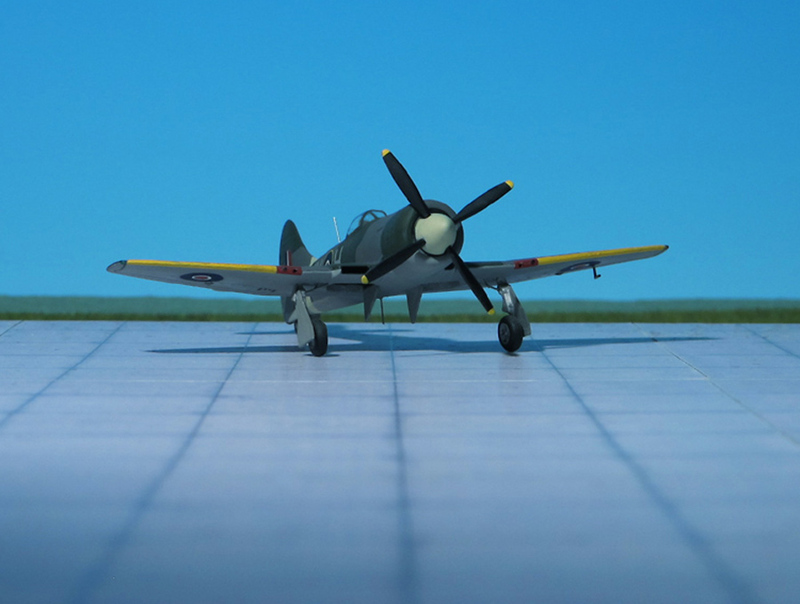 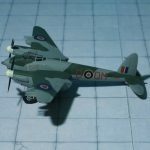 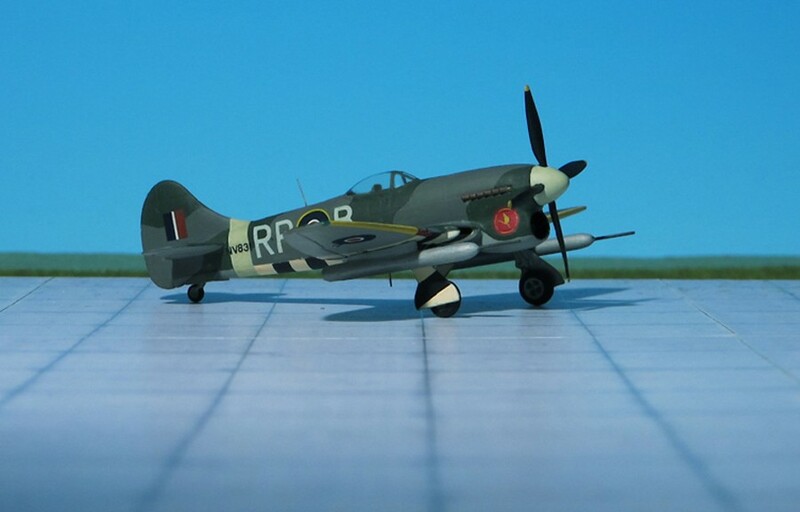 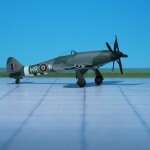 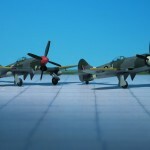 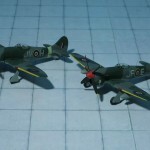 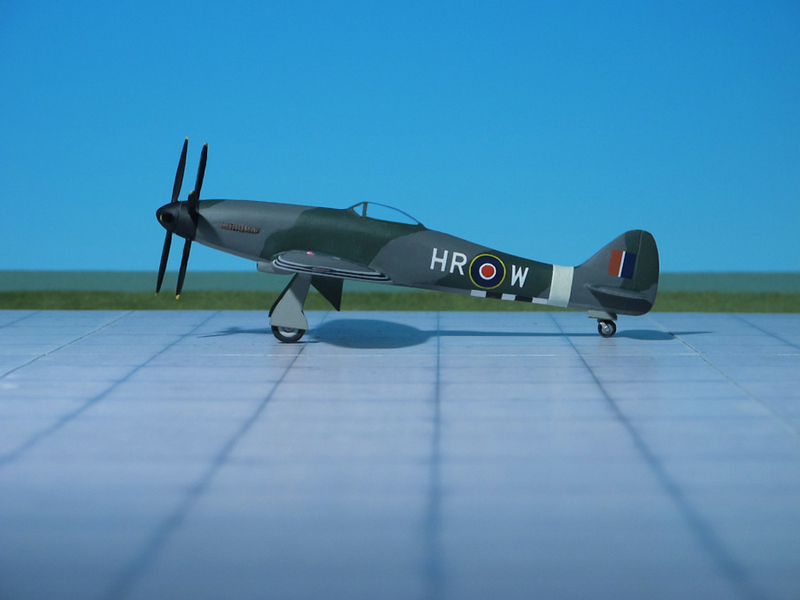 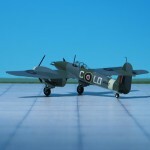 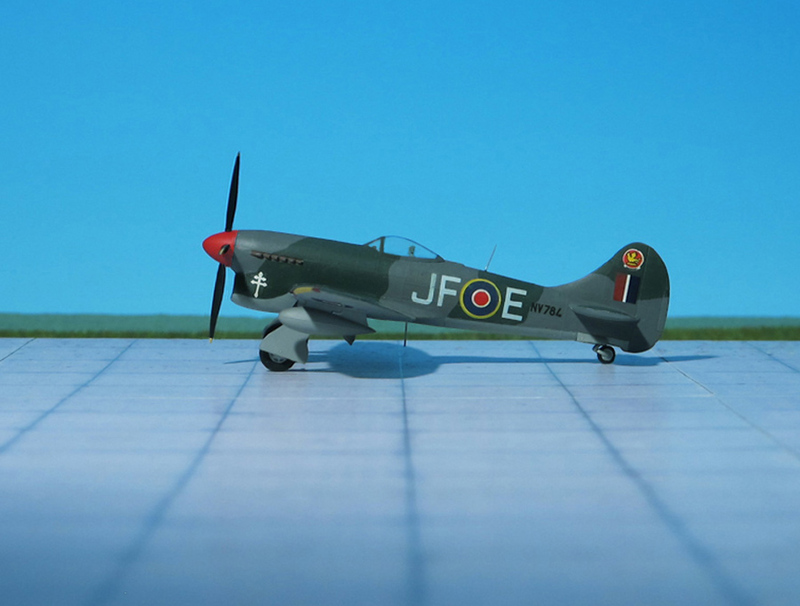 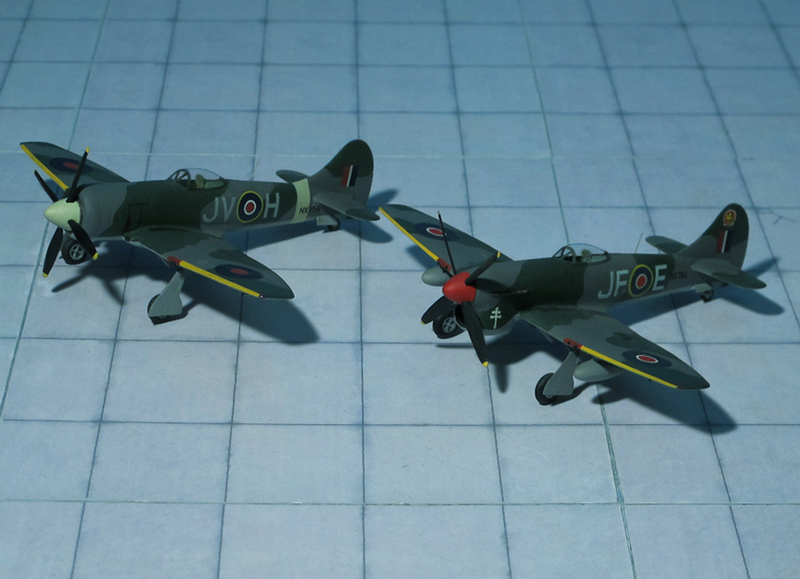 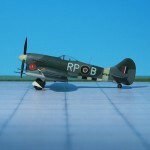 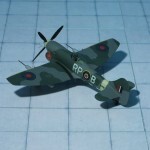 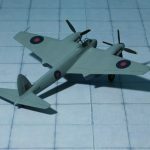 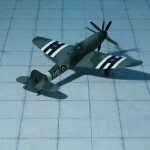 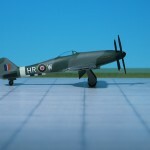 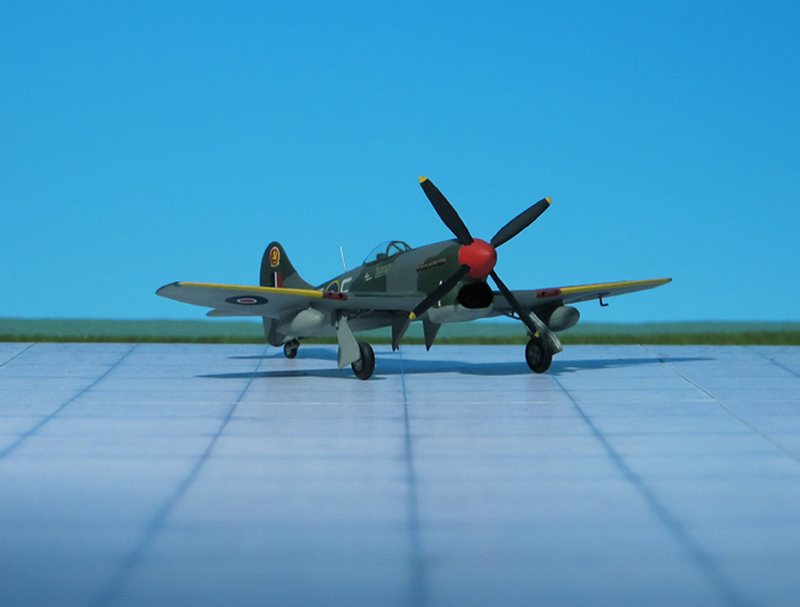 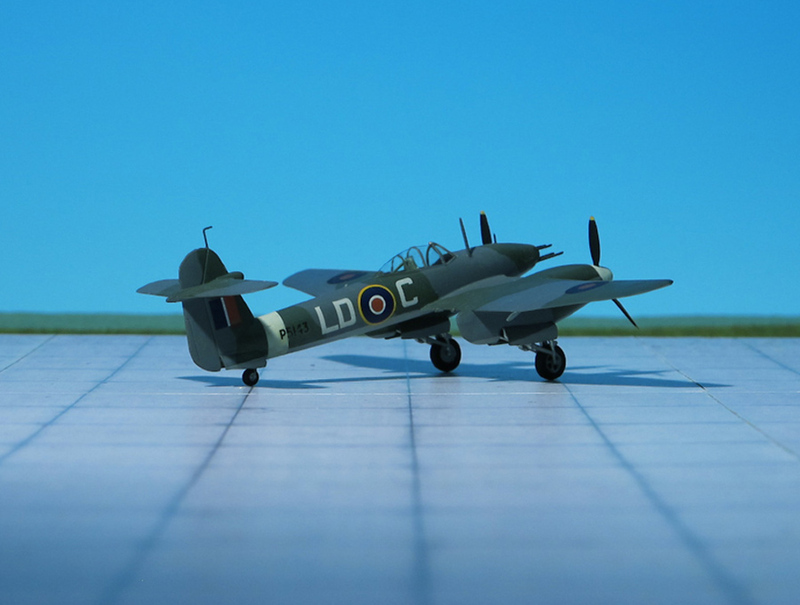 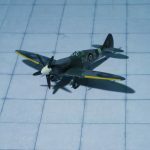 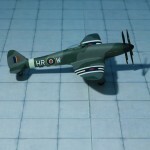 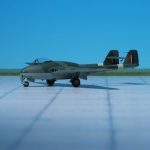 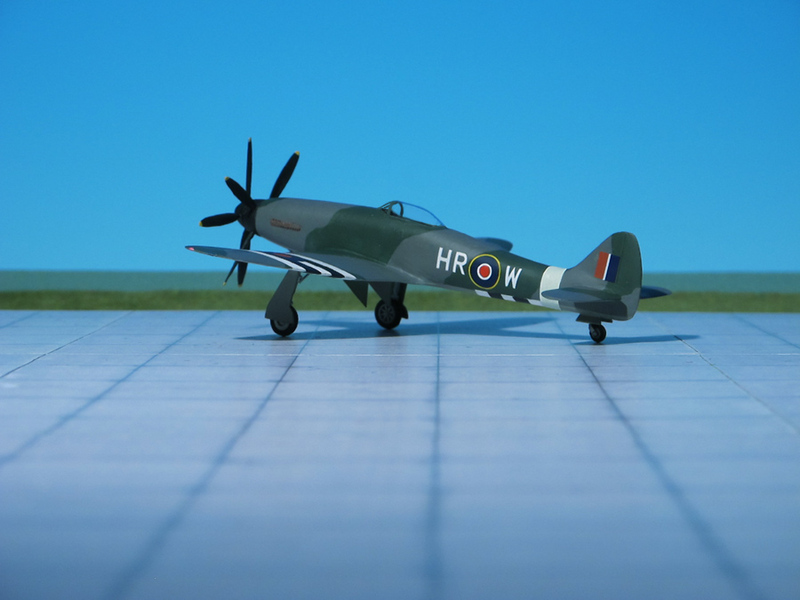 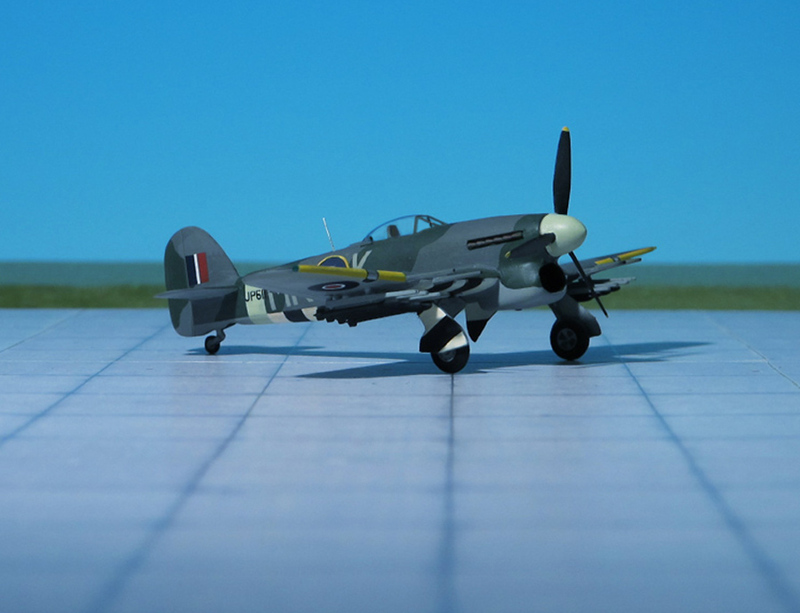 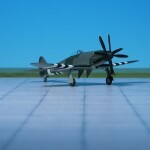 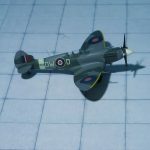 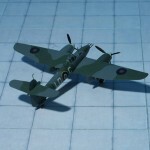 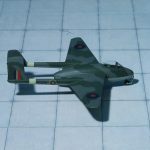 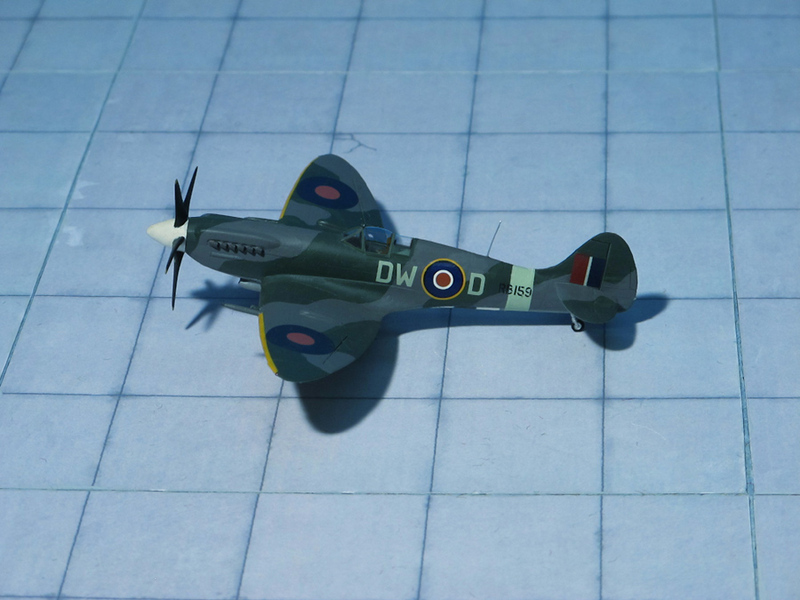 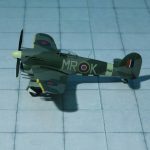 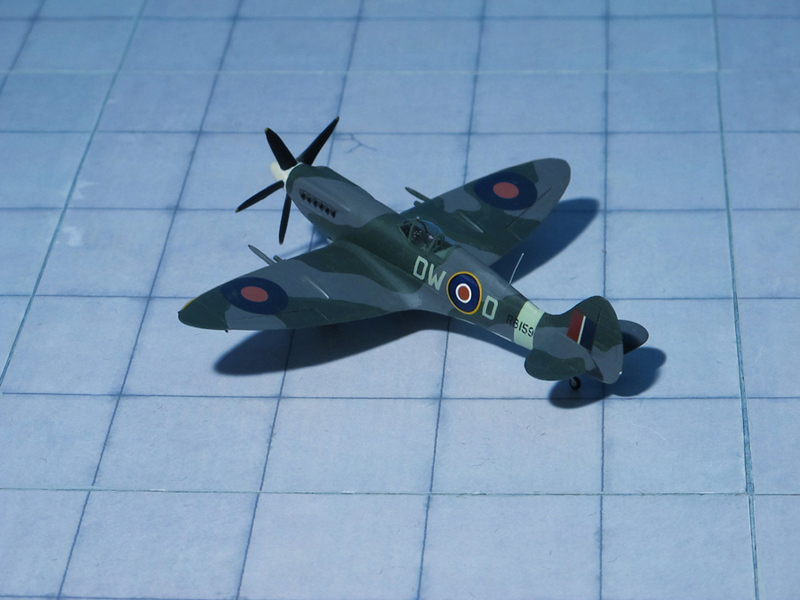 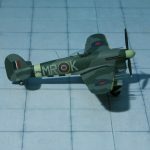 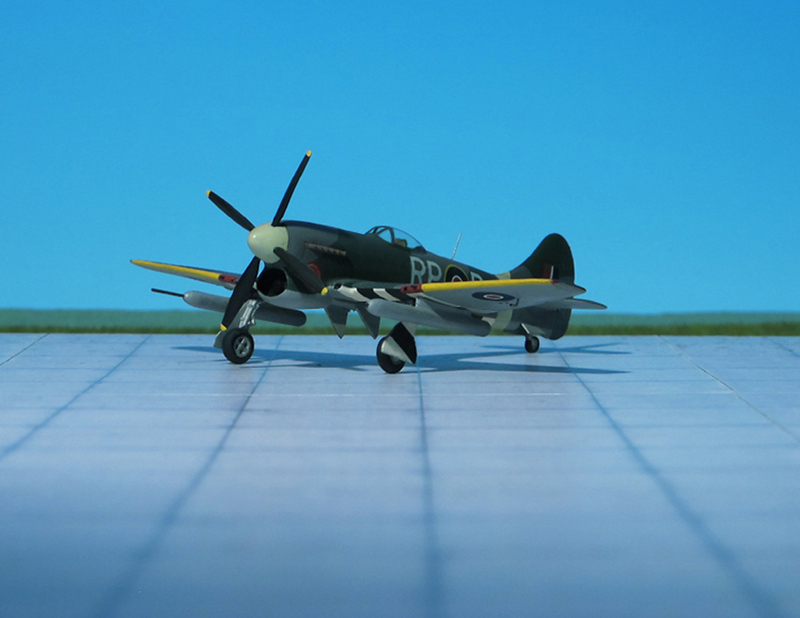 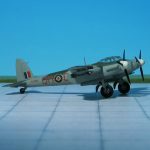 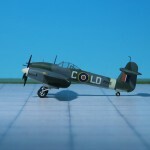 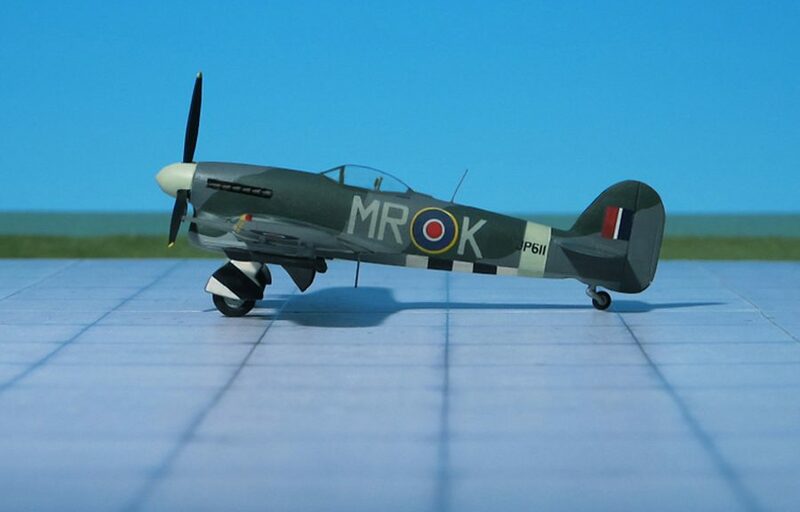 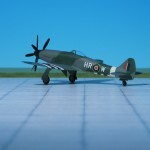 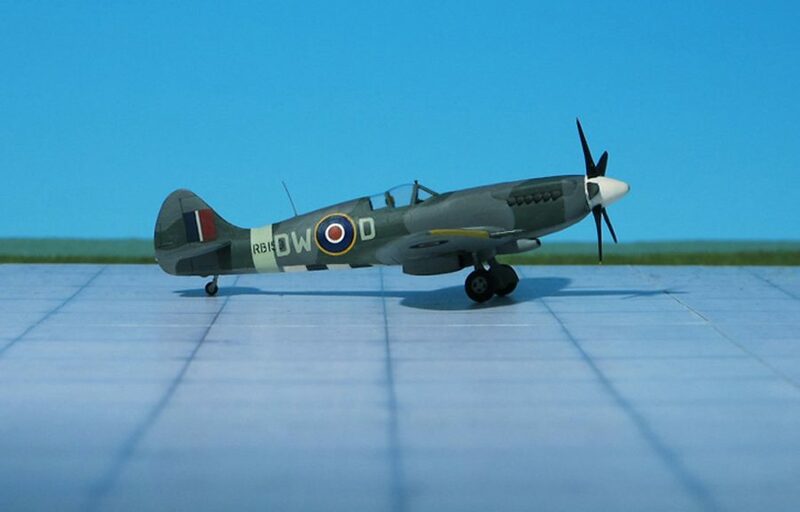 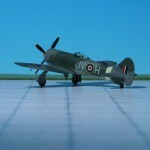 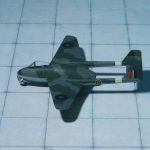 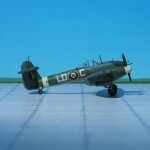 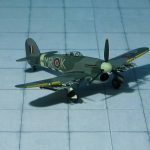 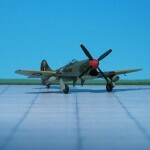 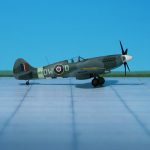 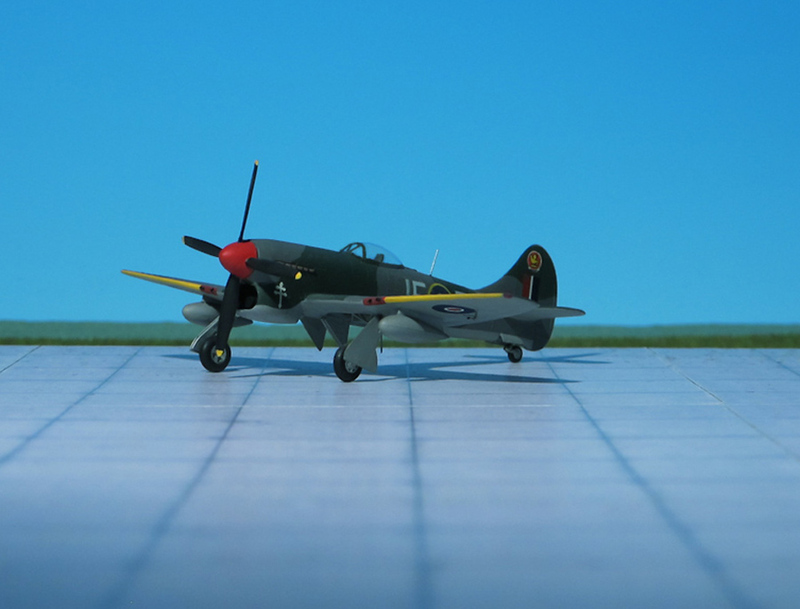 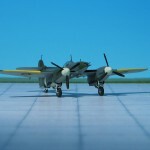 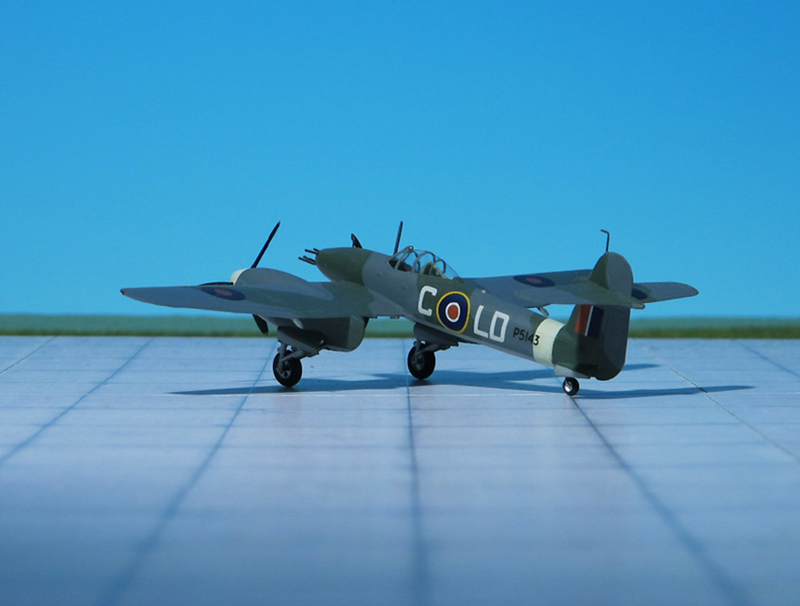 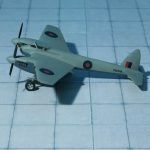 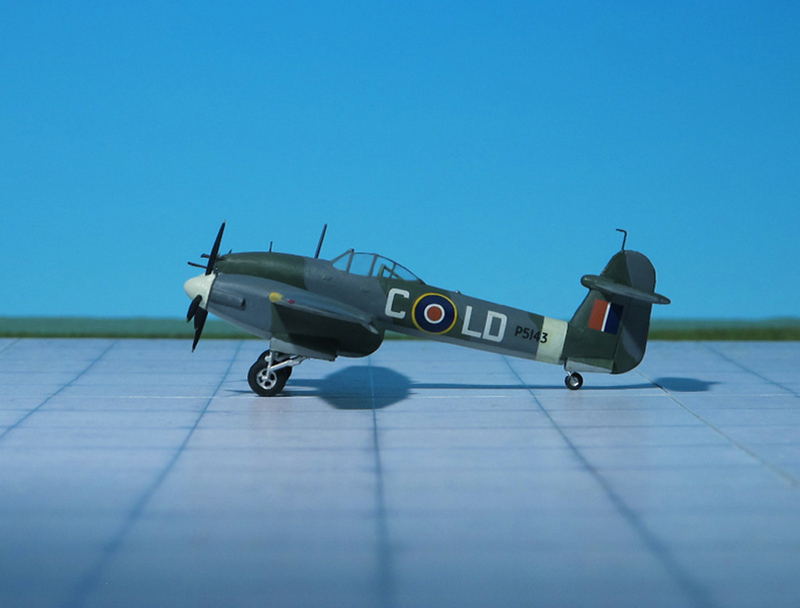 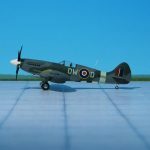 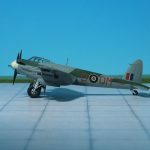 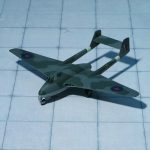 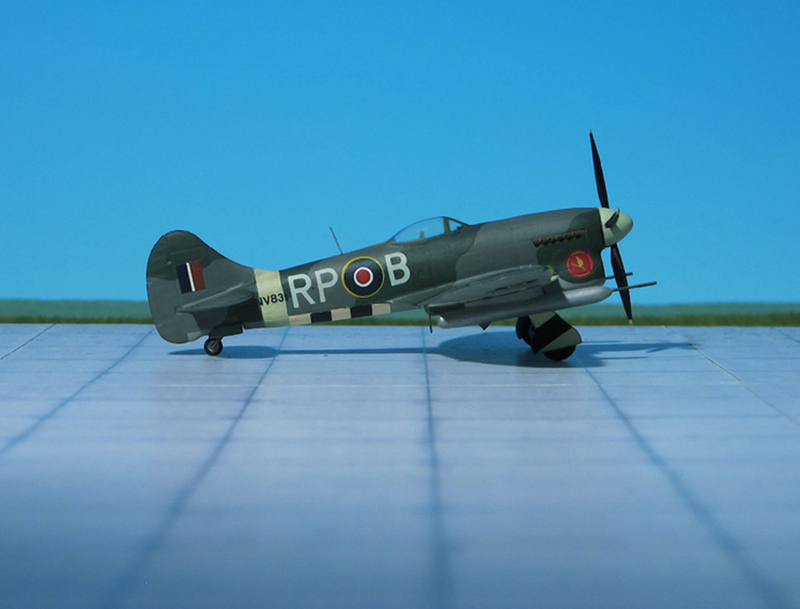 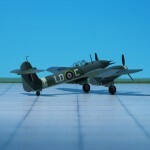 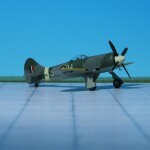 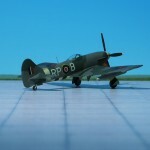 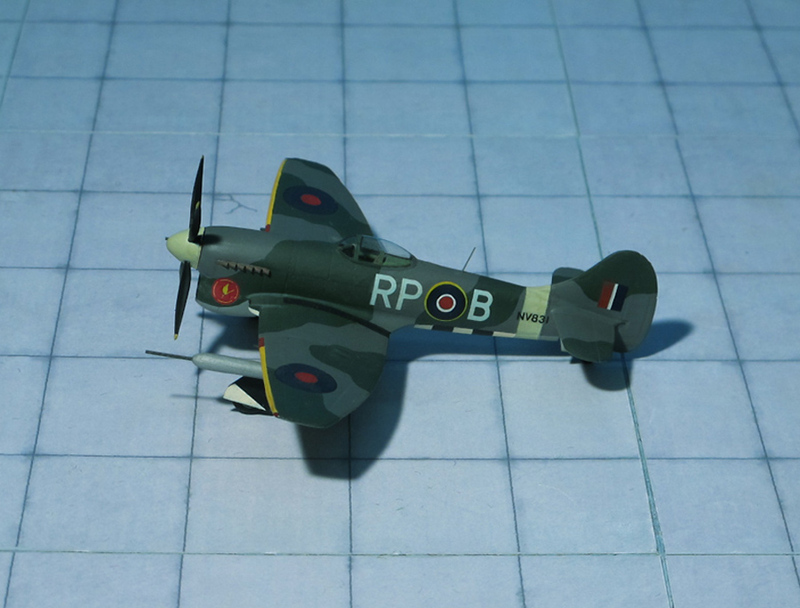 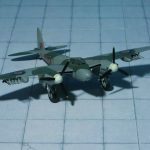 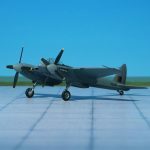 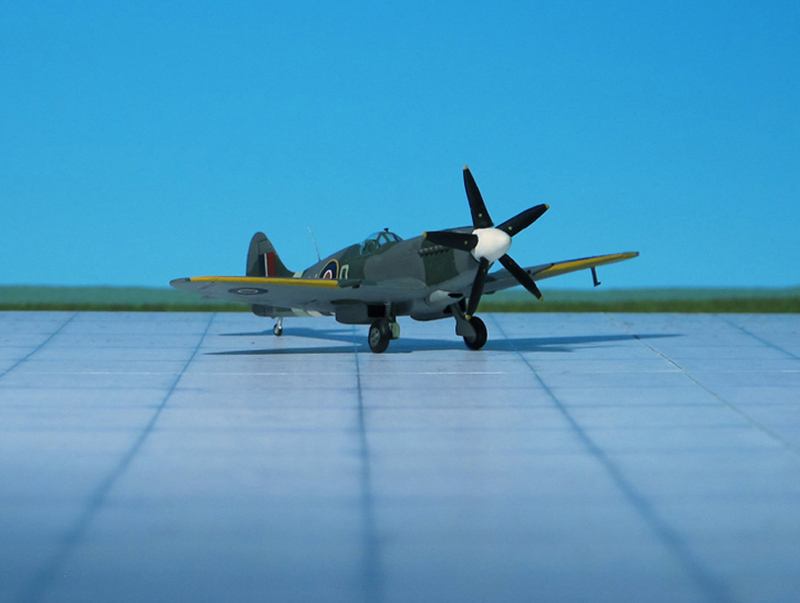 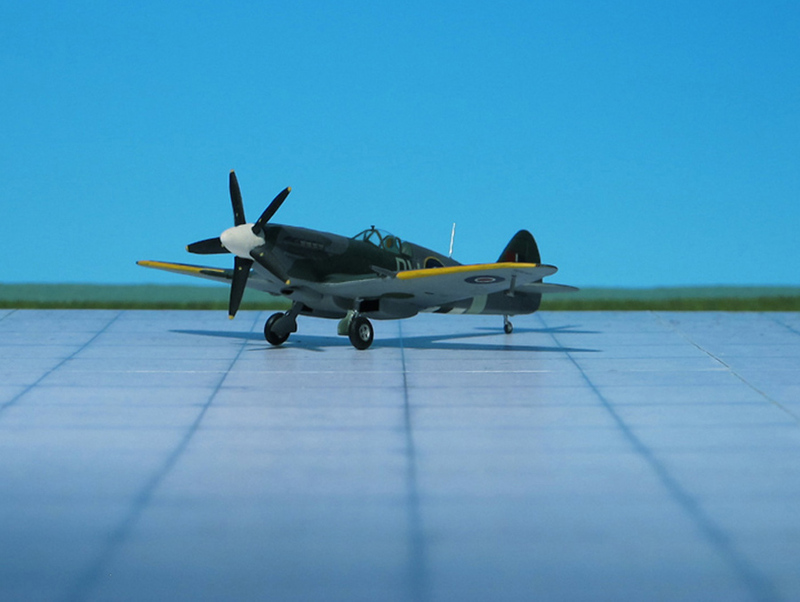 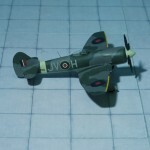 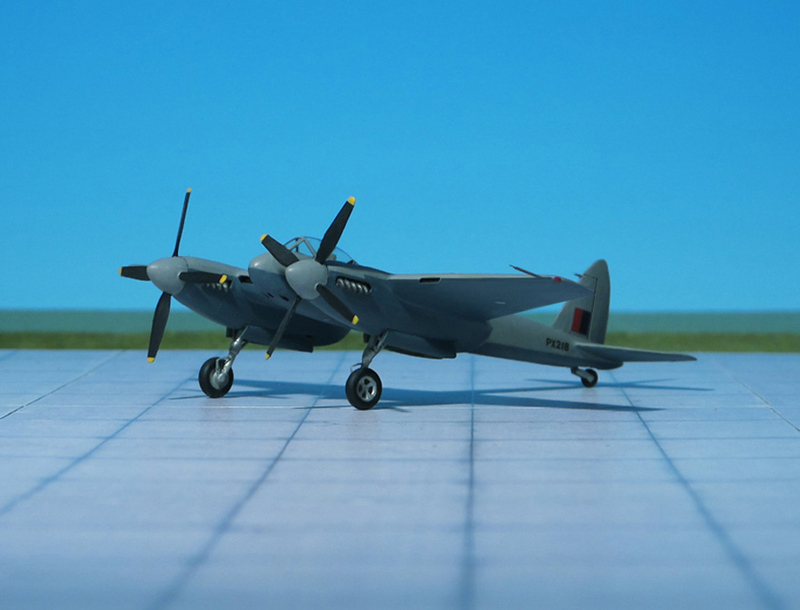 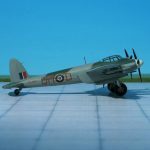 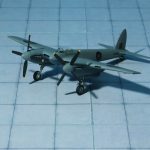 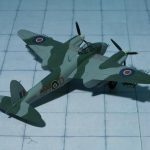 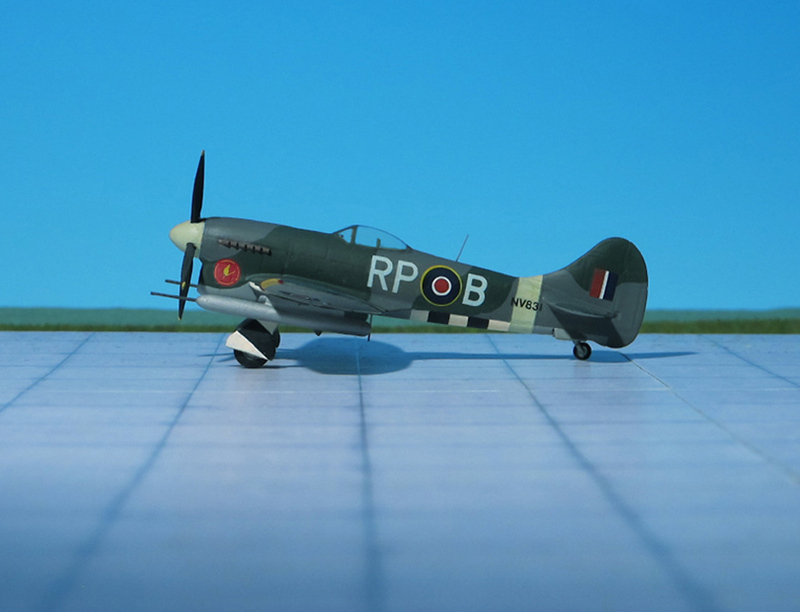 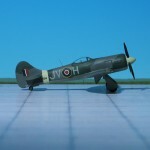 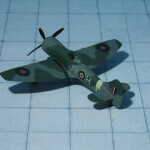 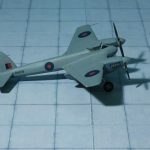 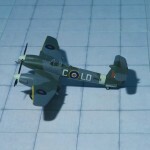 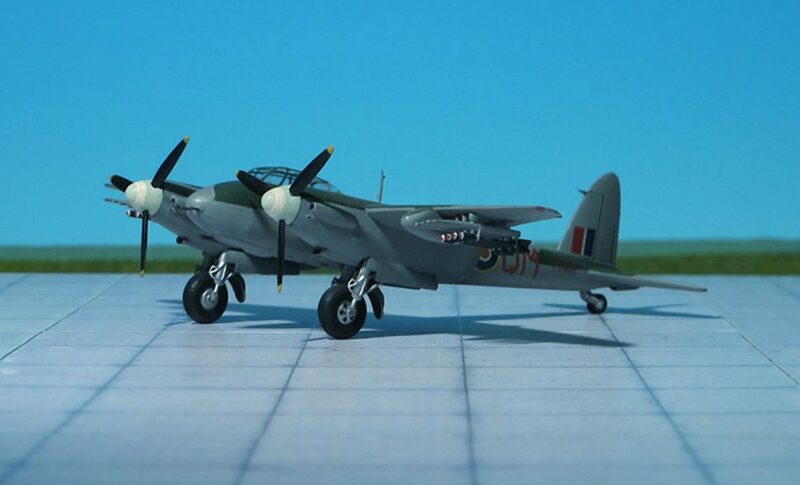 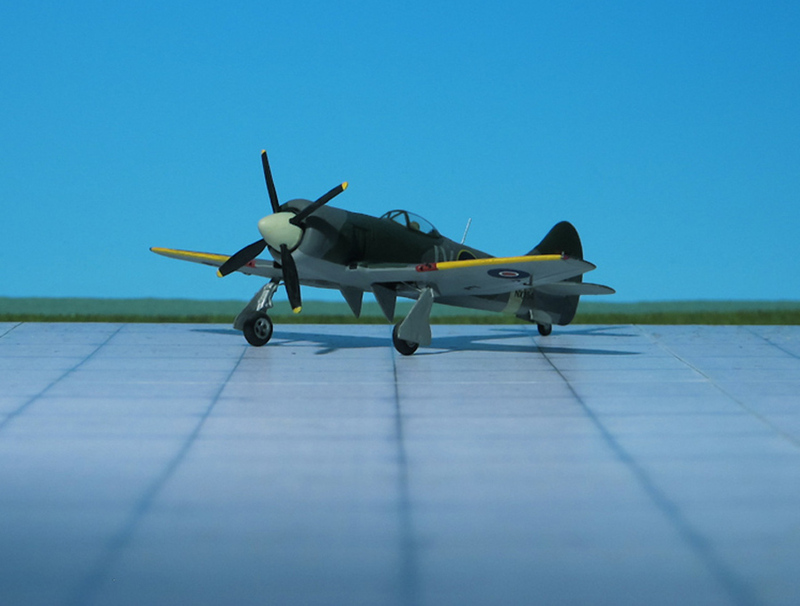 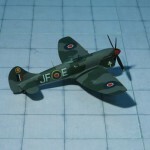 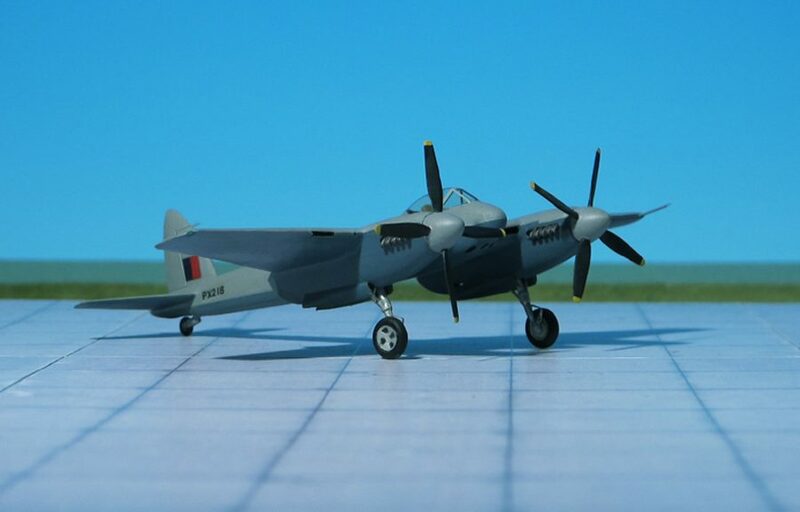 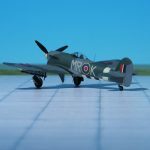 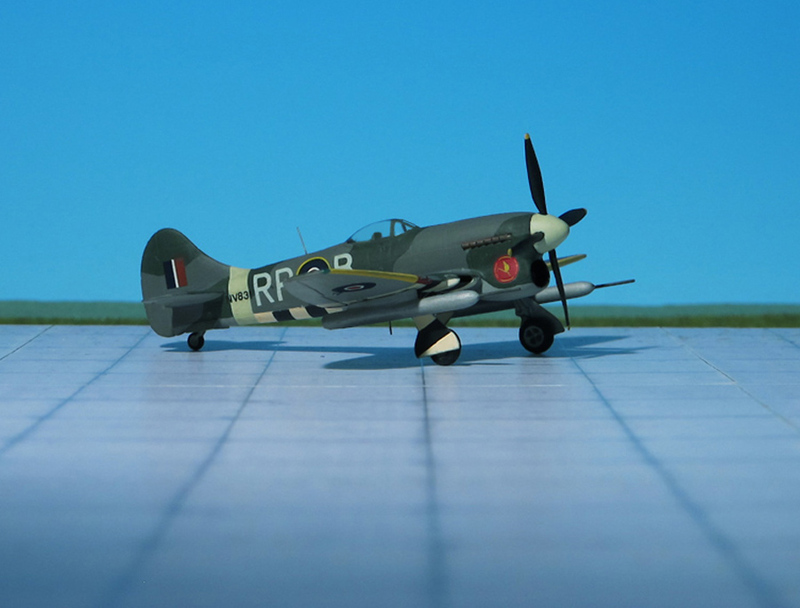 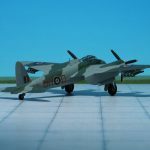 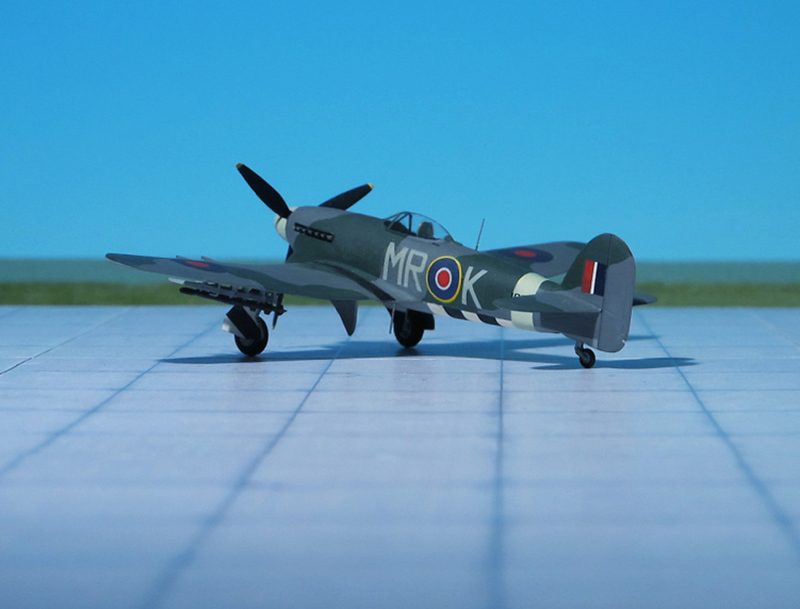 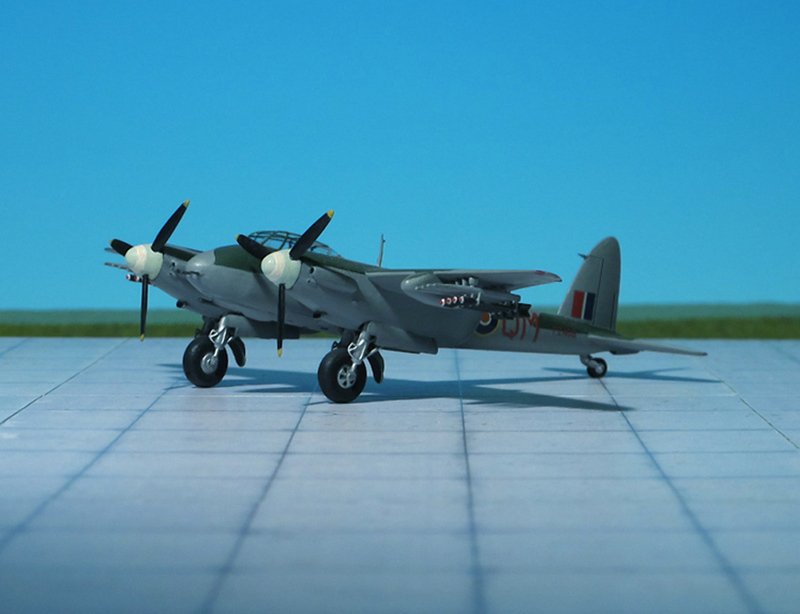 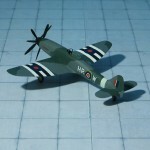 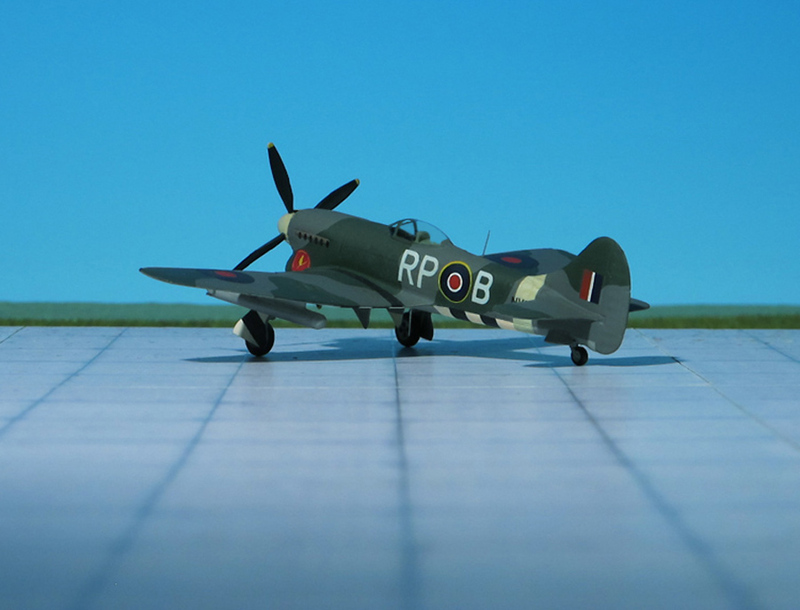 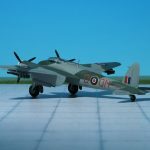 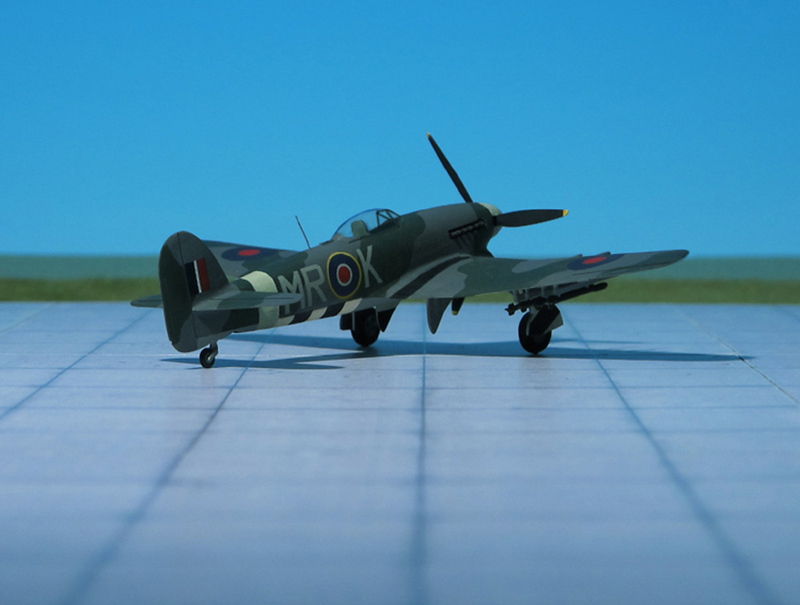 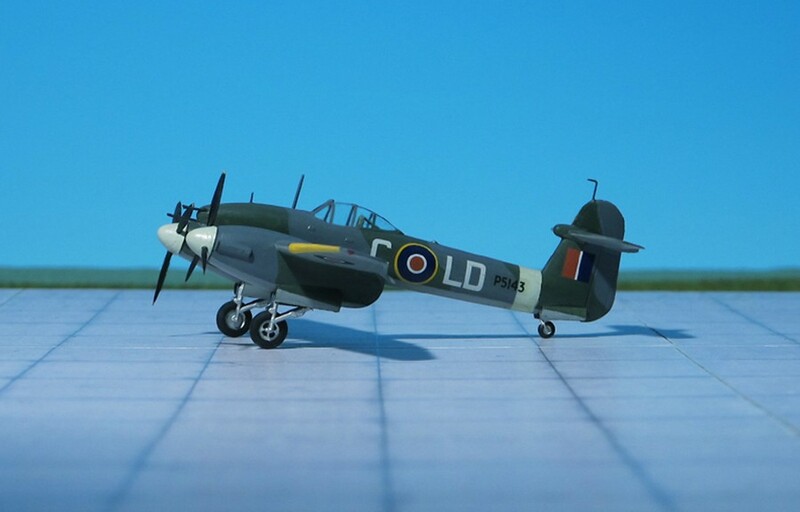 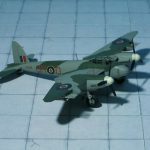 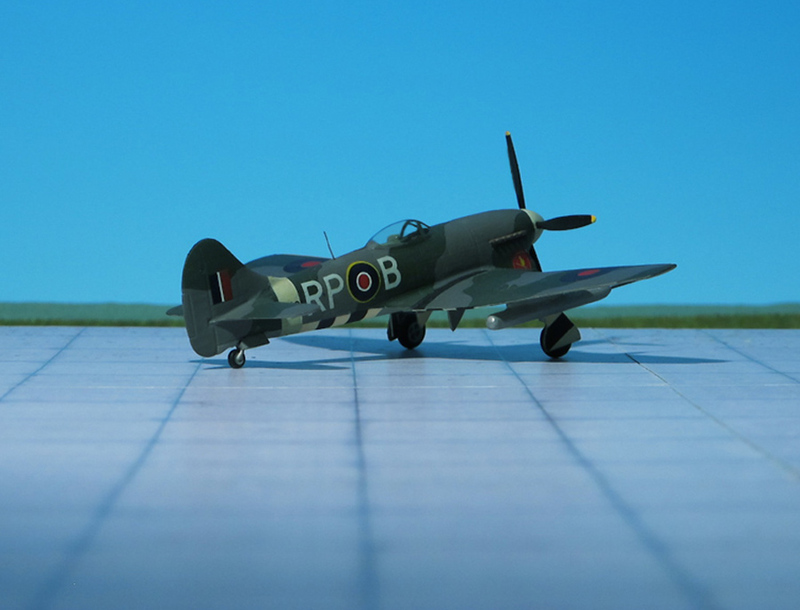 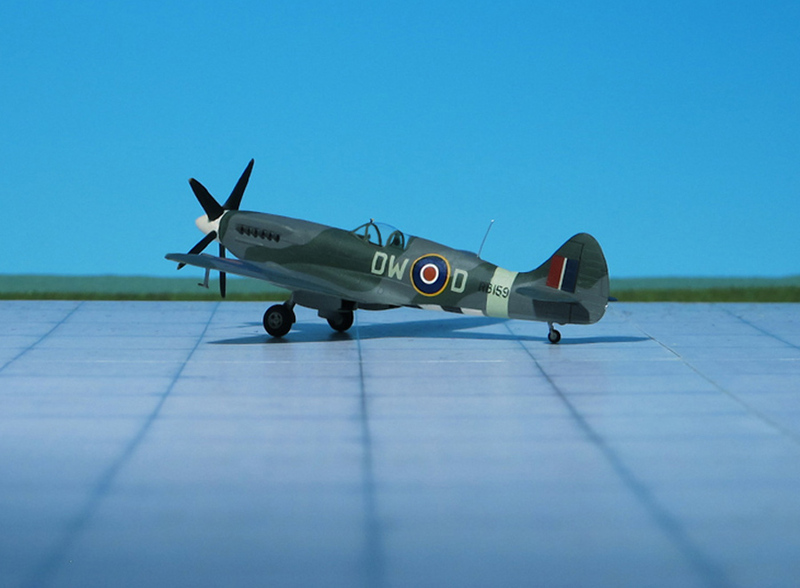 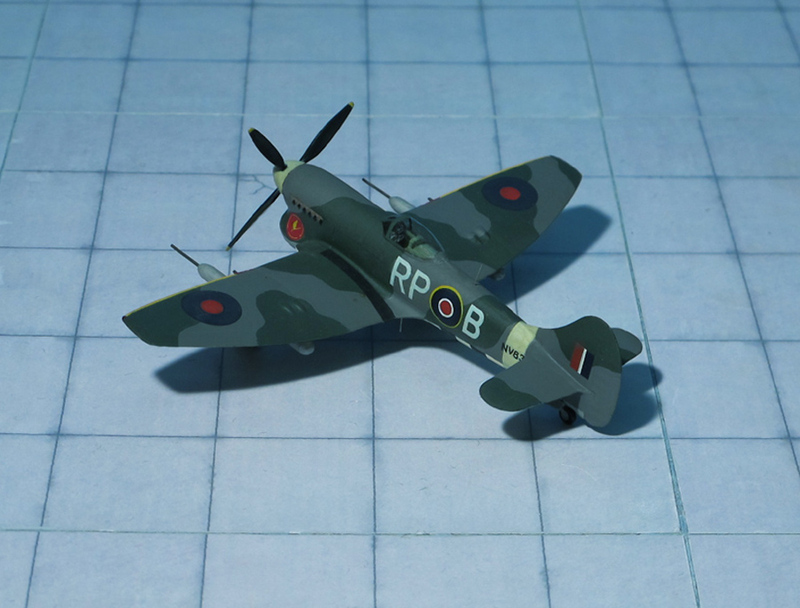 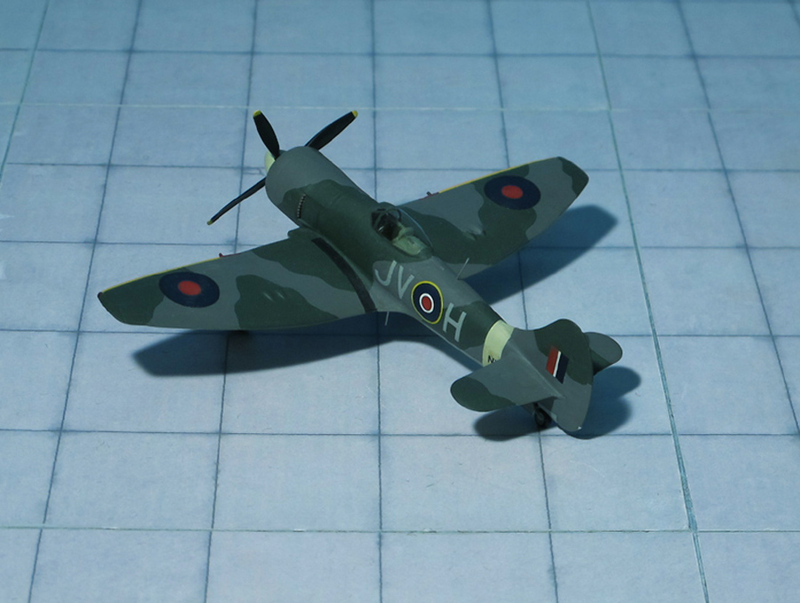 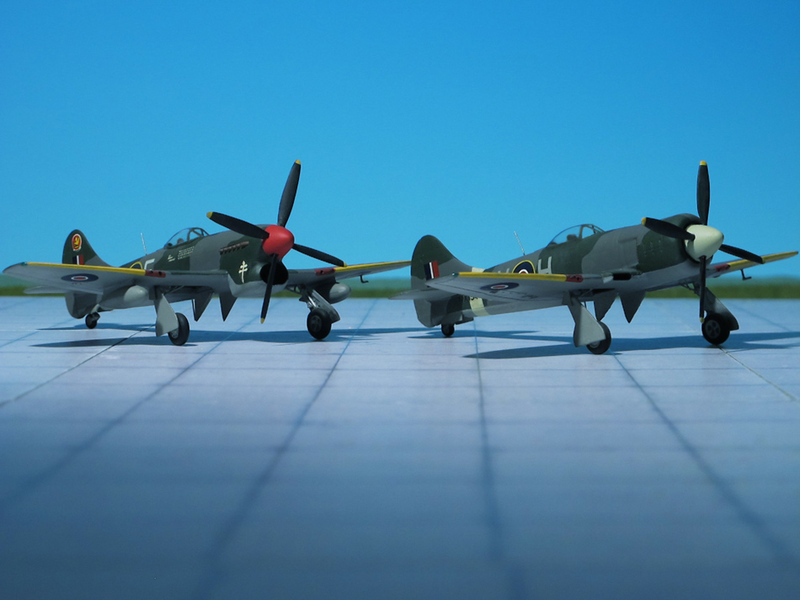 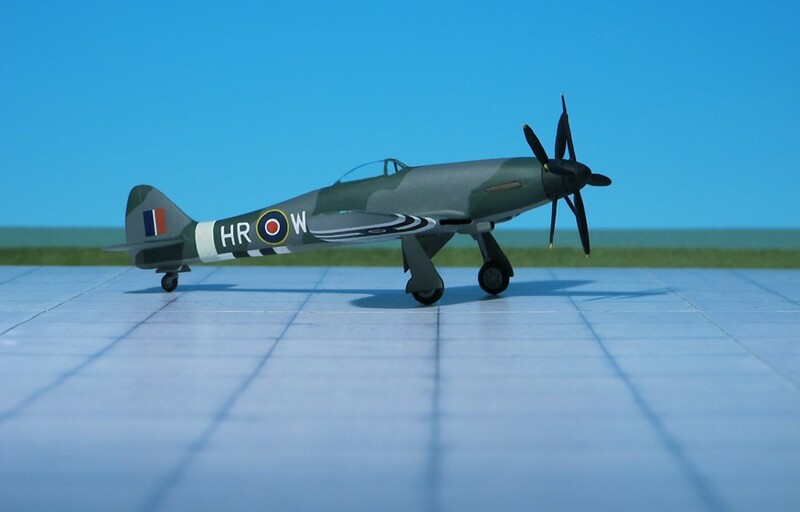 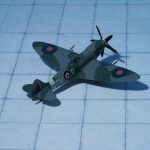 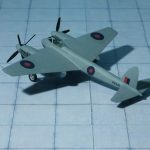 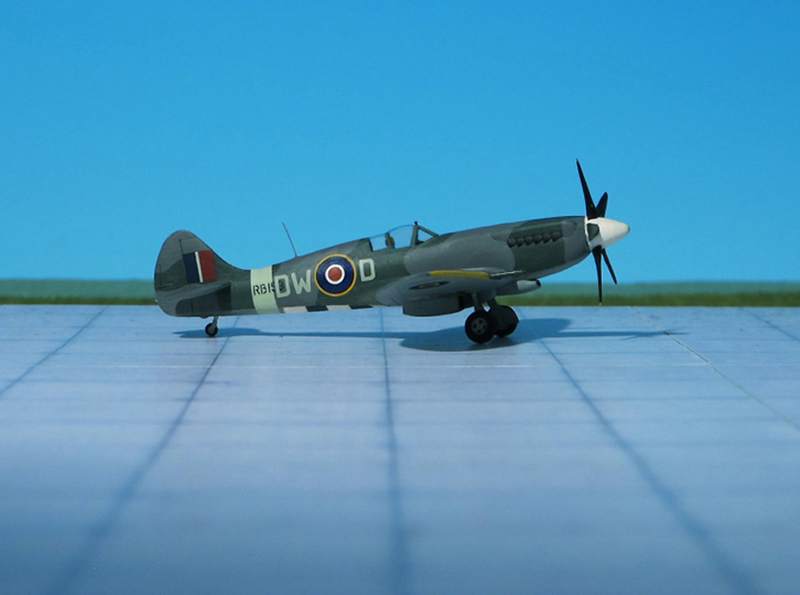 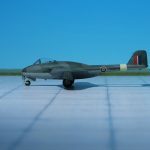 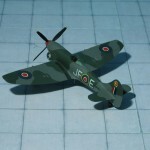 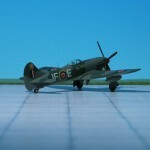 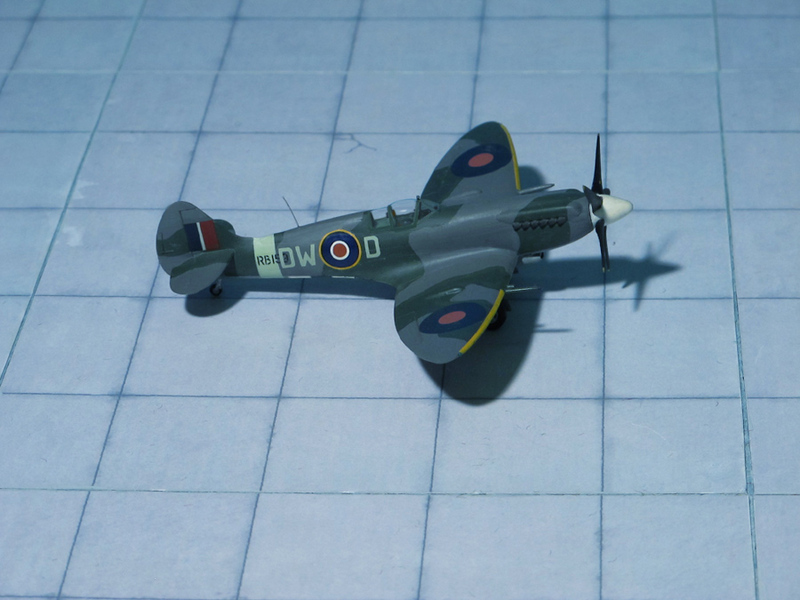 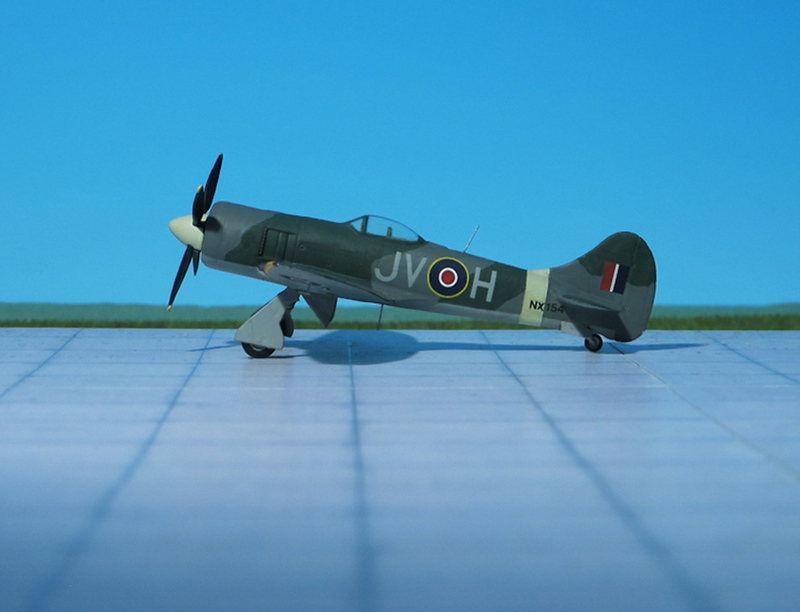 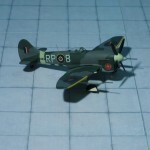 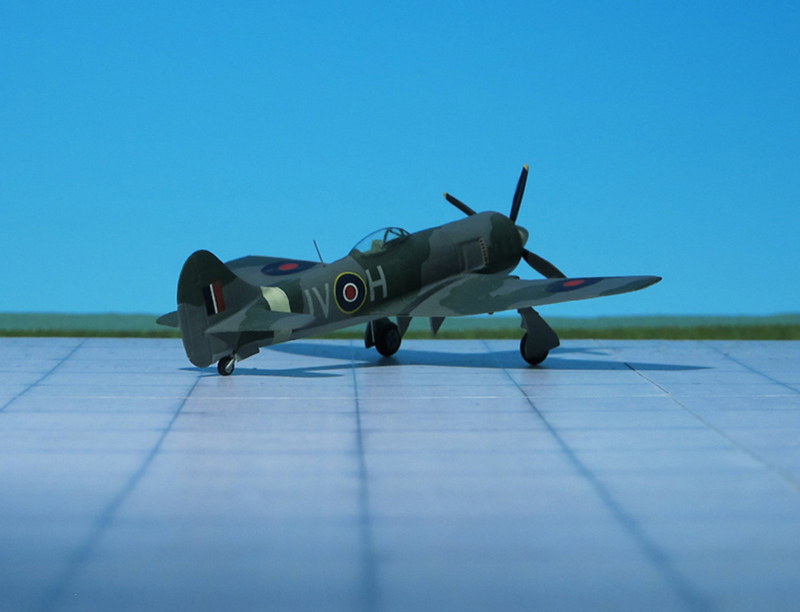 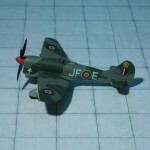 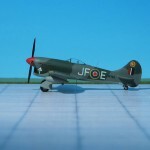 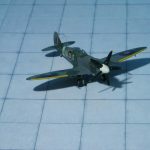 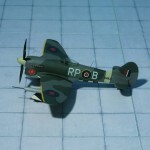 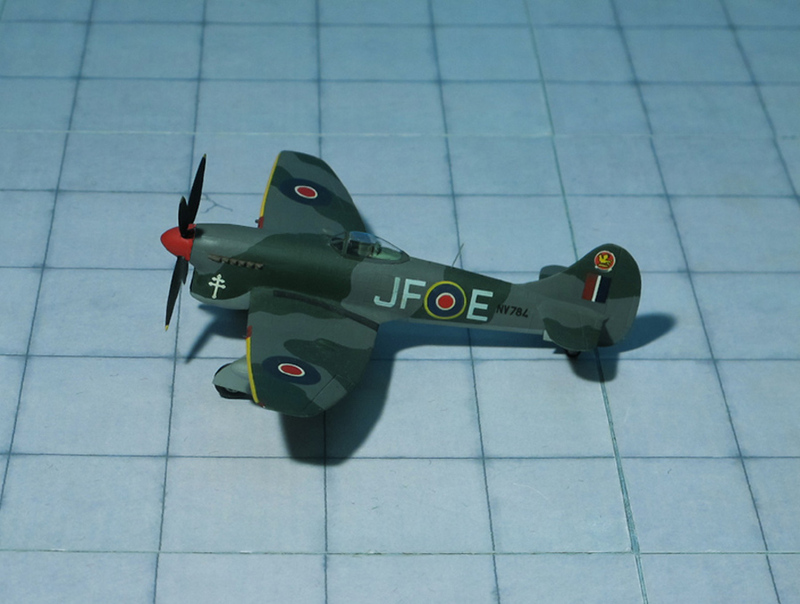 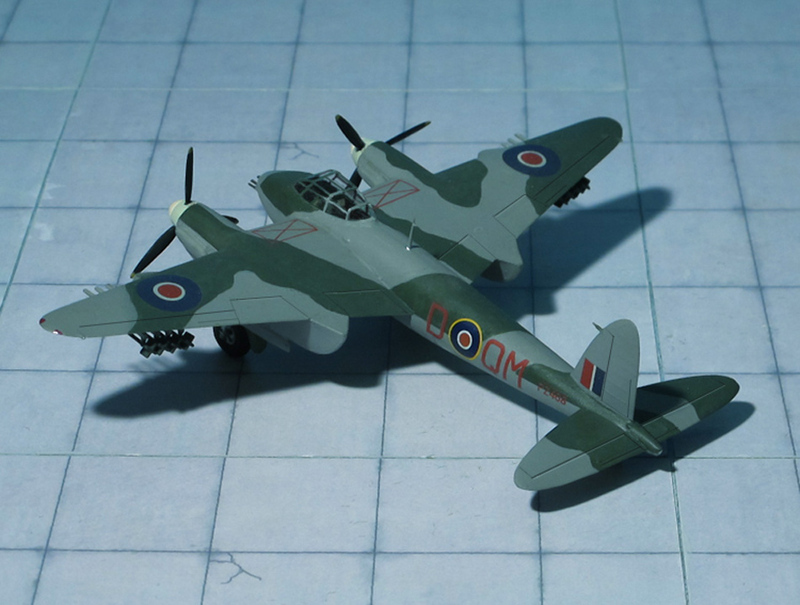 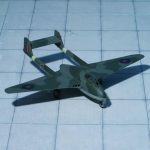 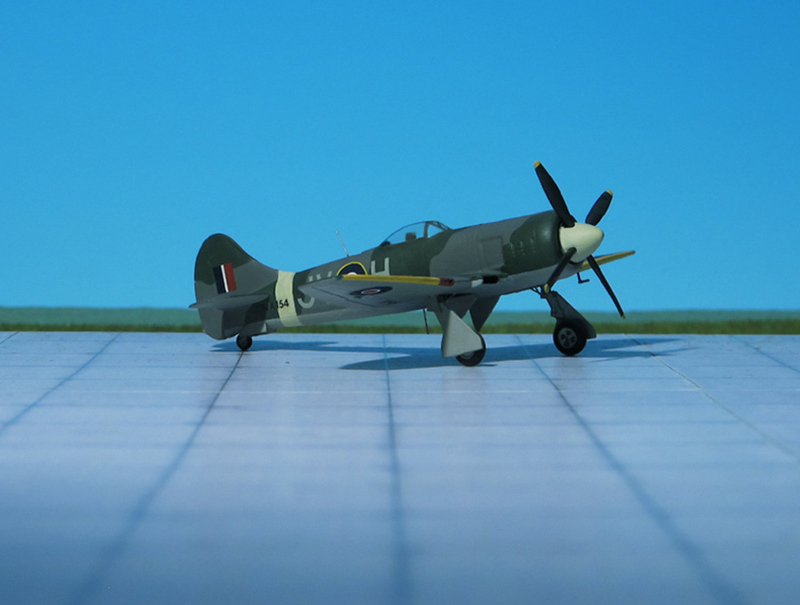 It was proposed that a wing of fifty Tempest IIs be sent to the Pacific in May 1945, but in the event, hostilities terminated before the fighter had been issued to the squadrons. 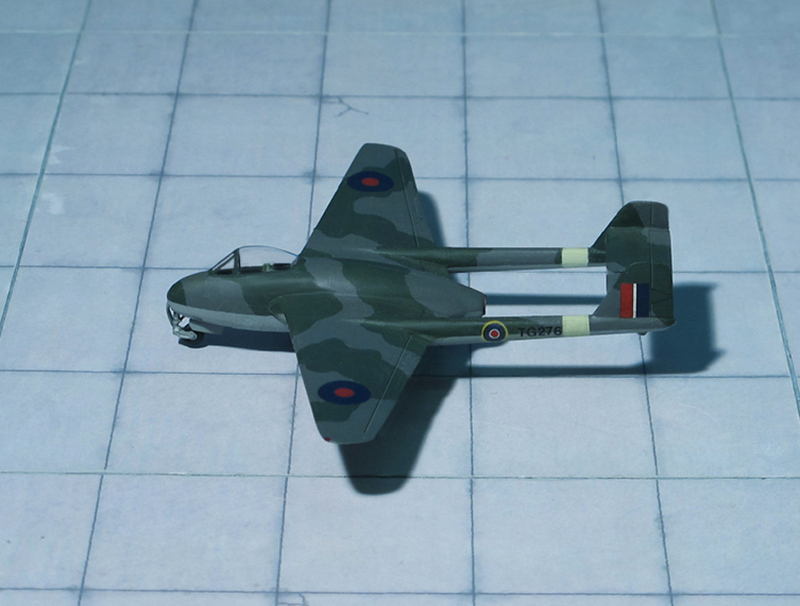 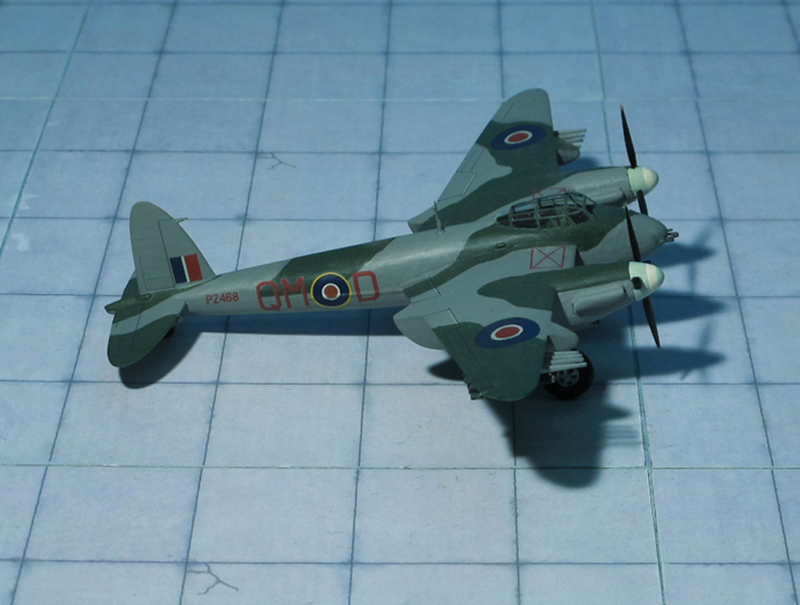 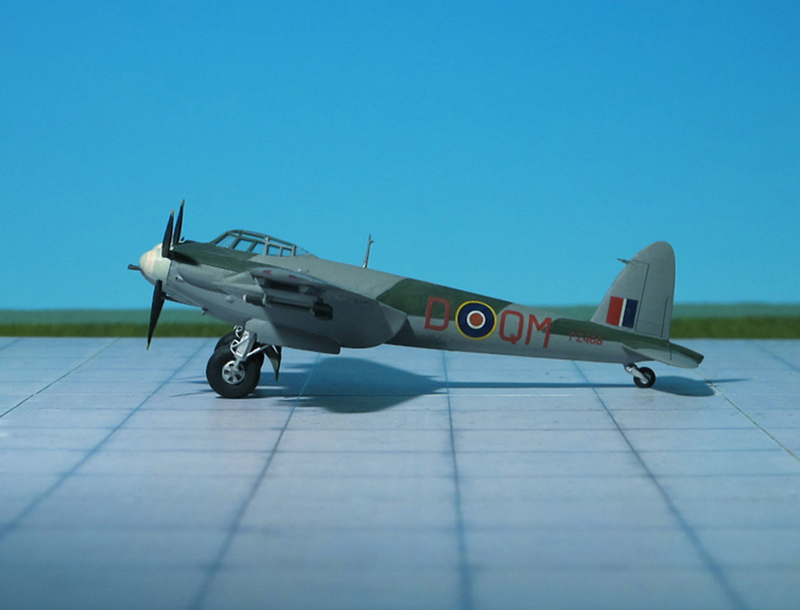 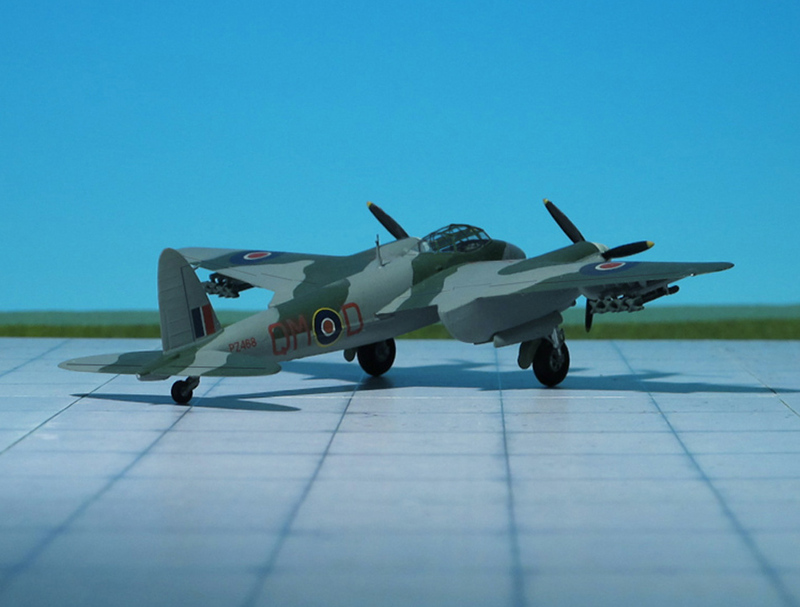 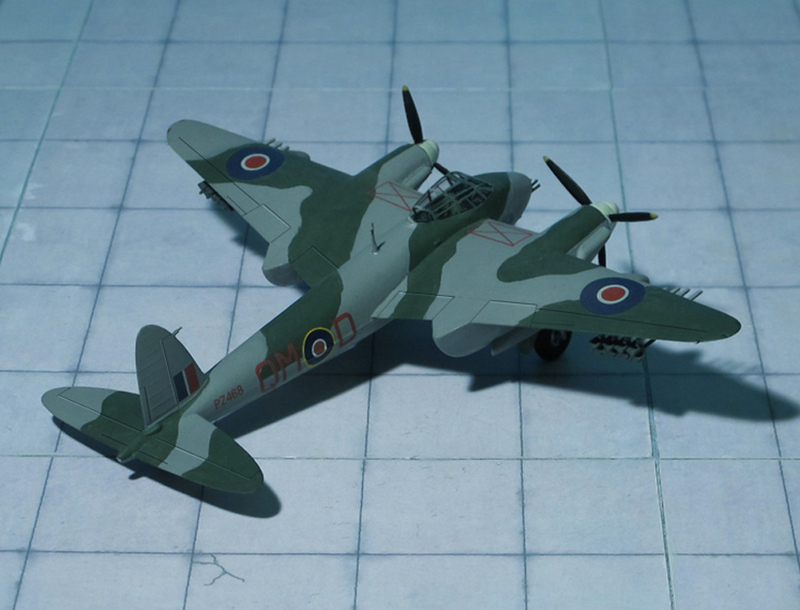 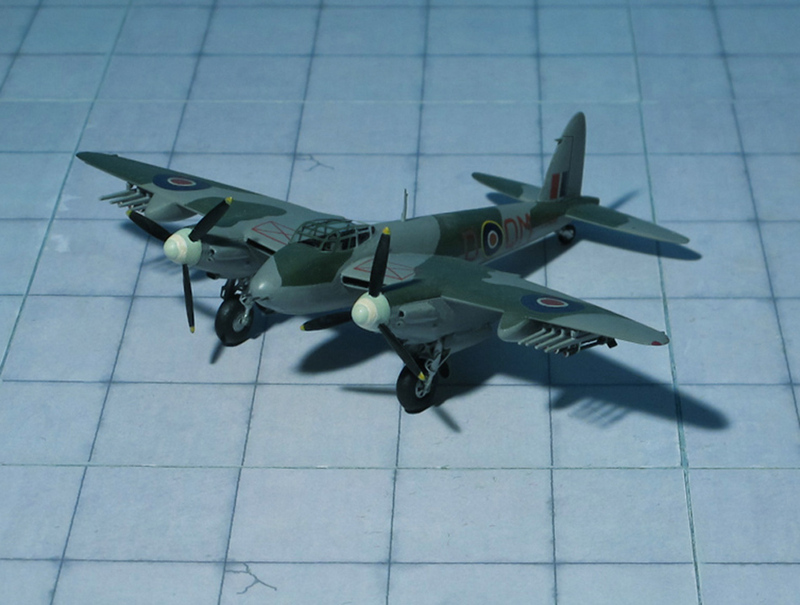 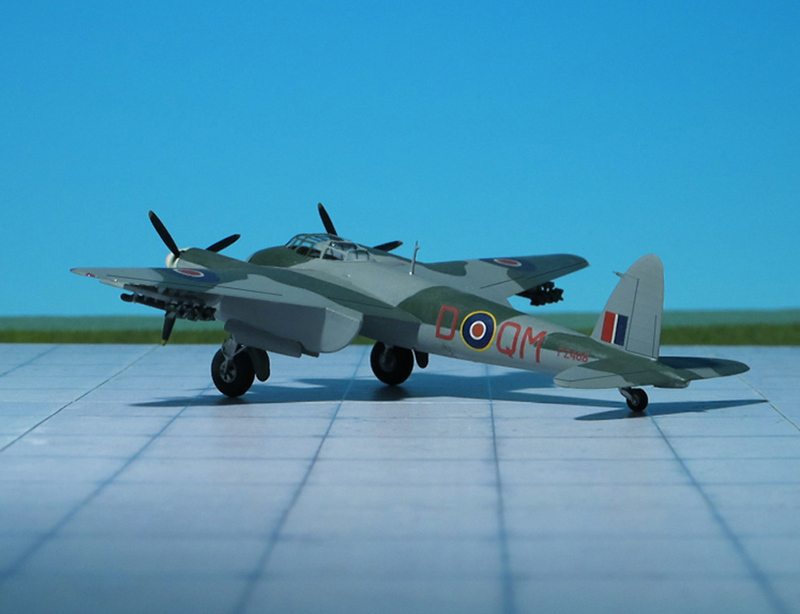 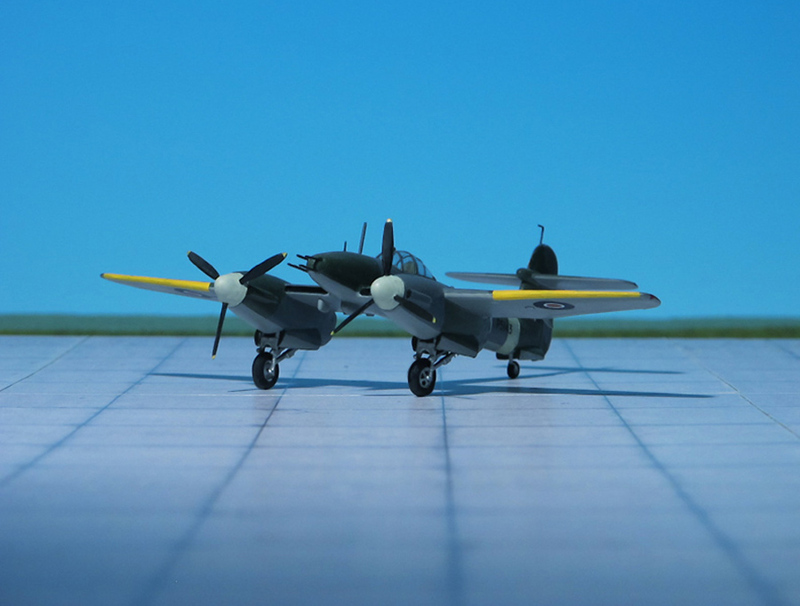 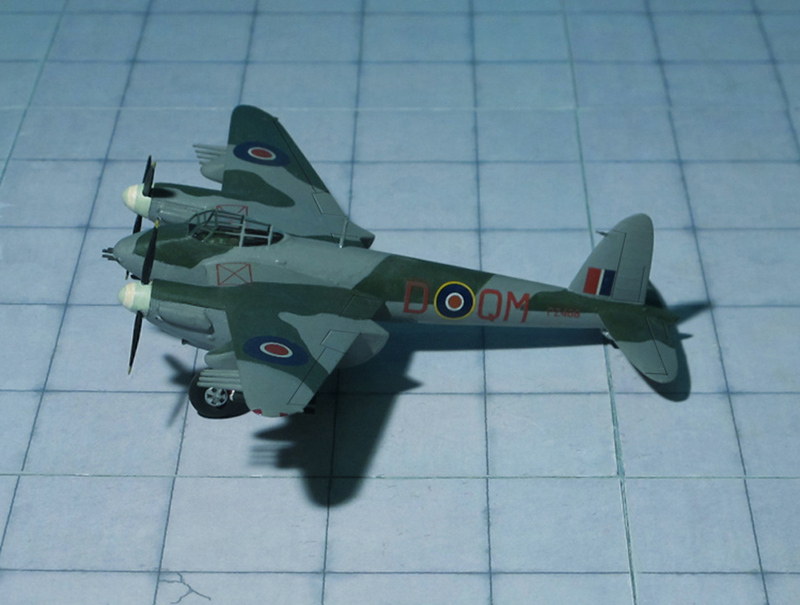 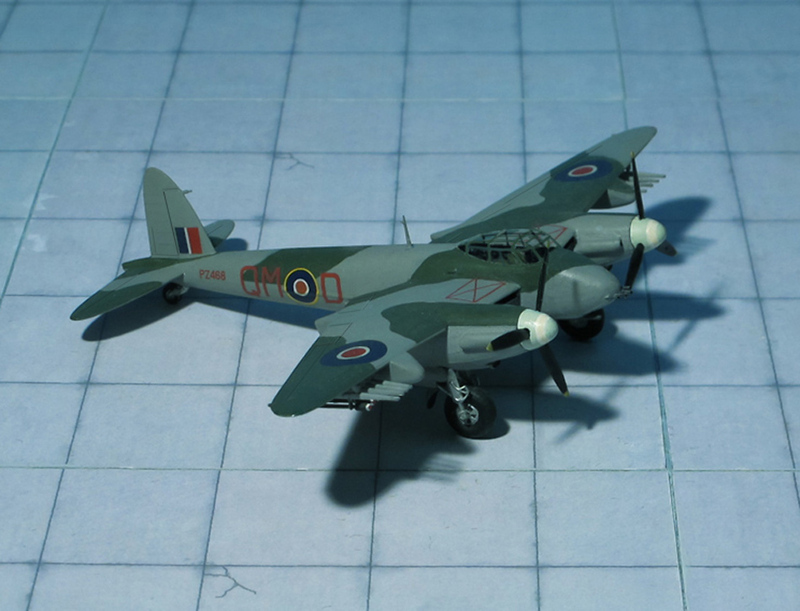 A total of 462 Tempest II had been built (Ref. 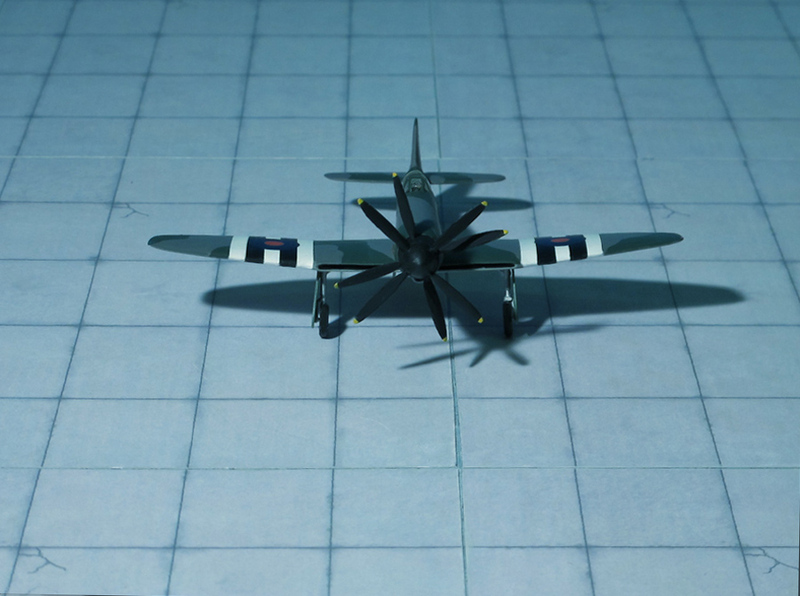 : 12).